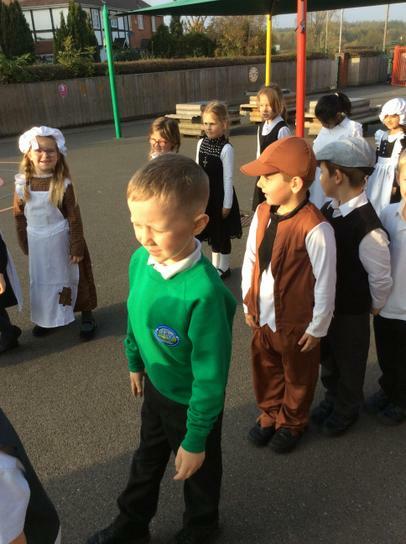 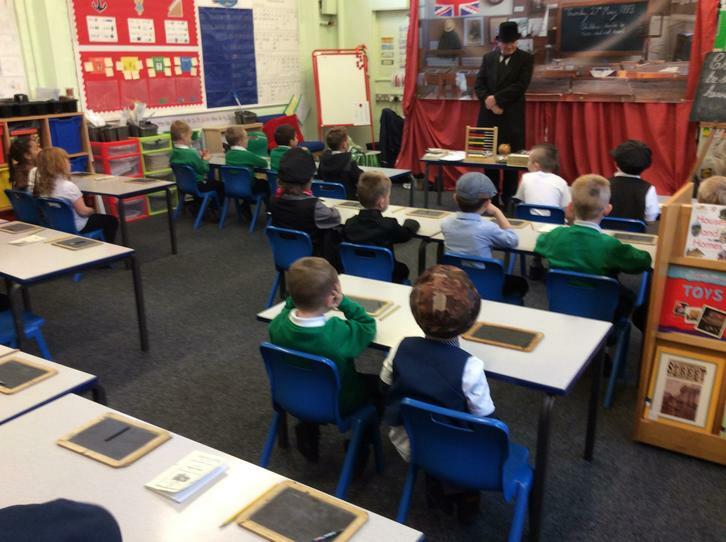 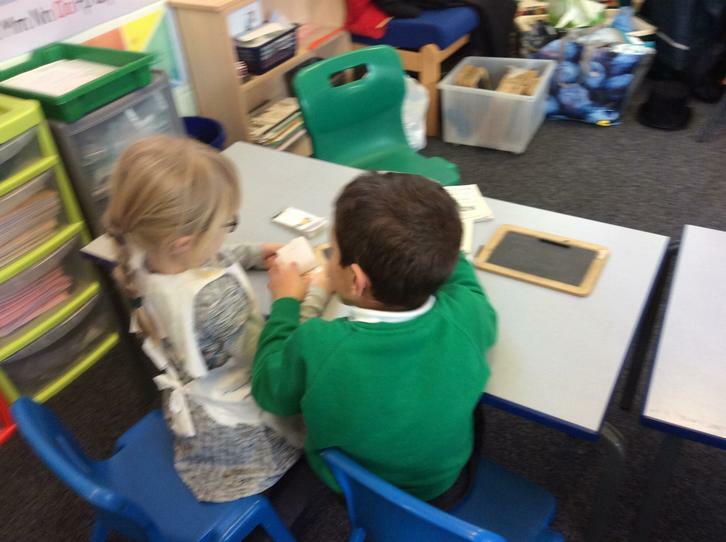 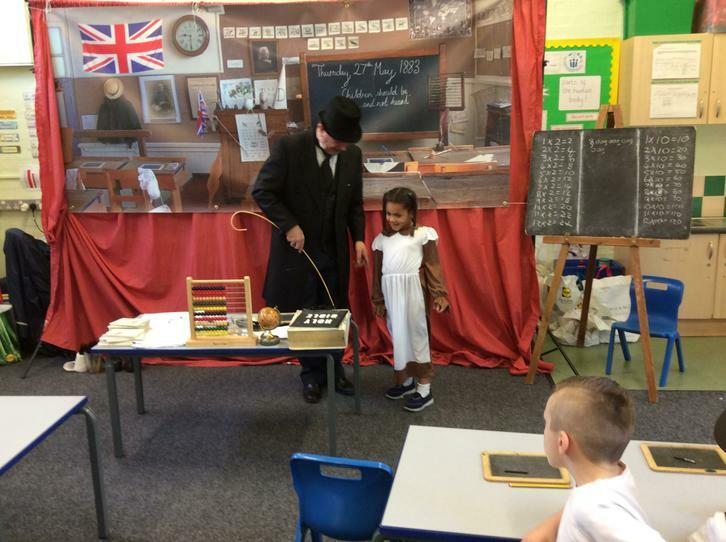 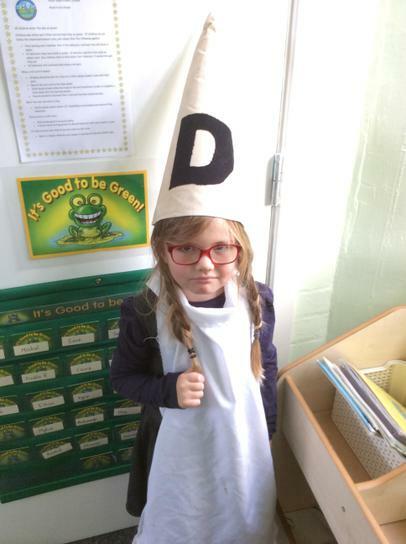 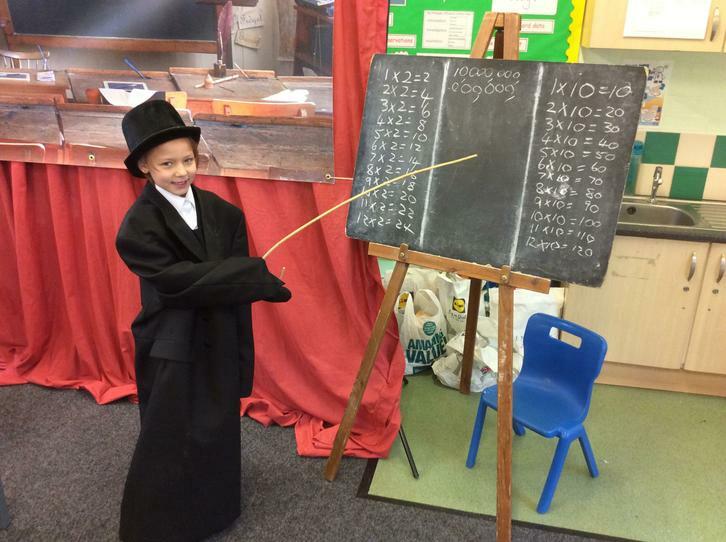 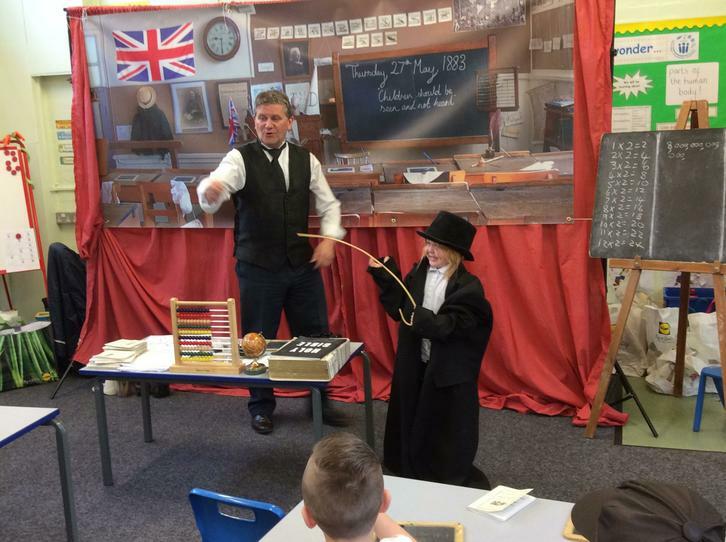 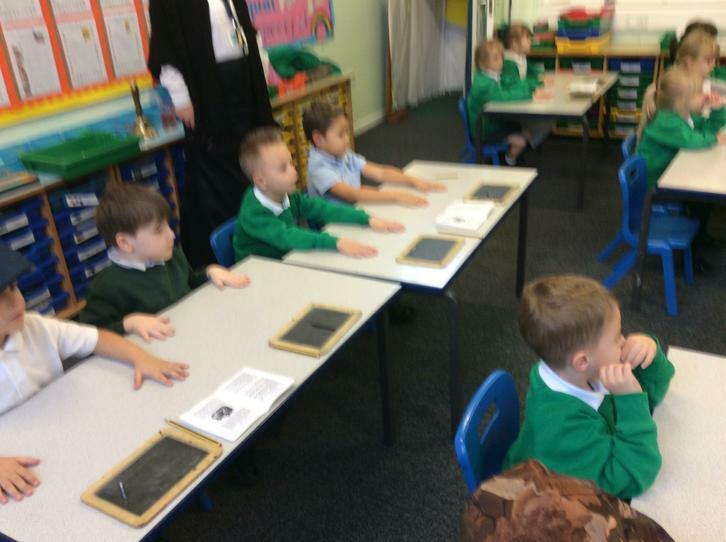 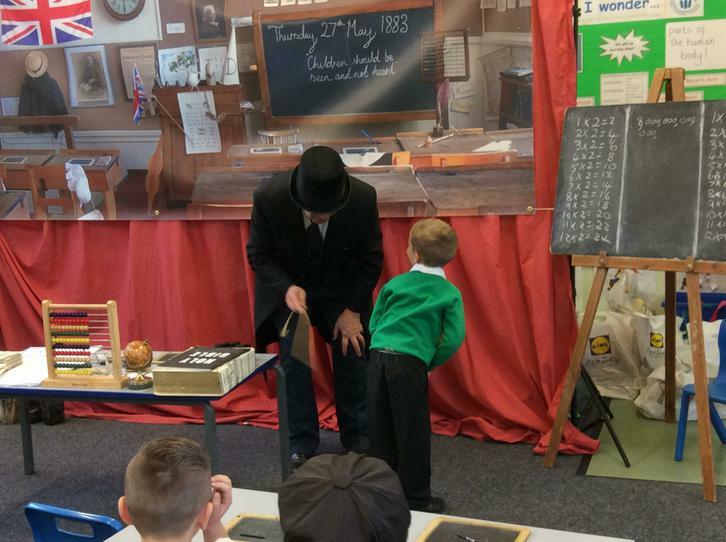 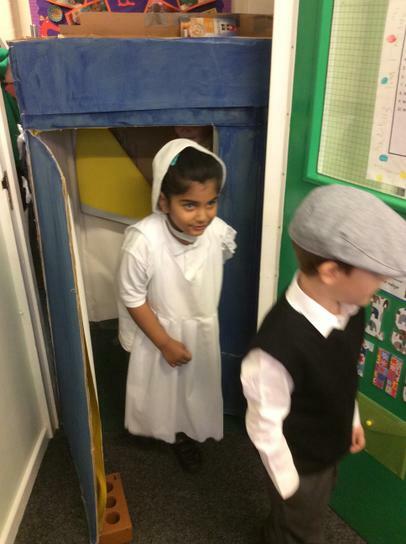 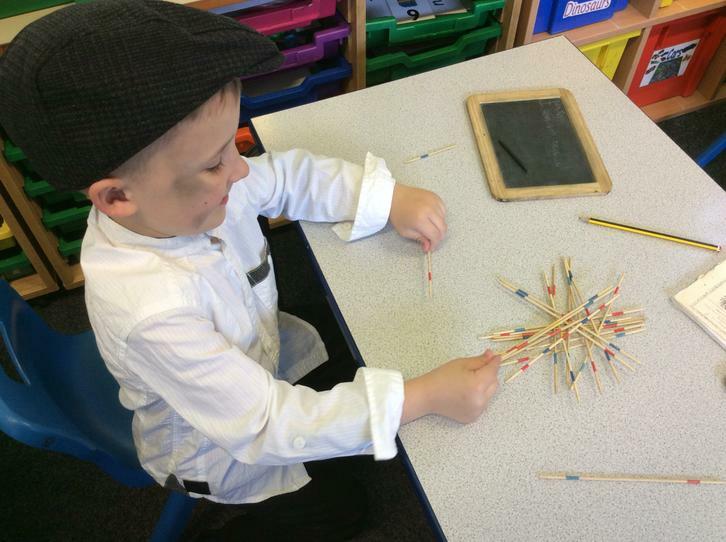 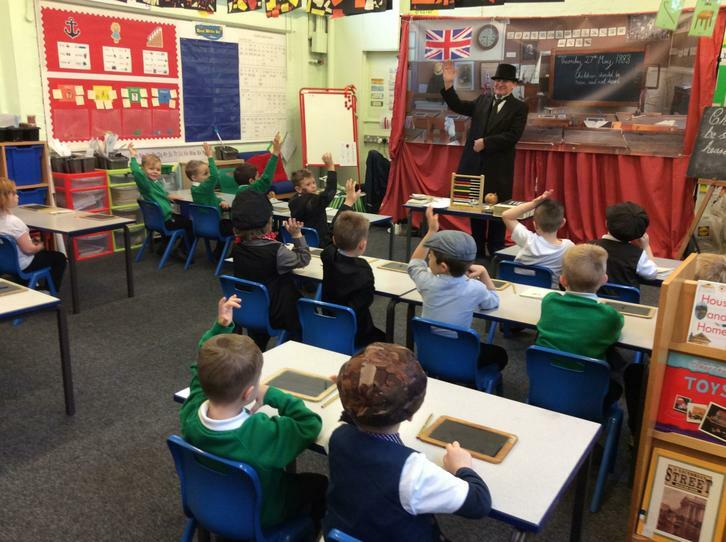 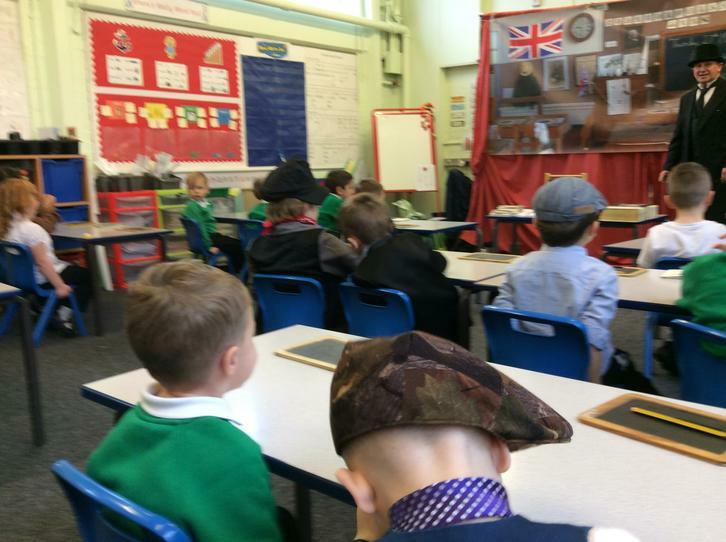 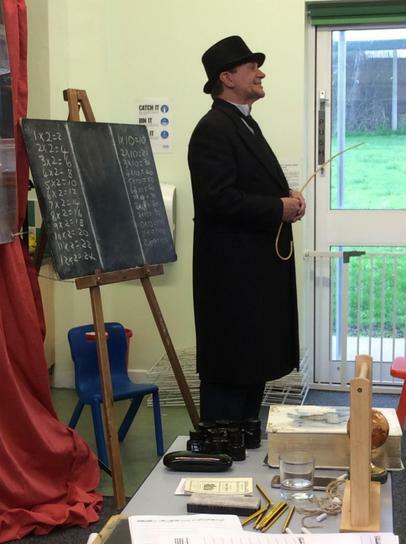 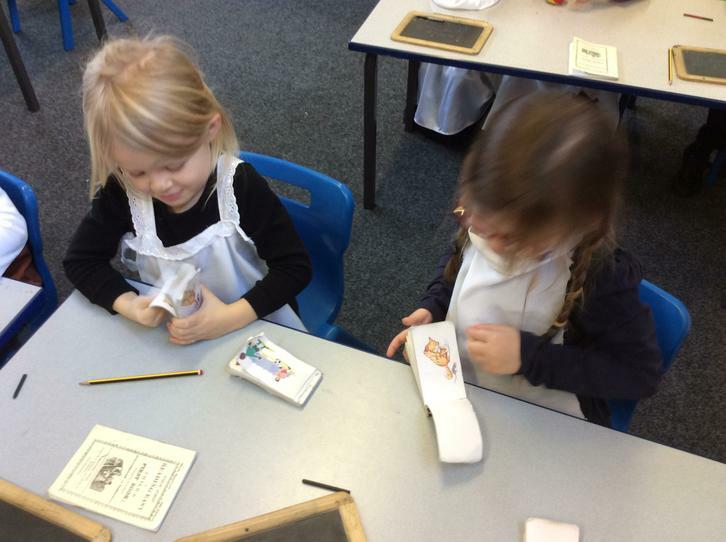 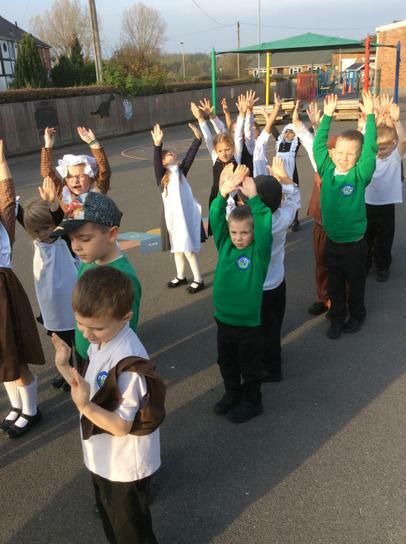 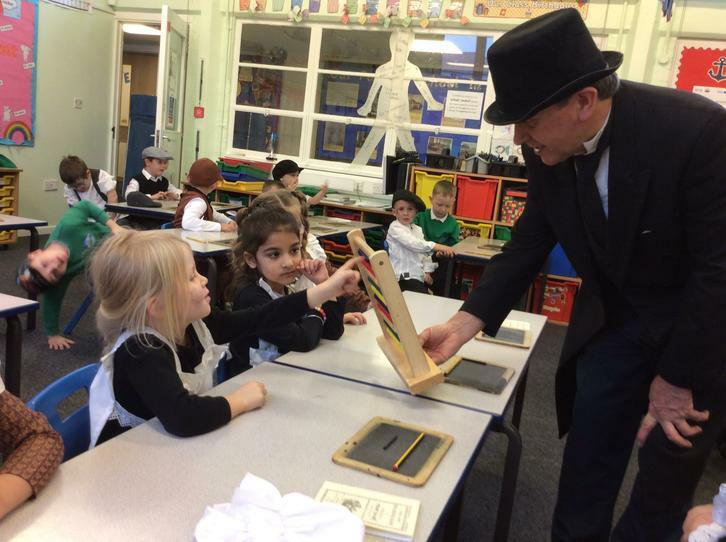 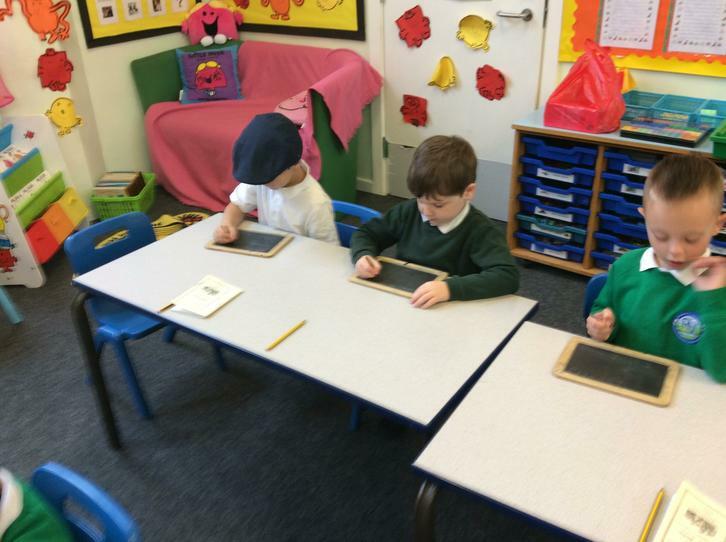 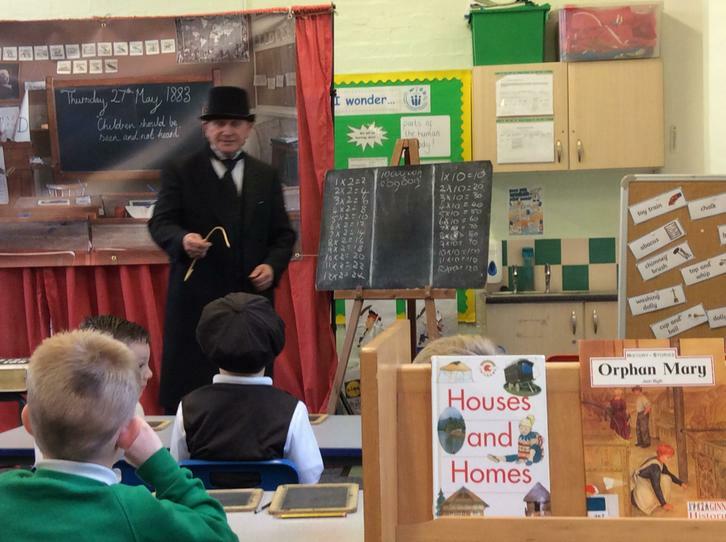 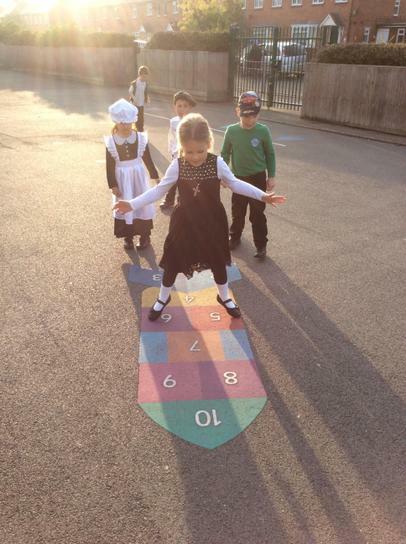 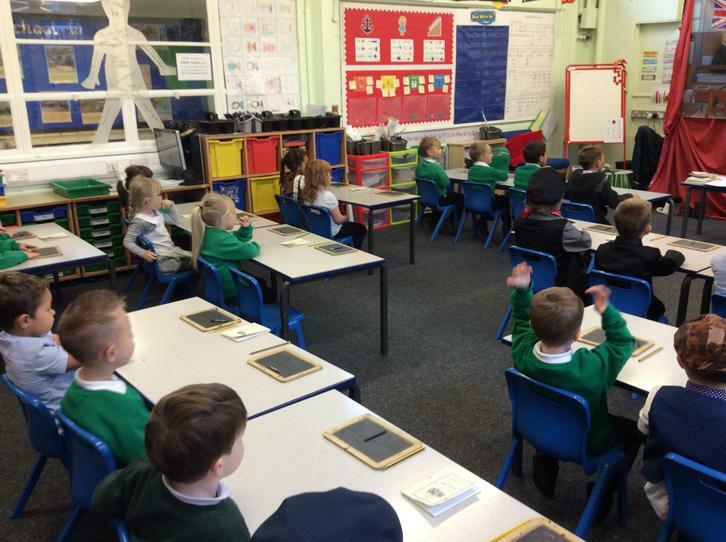 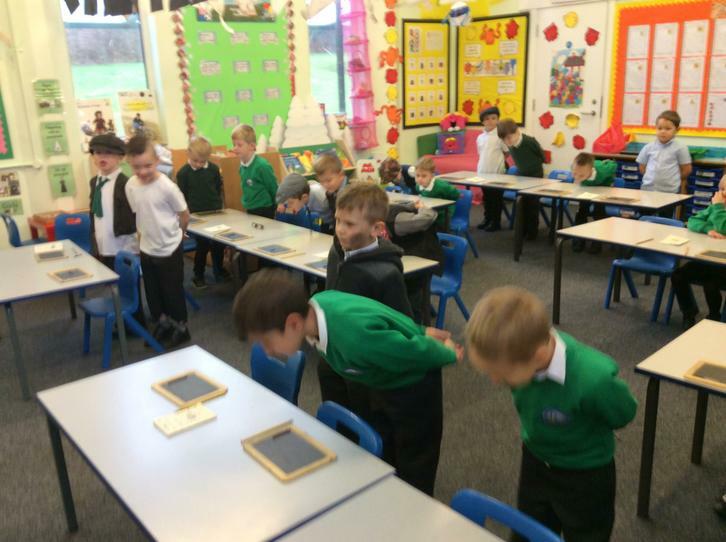 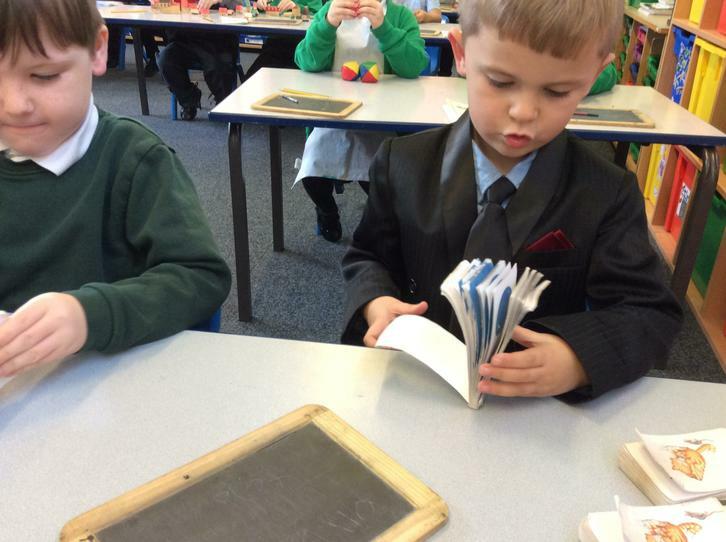 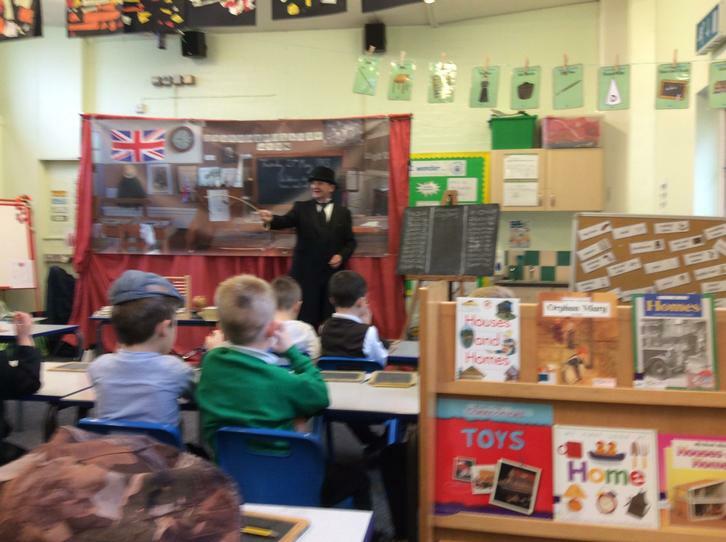 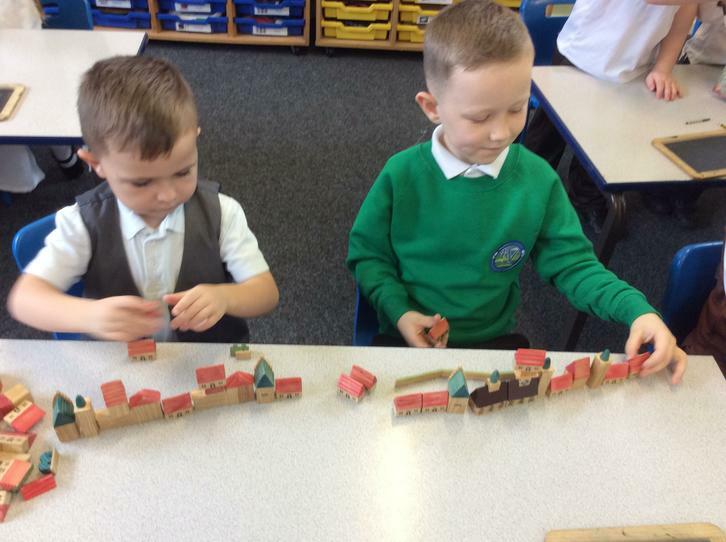 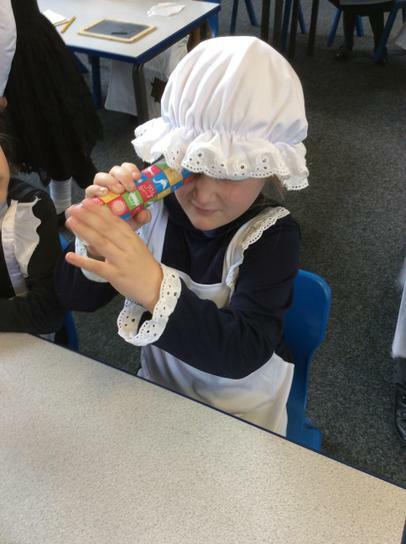 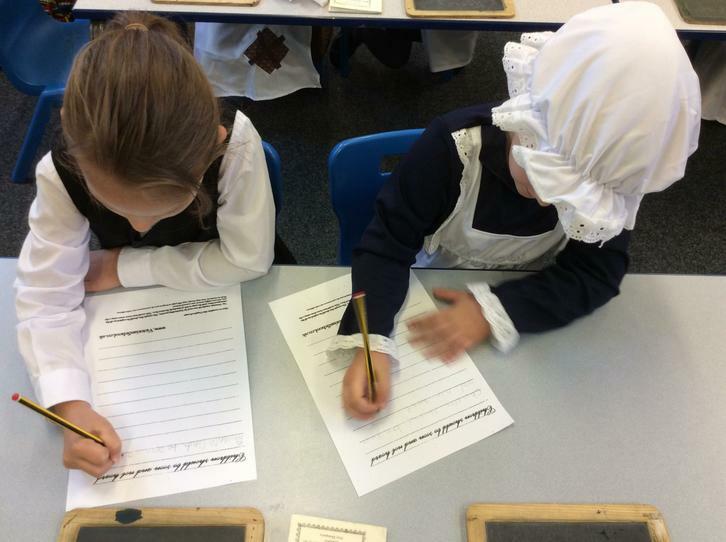 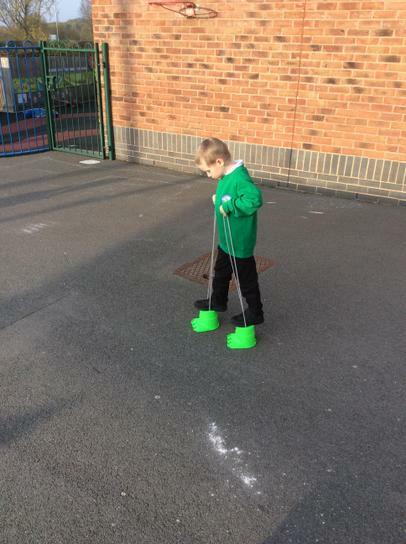 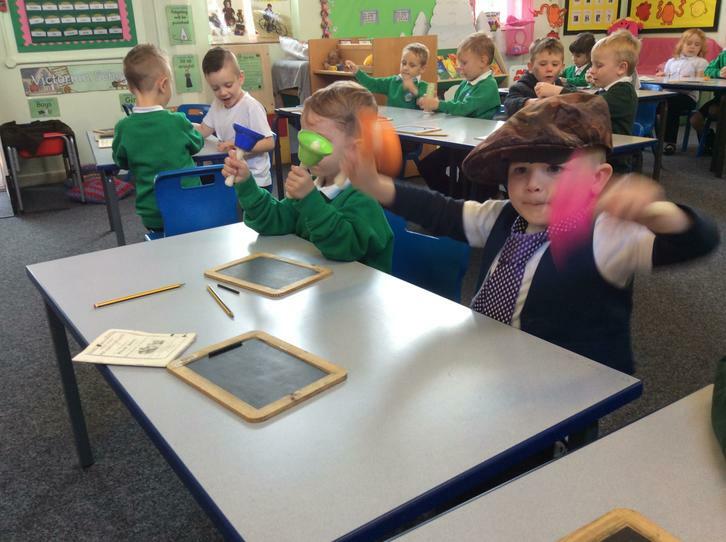 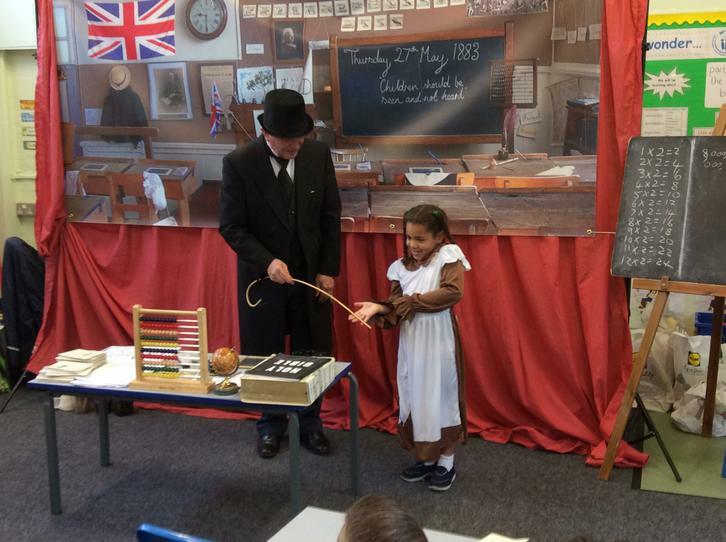 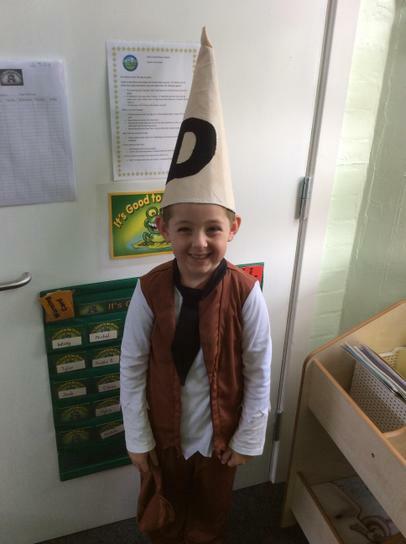 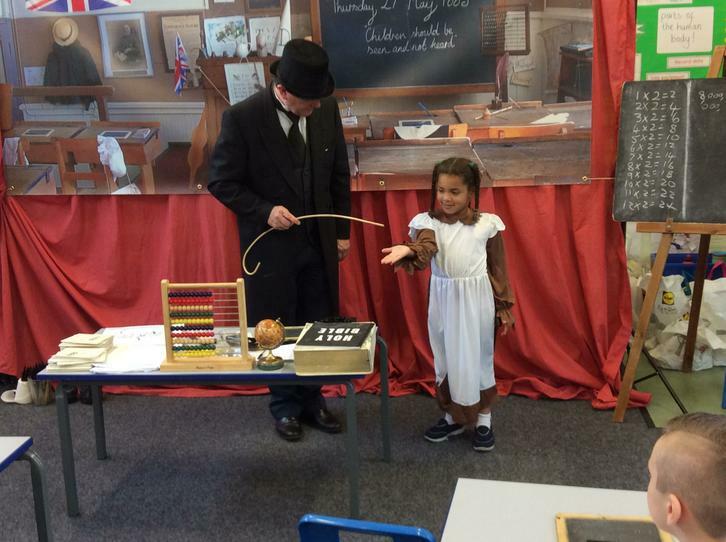 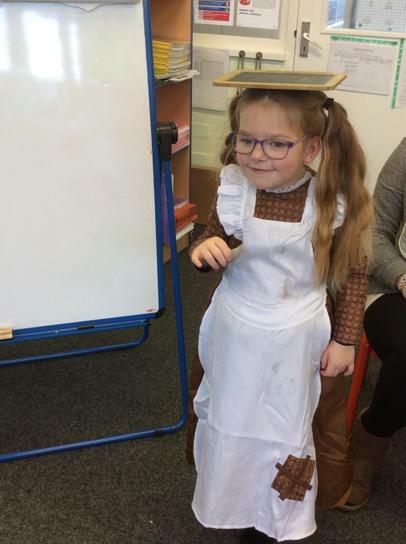 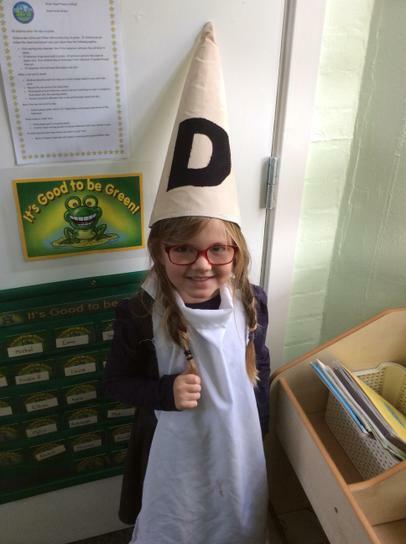 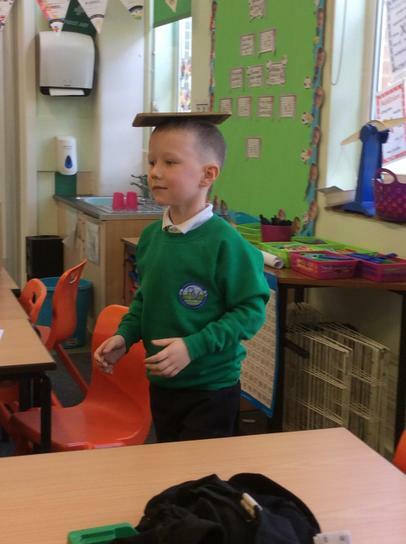 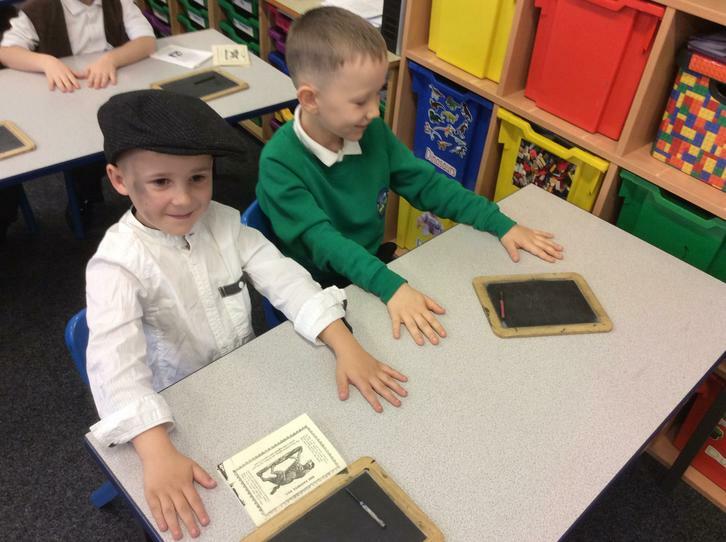 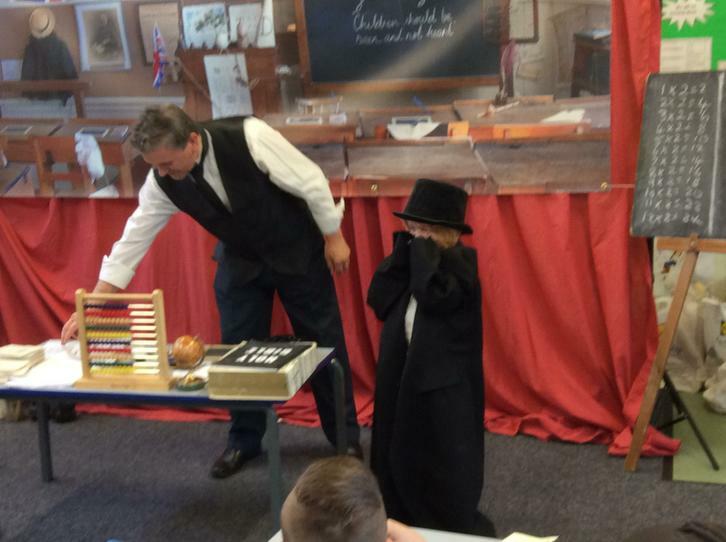 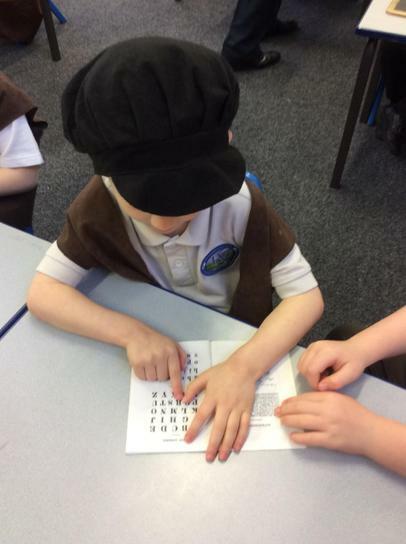 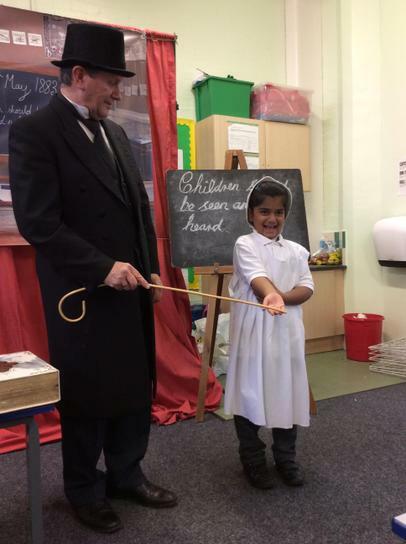 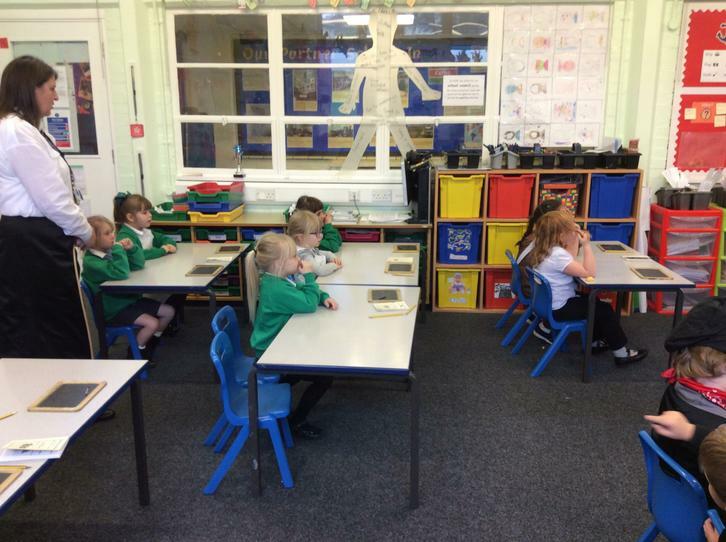 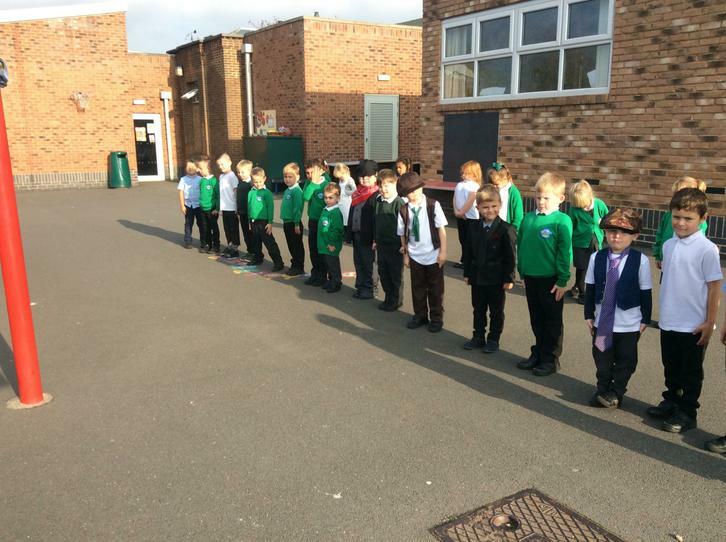 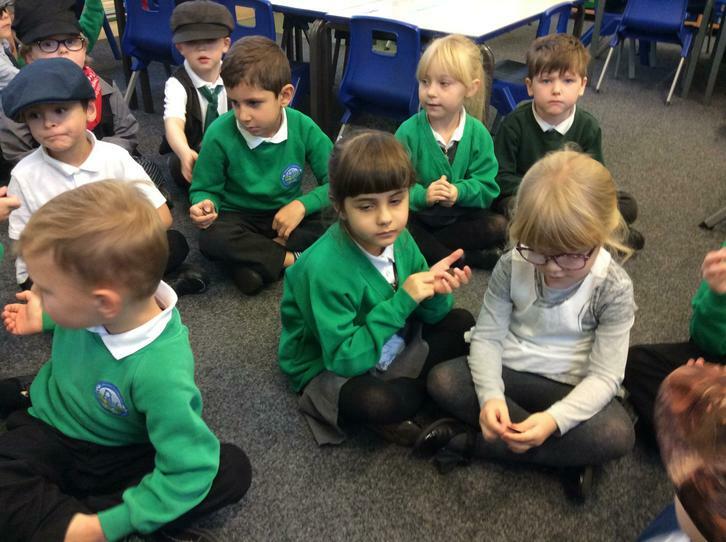 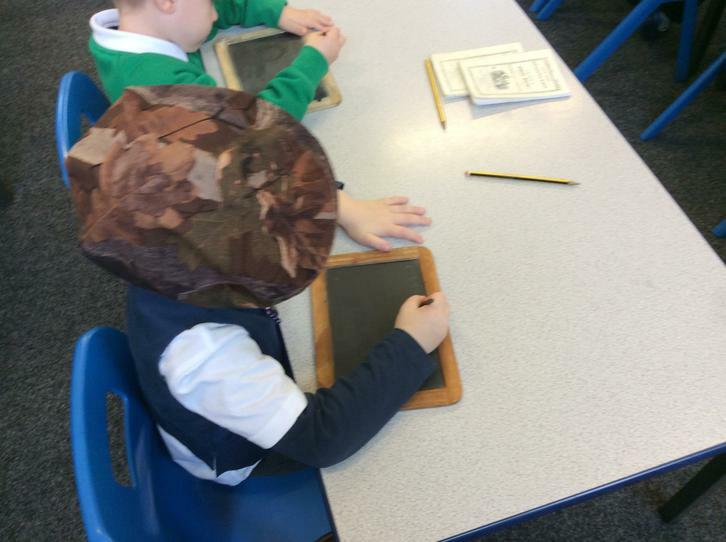 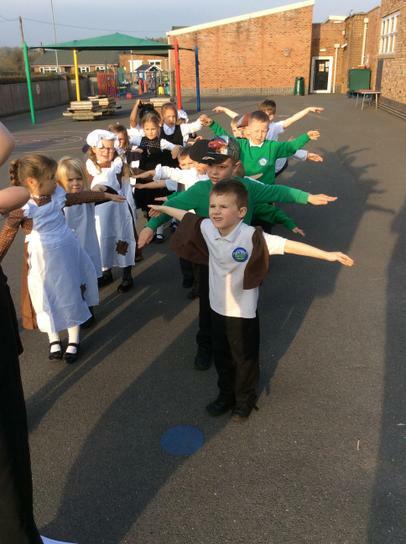 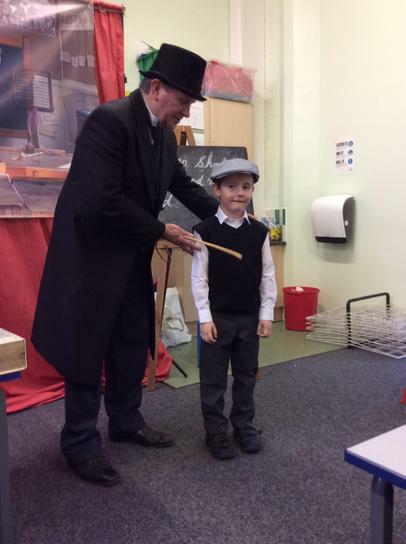 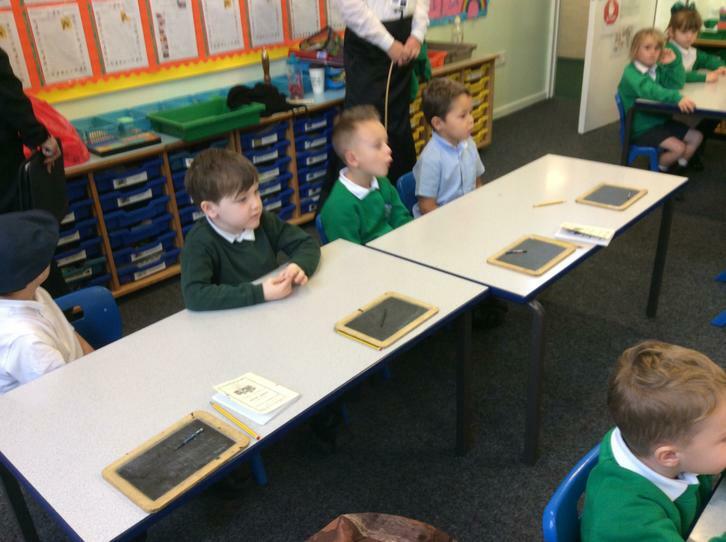 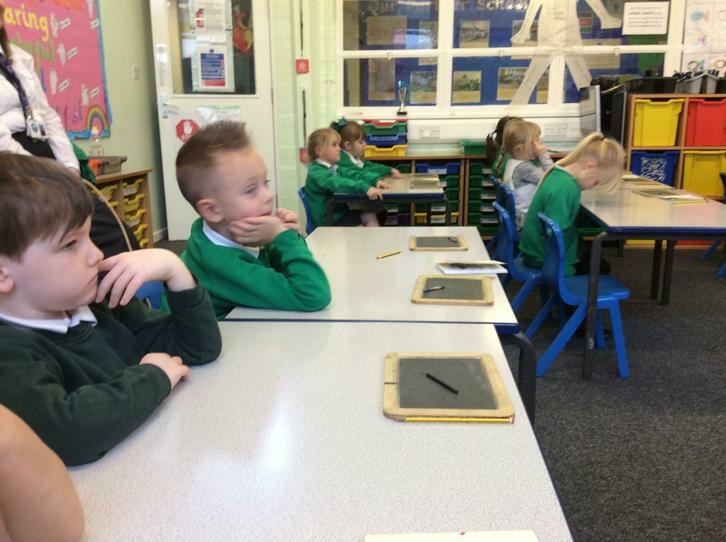 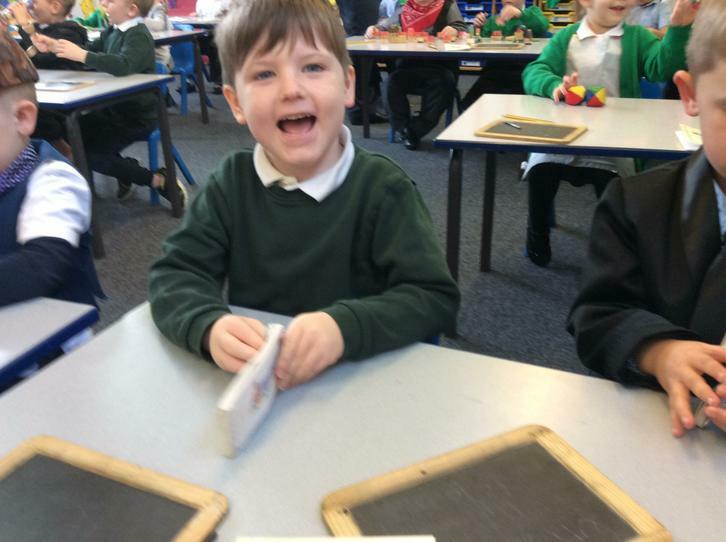 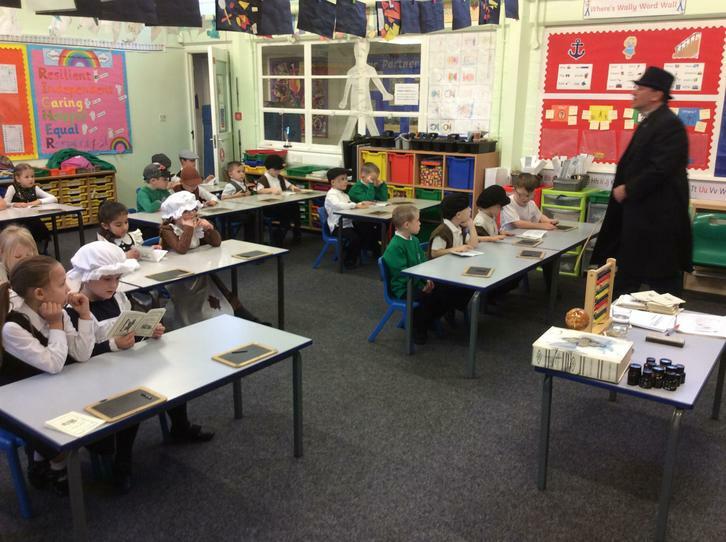 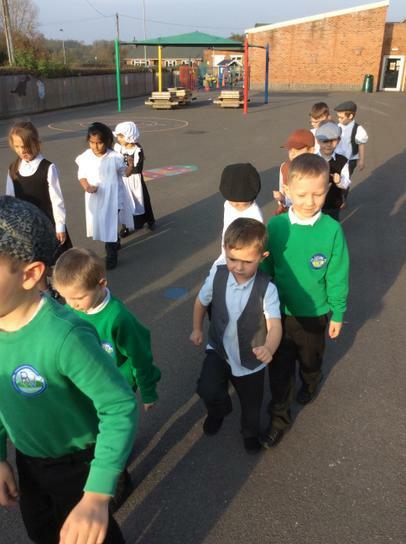 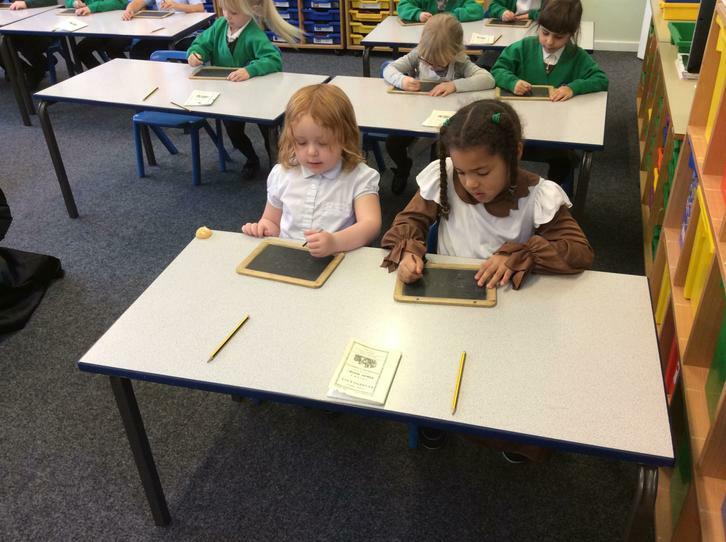 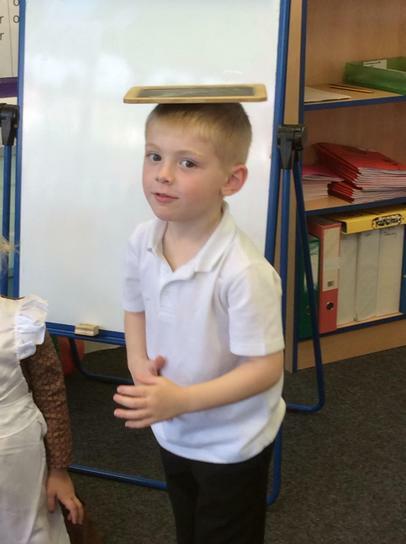 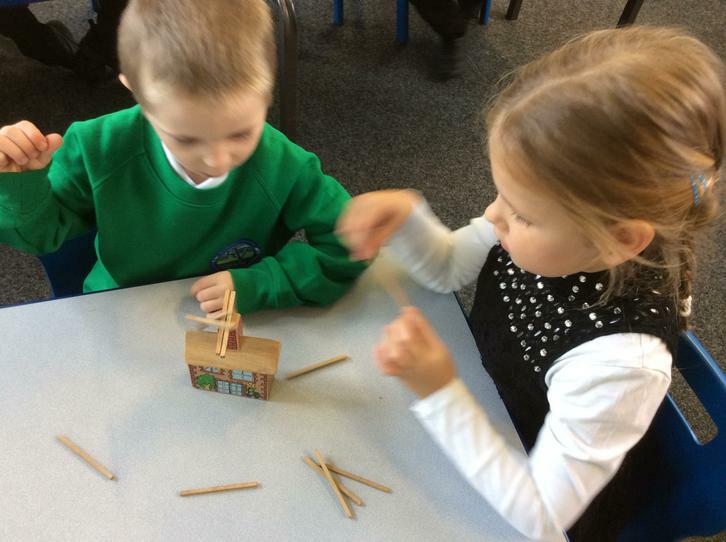 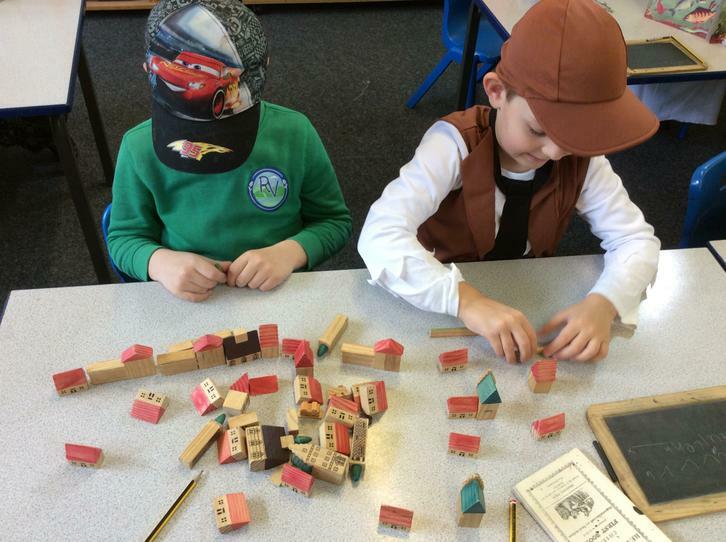 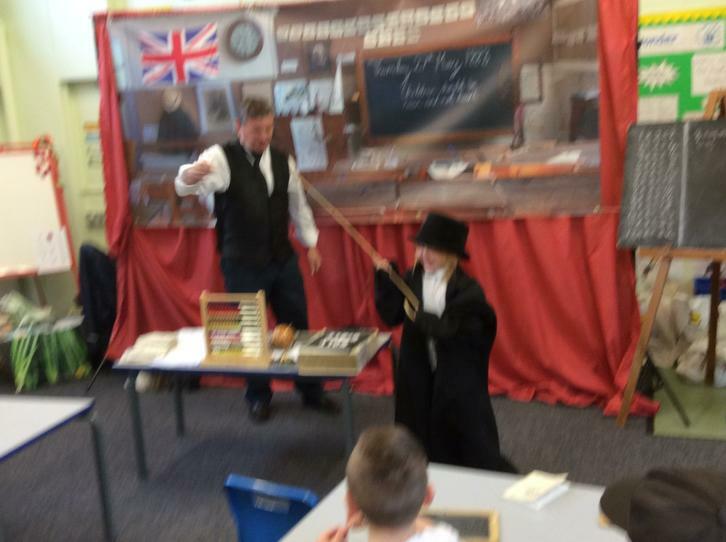 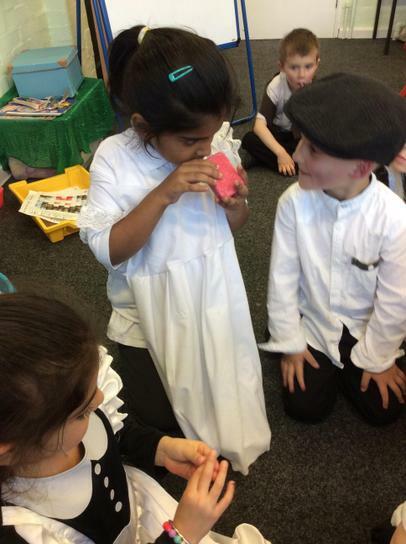 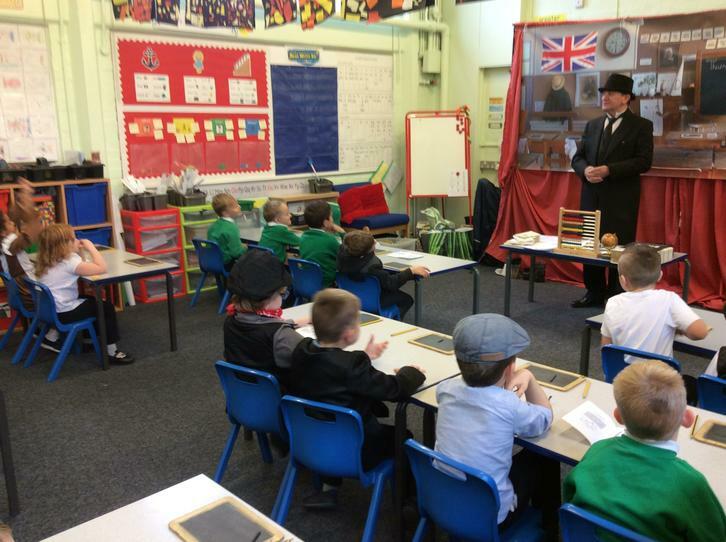 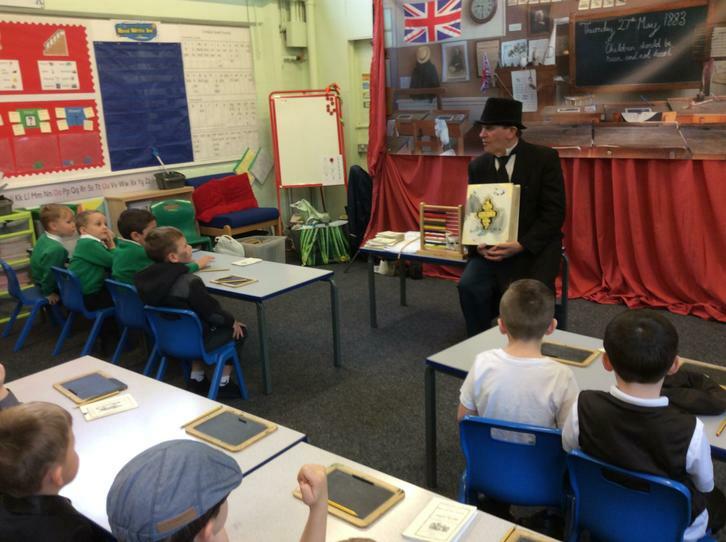 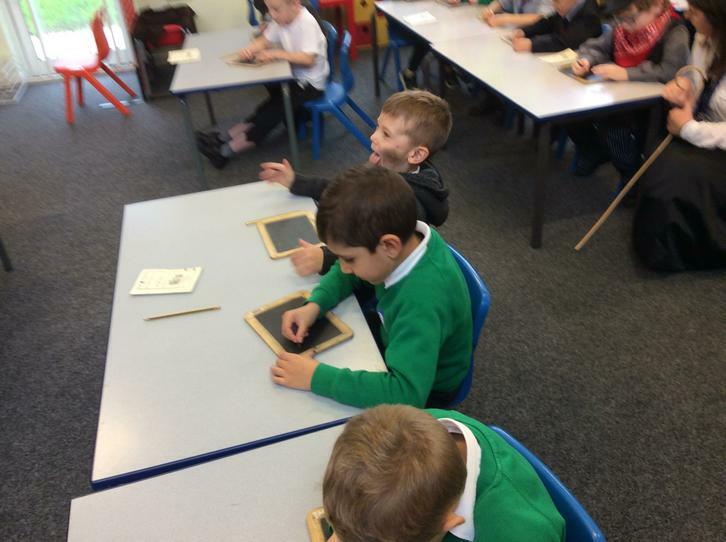 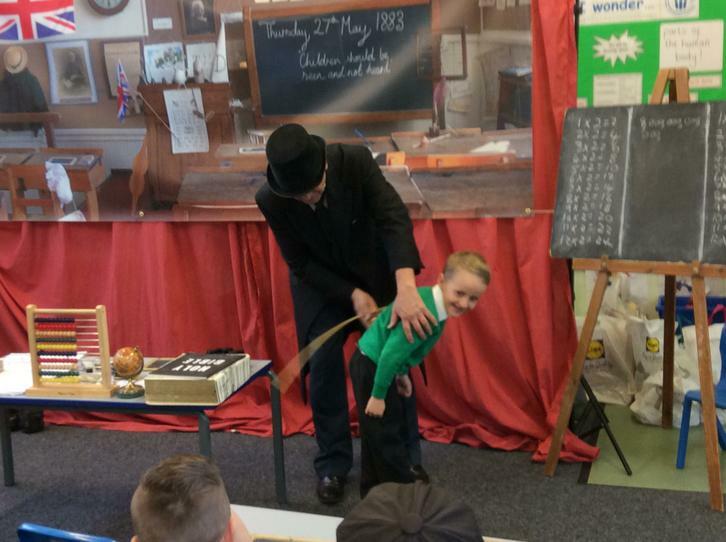 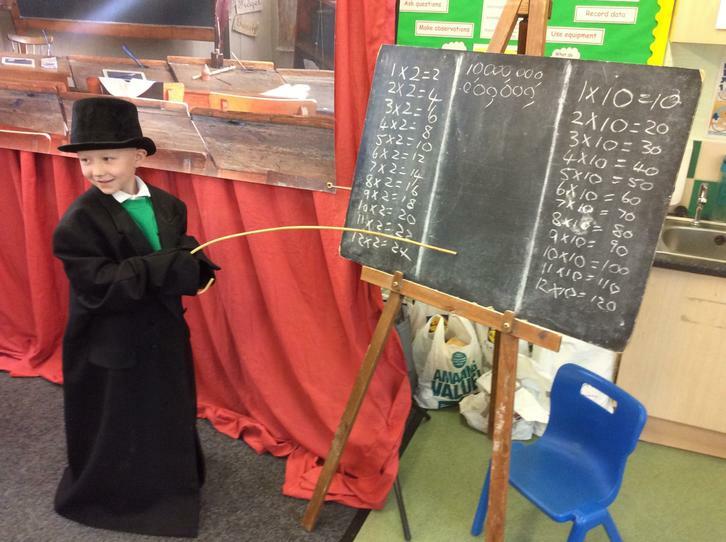 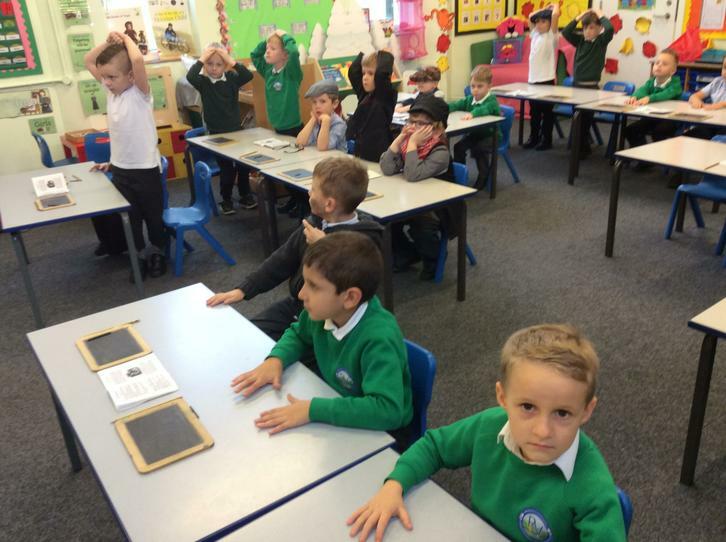 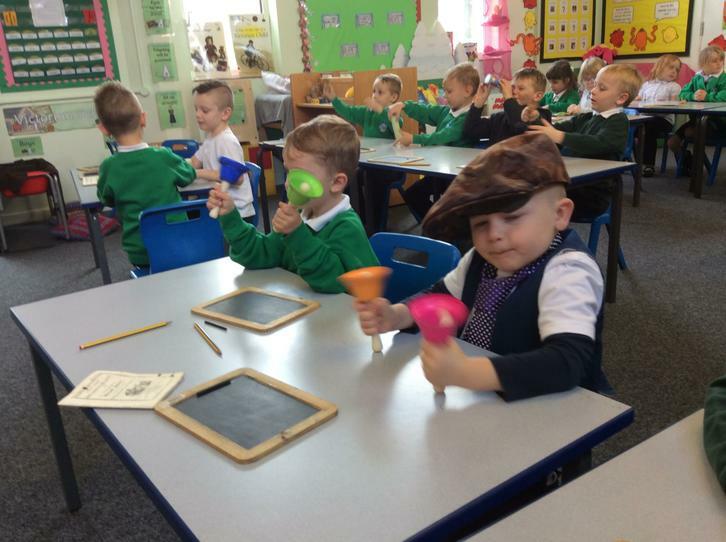 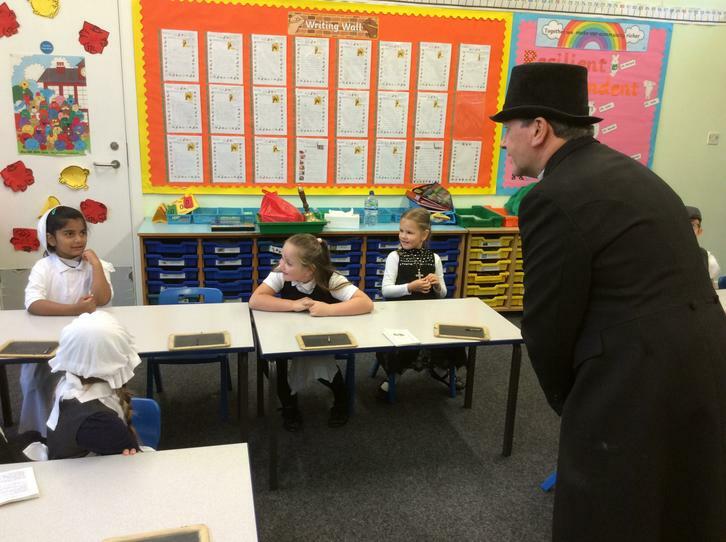 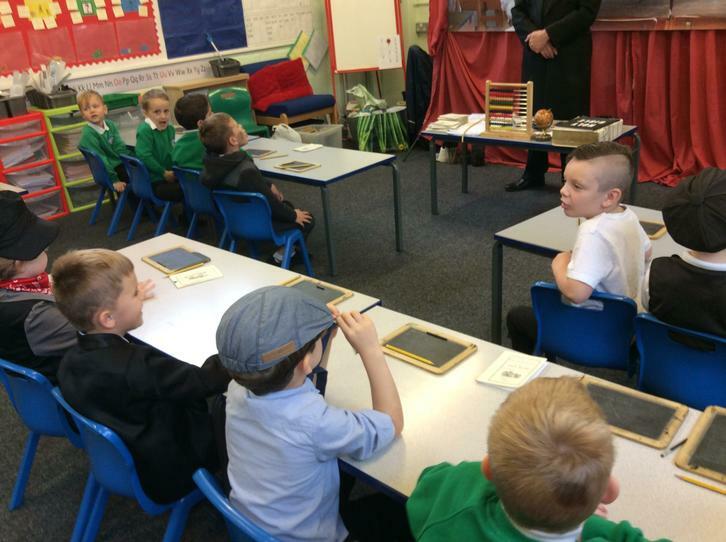 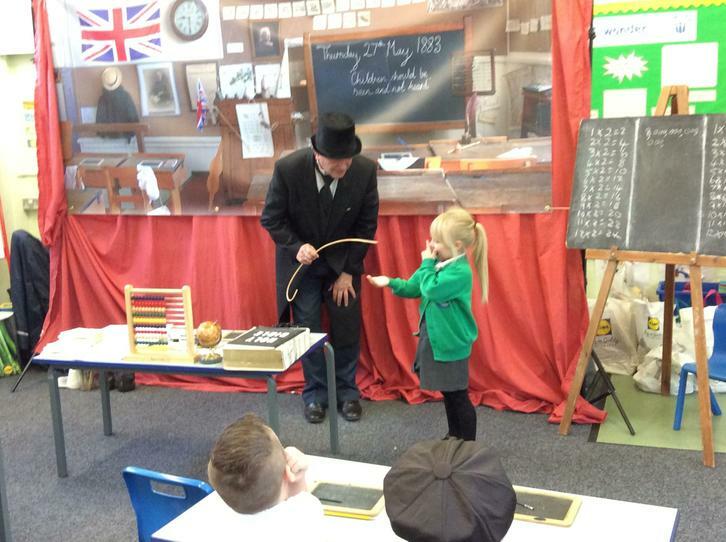 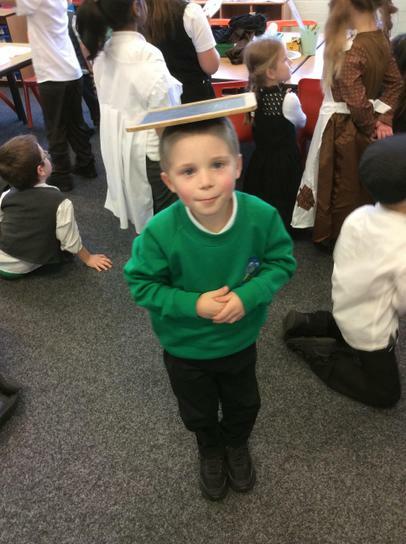 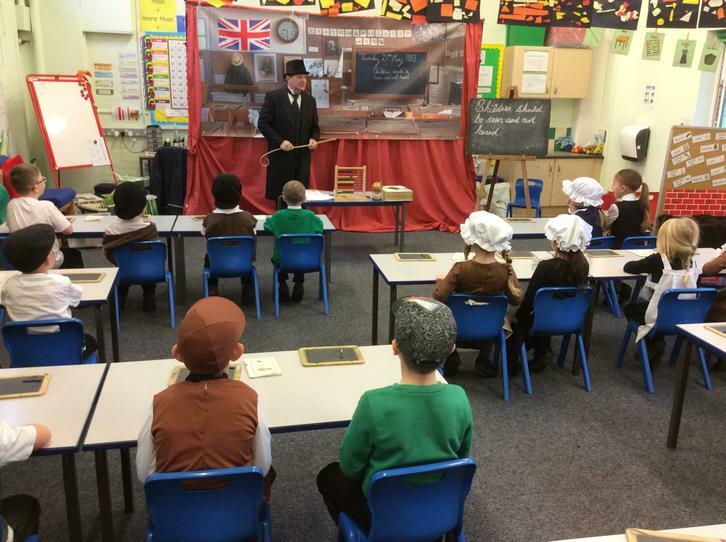 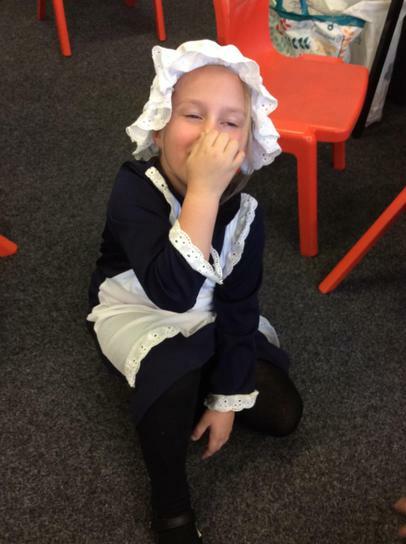 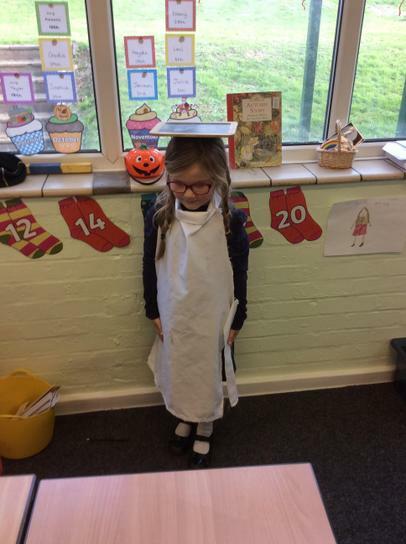 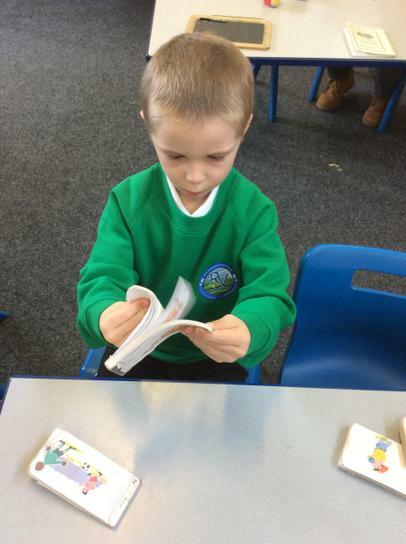 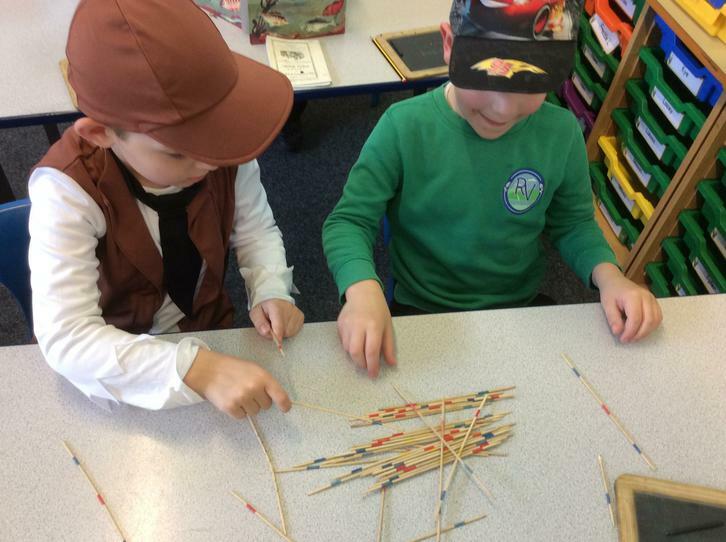 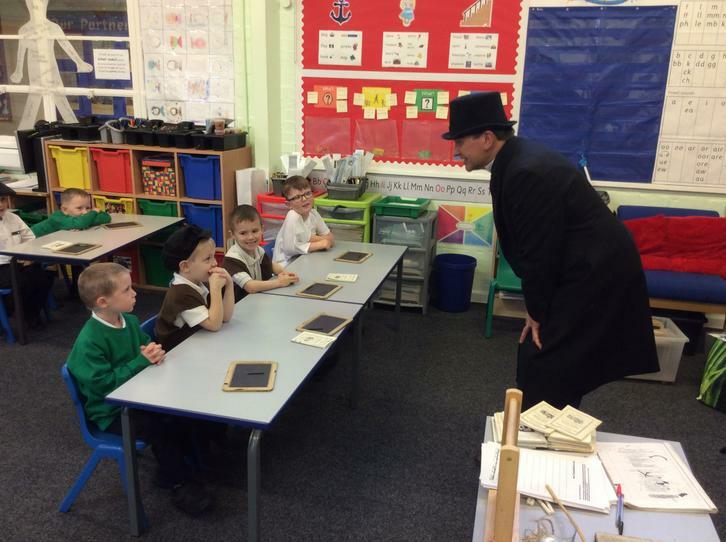 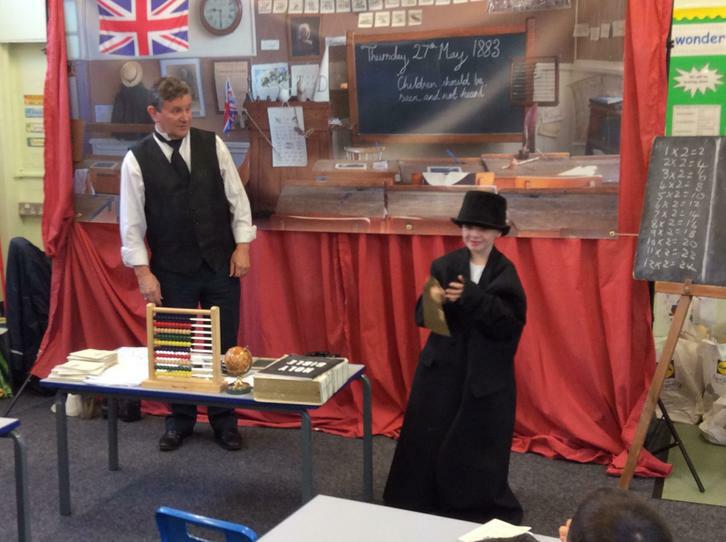 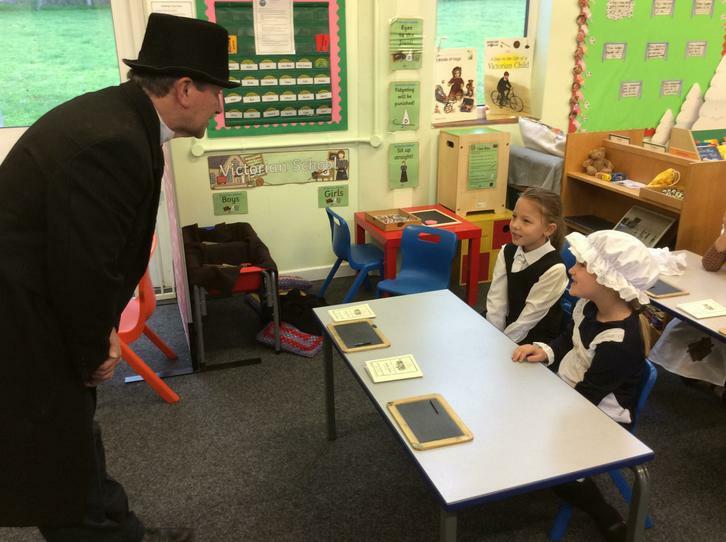 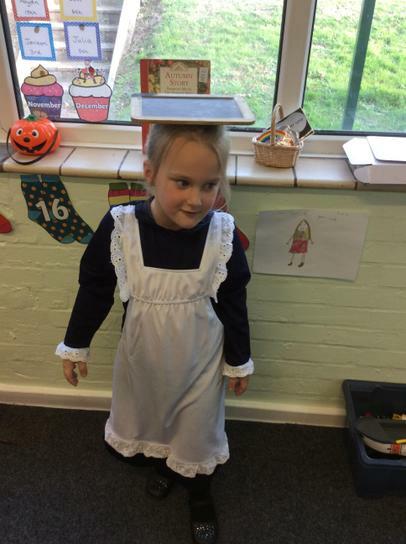 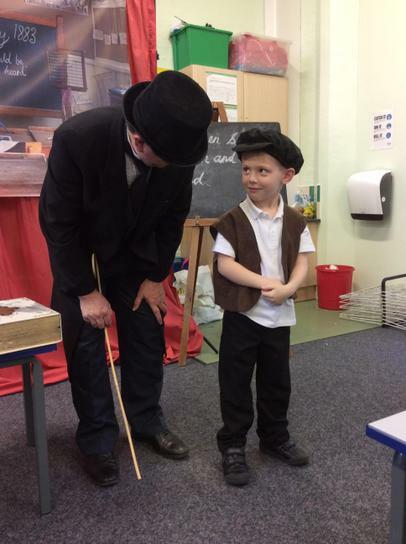 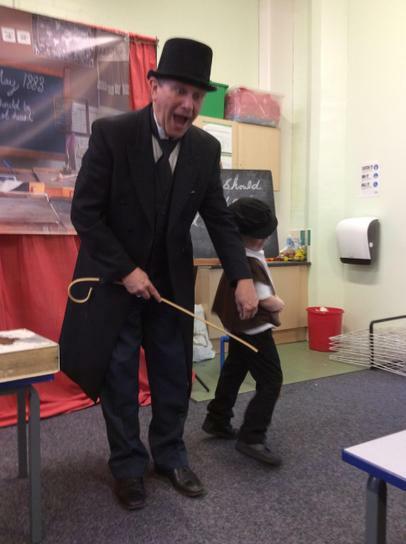 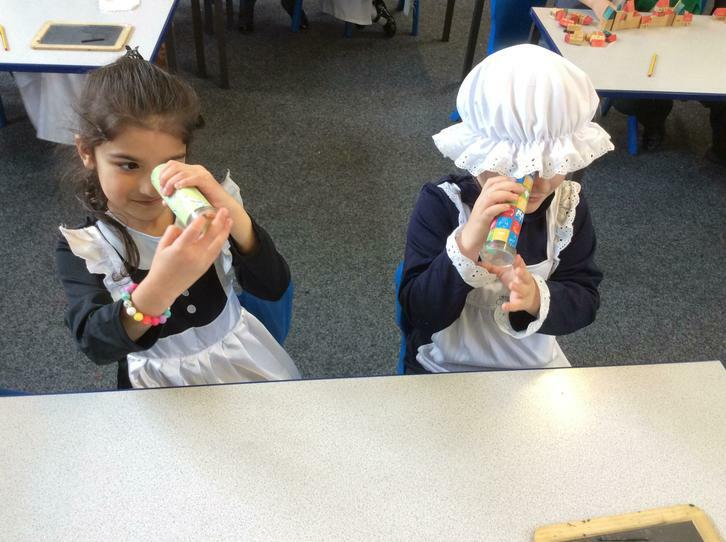 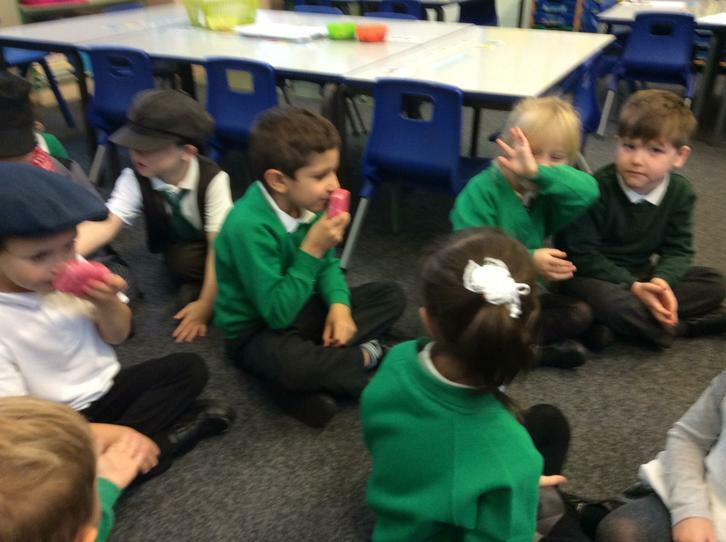 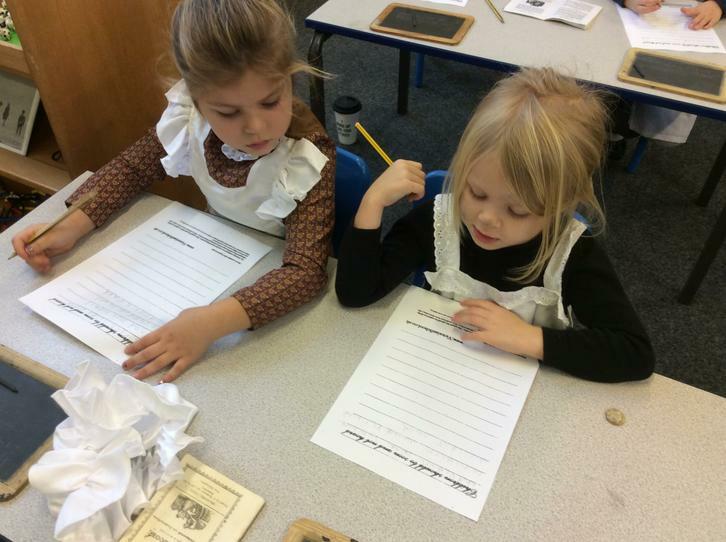 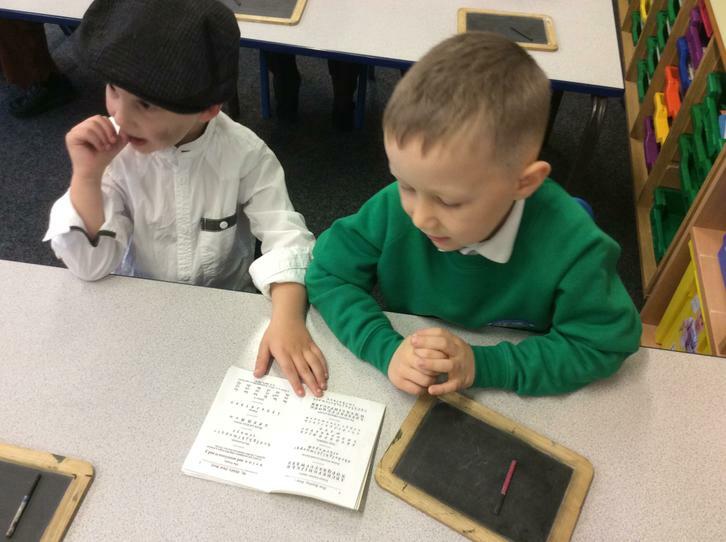 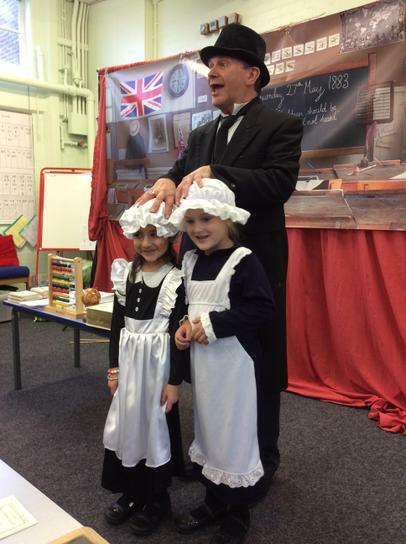 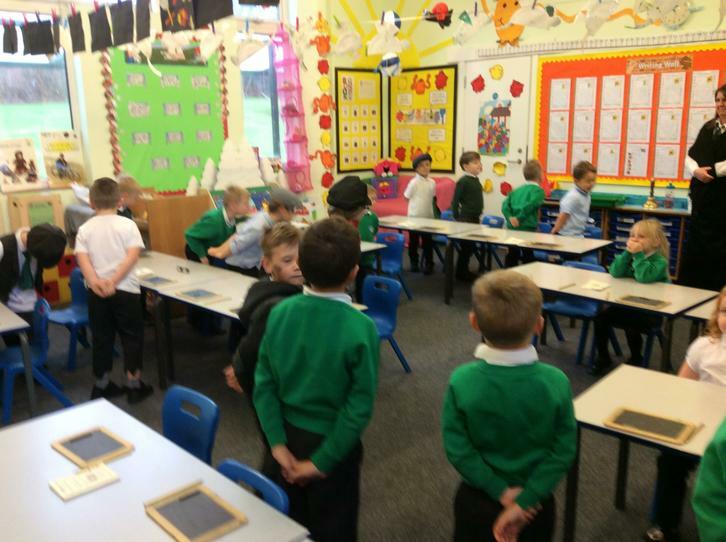 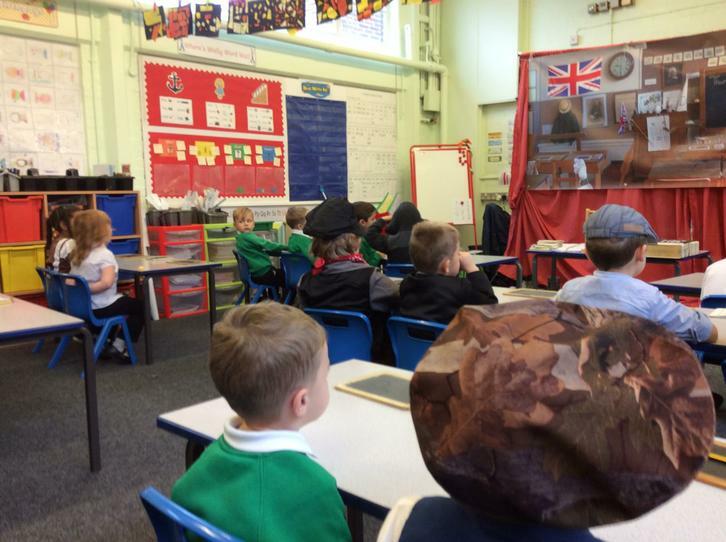 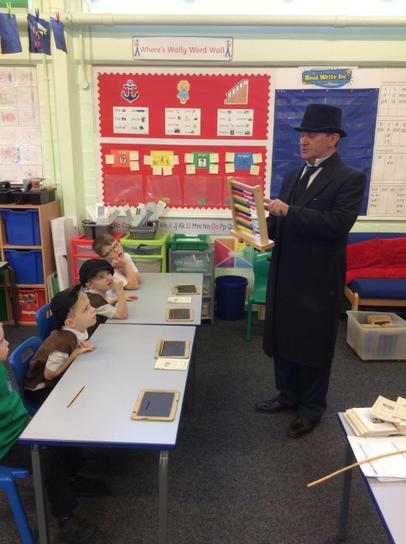 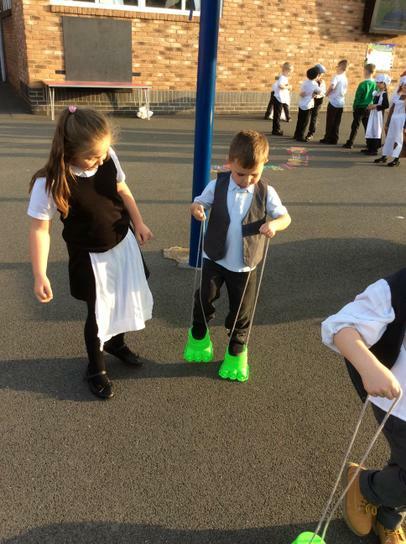 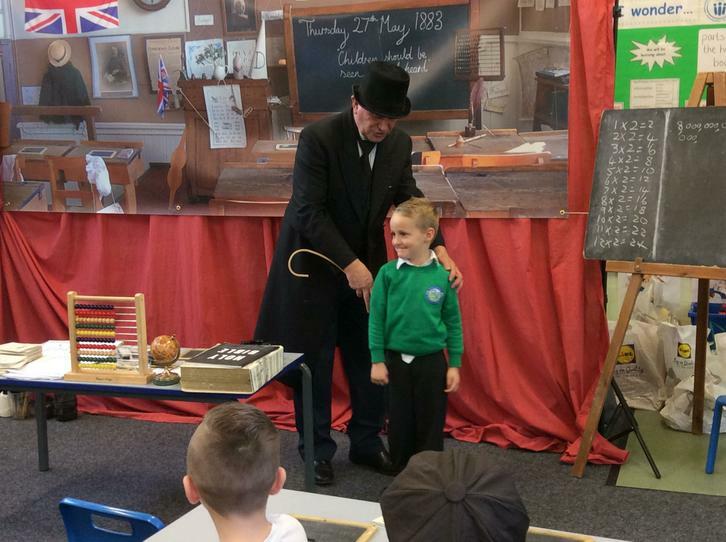 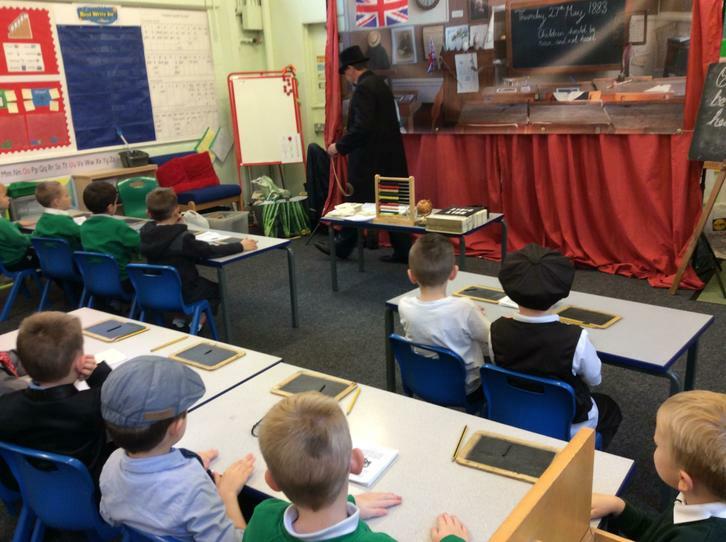 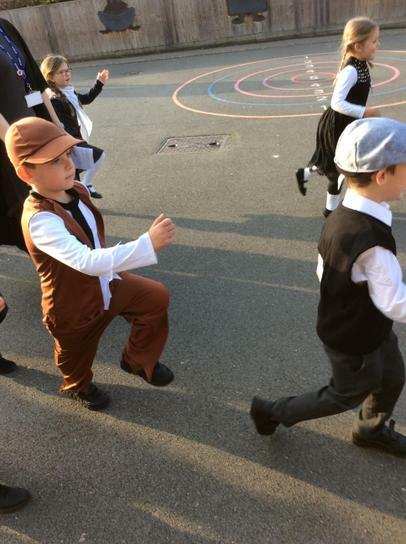 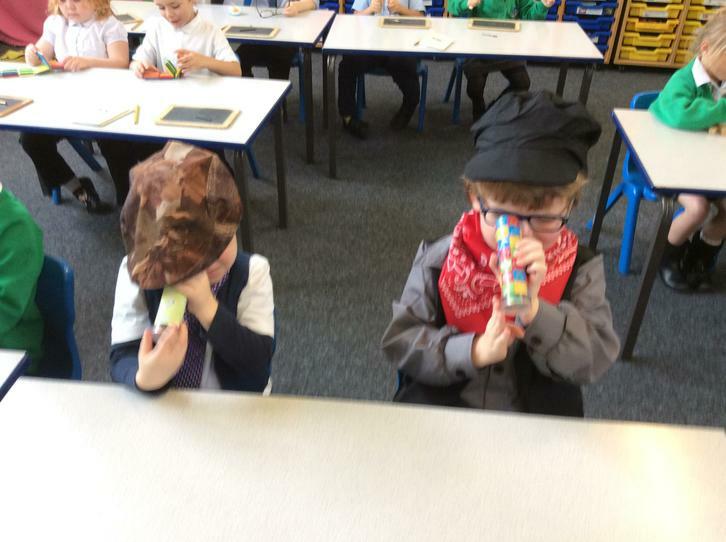 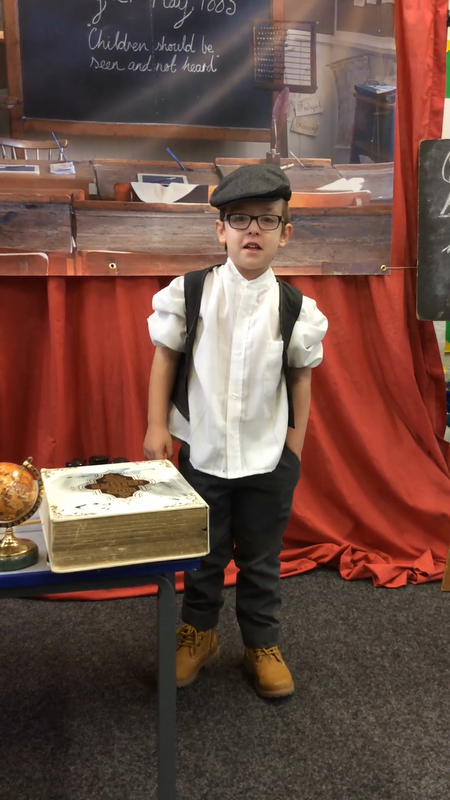 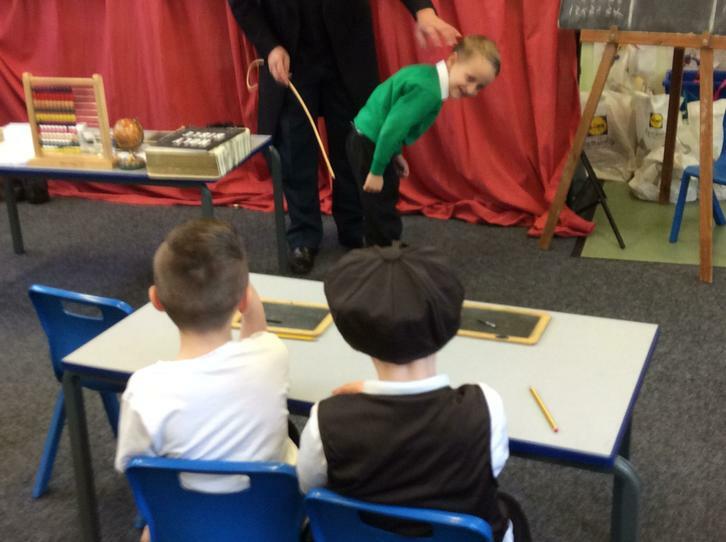 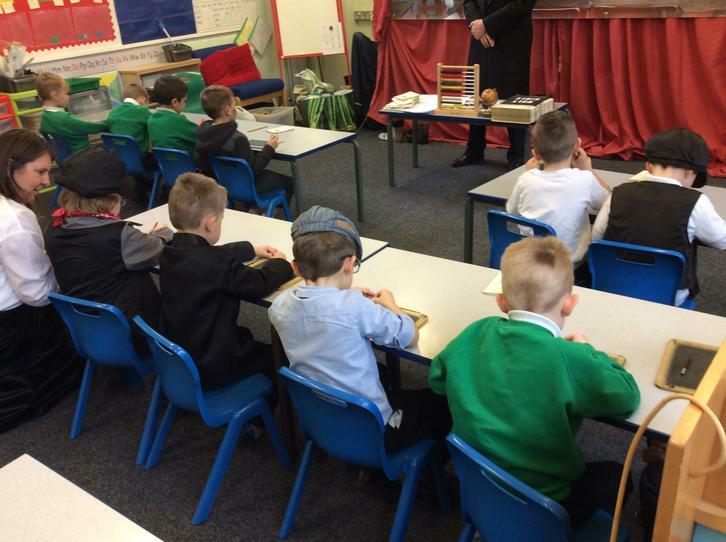 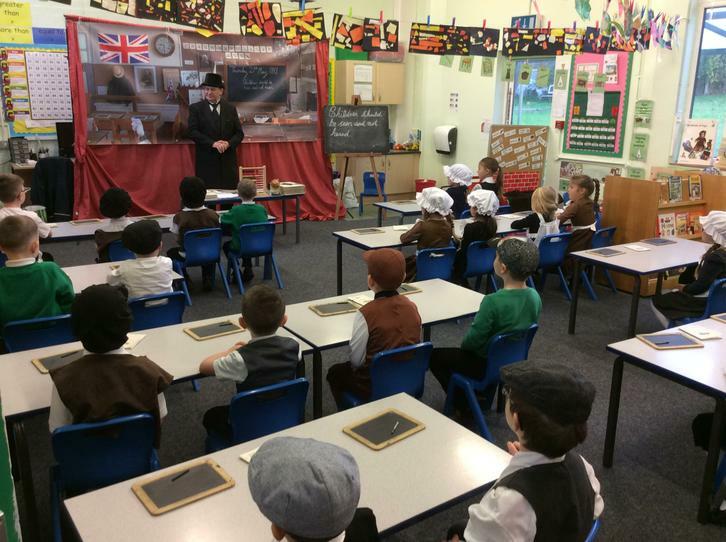 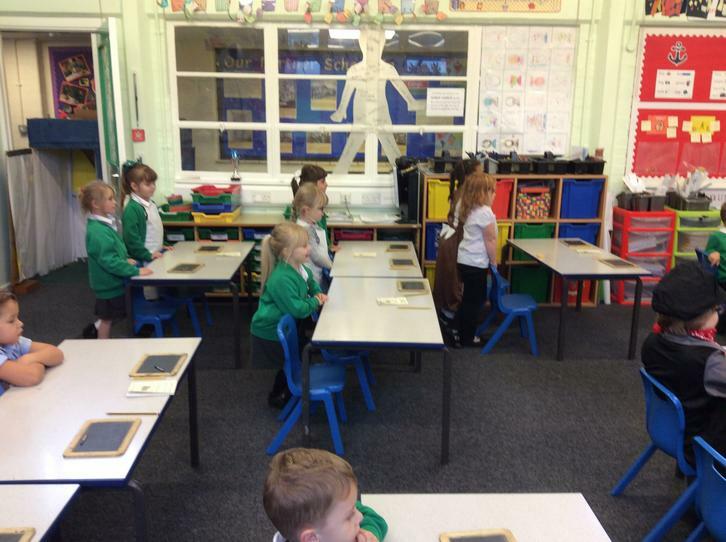 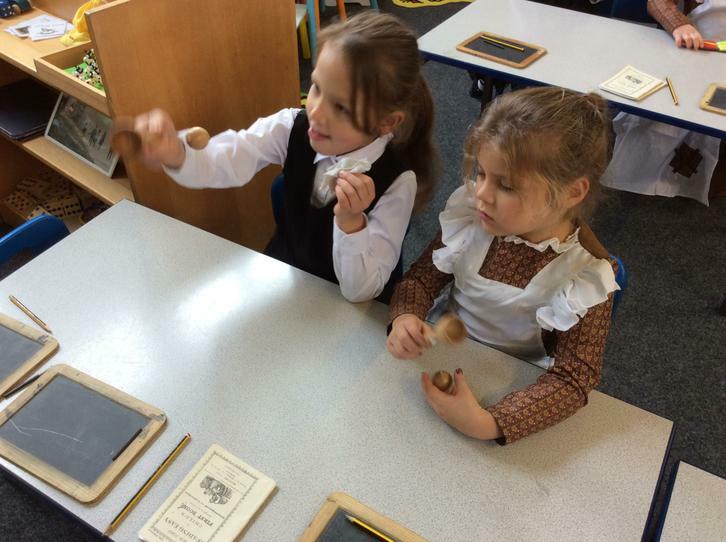 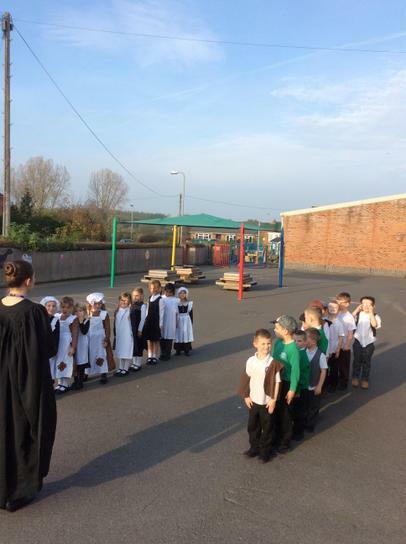 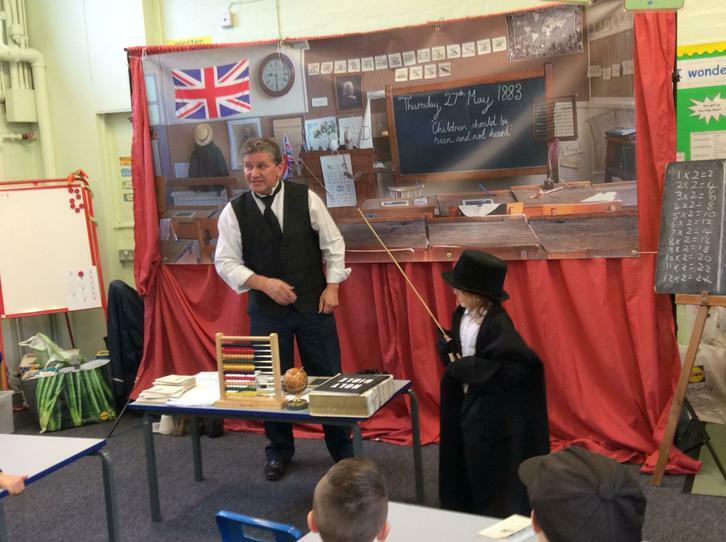 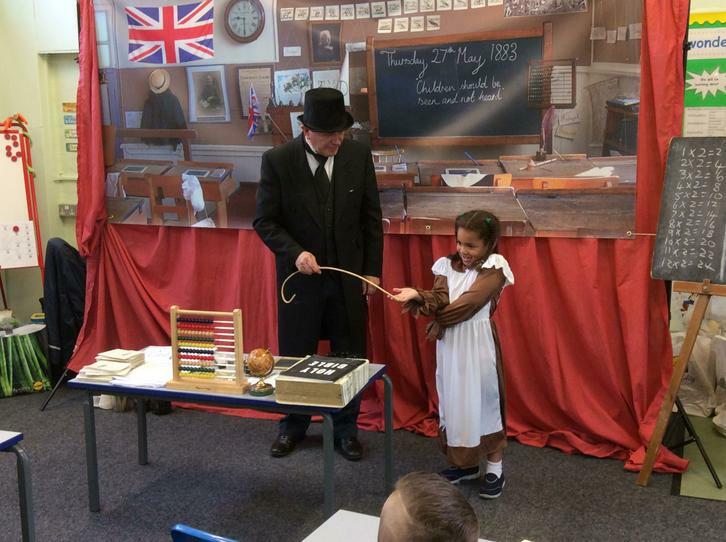 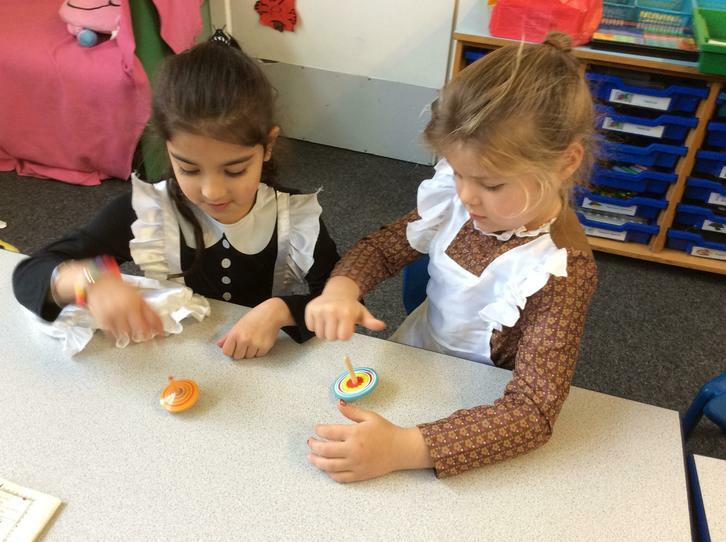 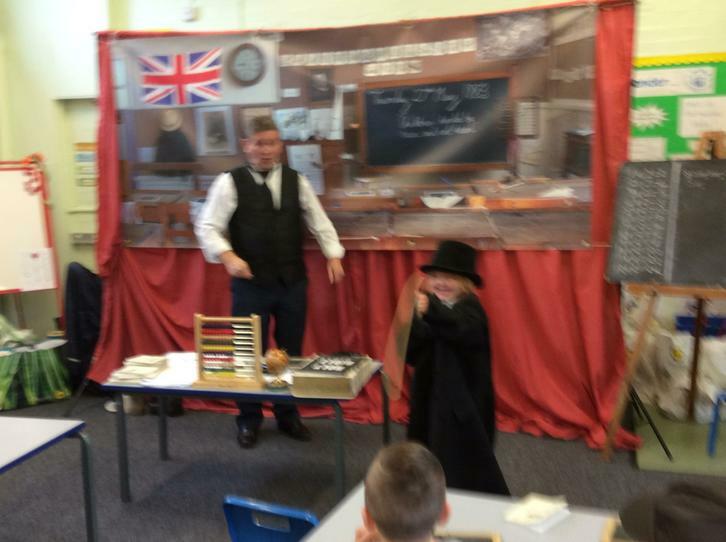 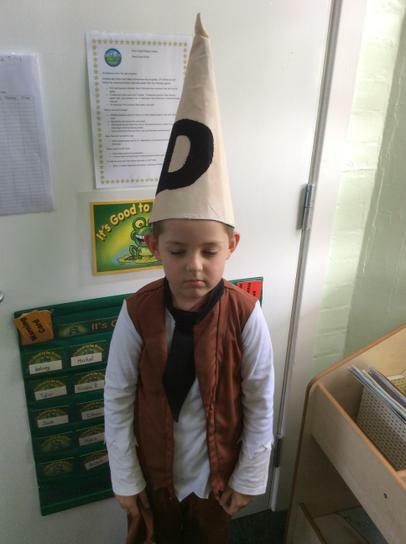 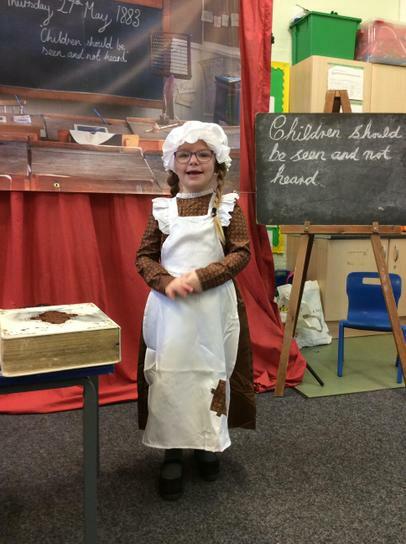 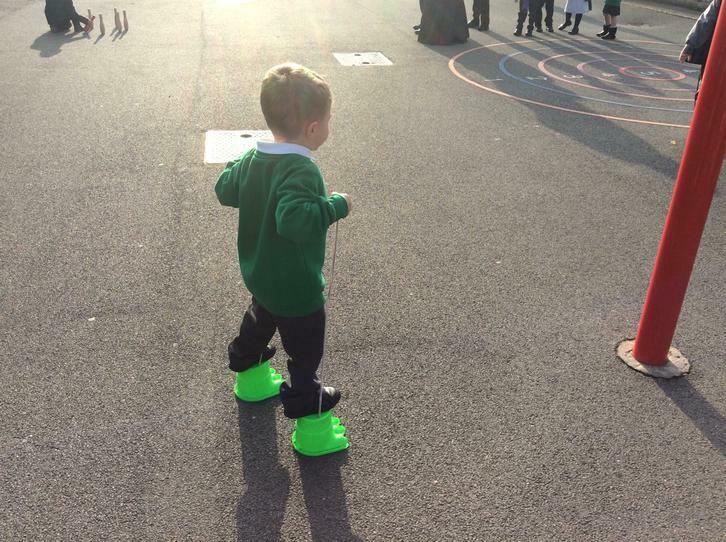 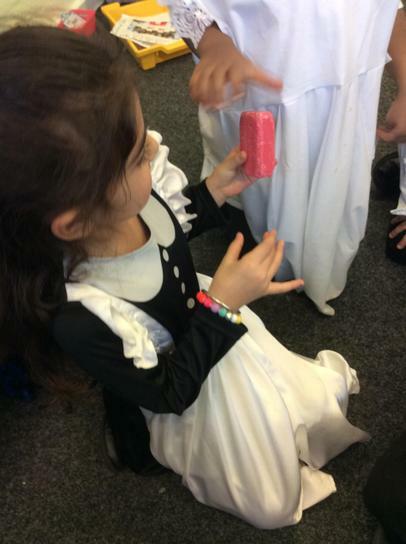 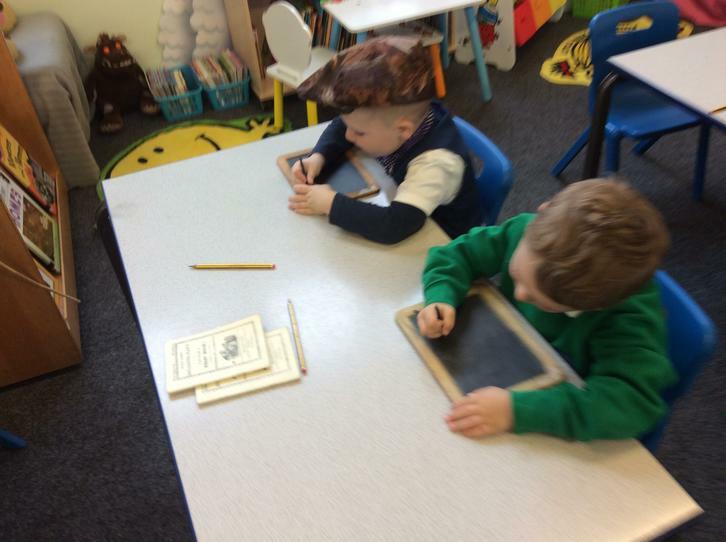 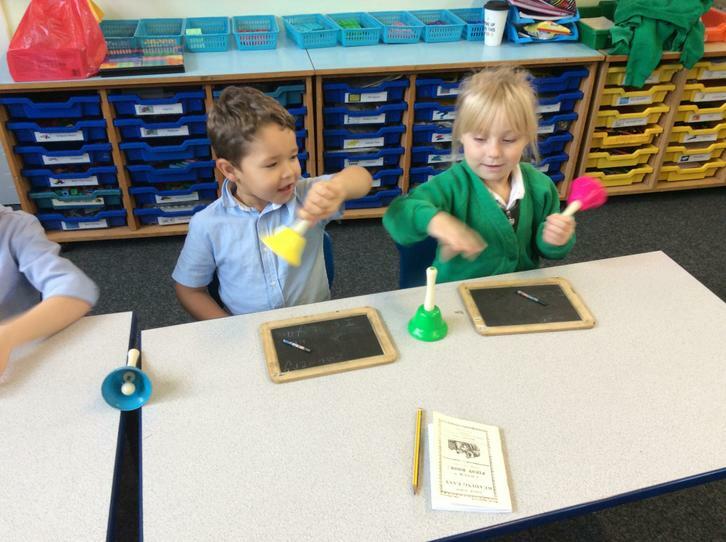 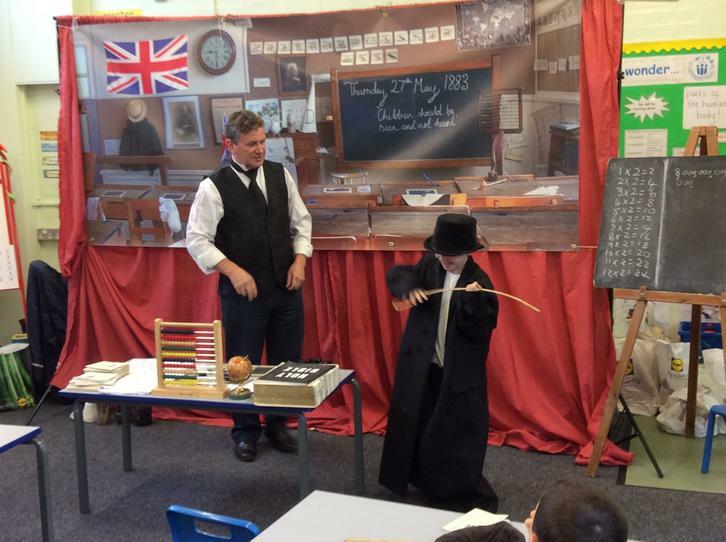 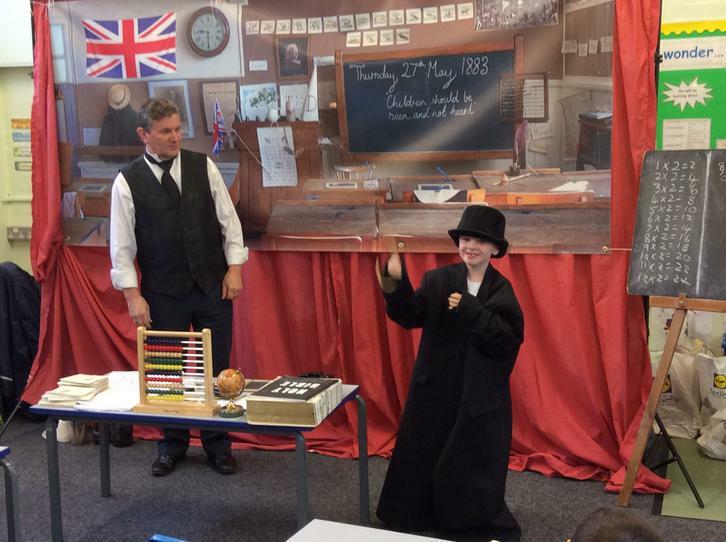 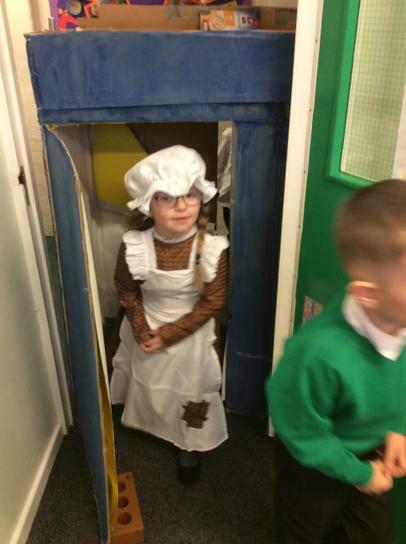 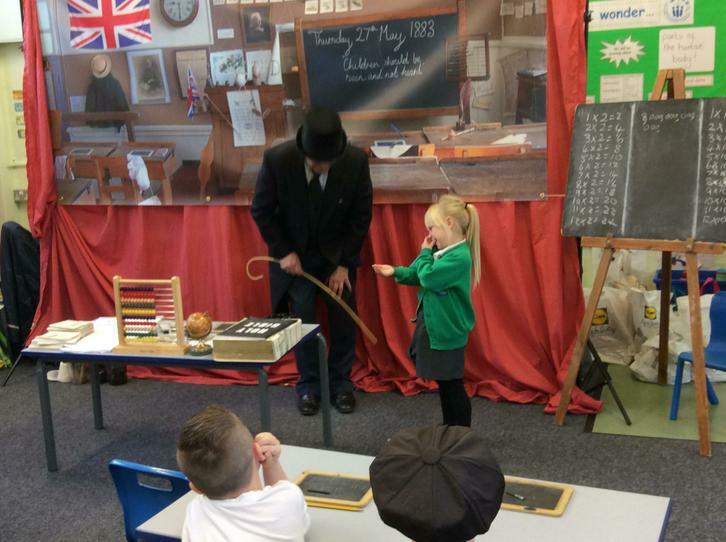 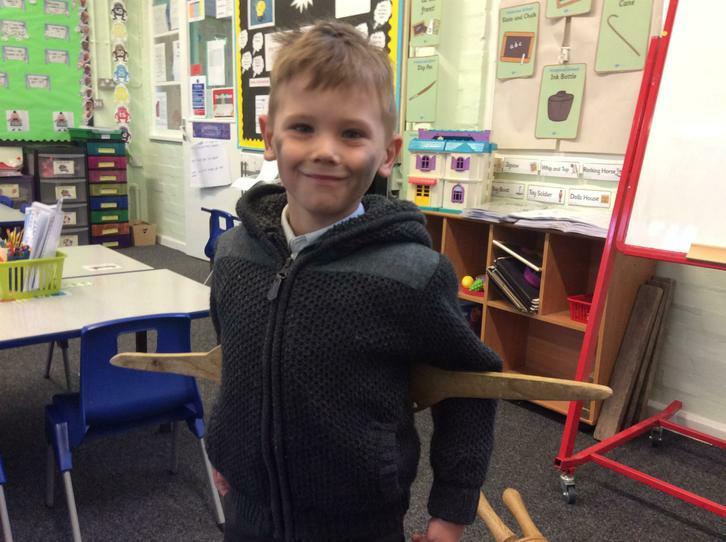 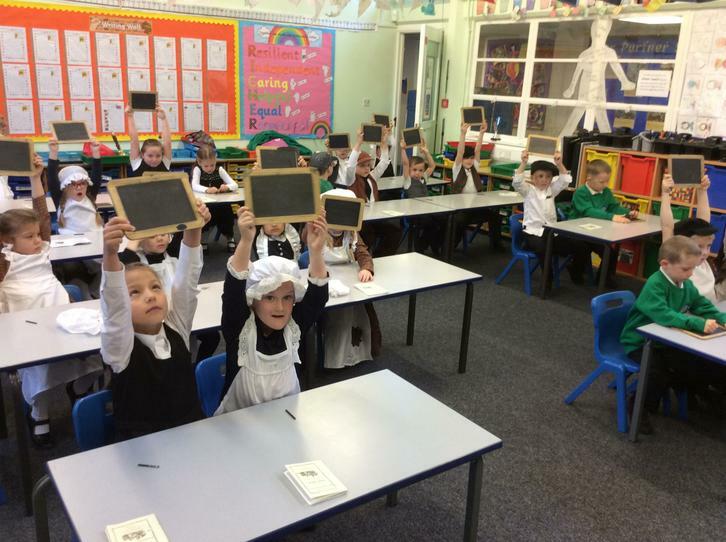 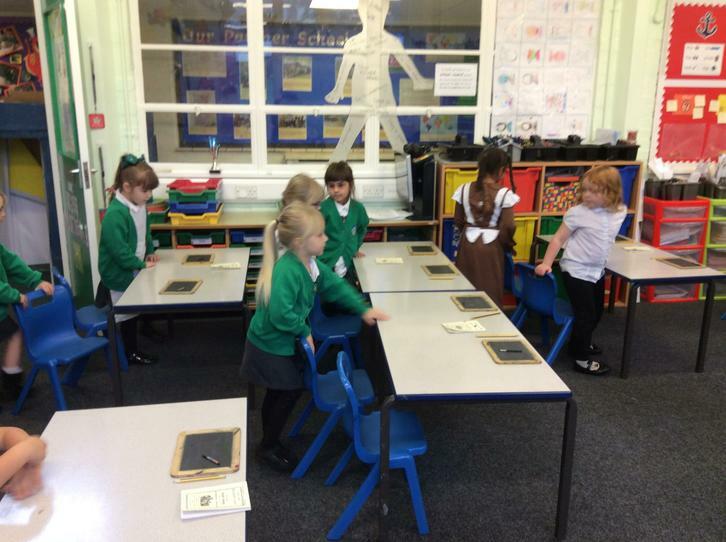 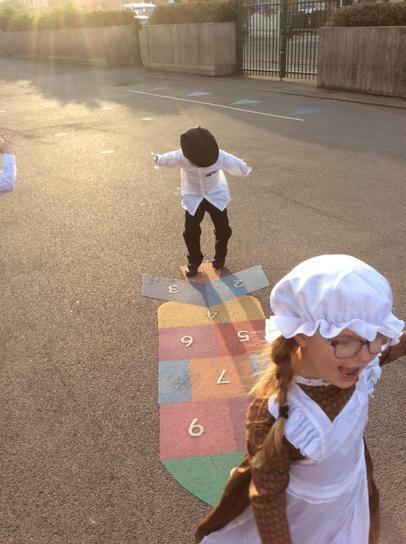 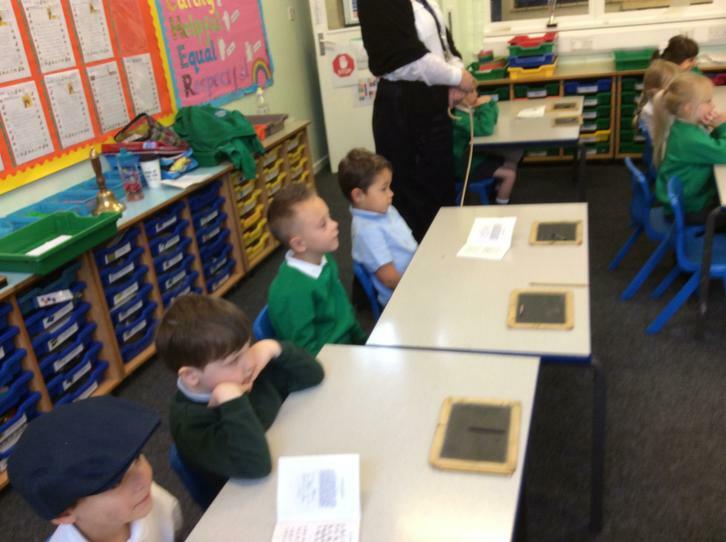 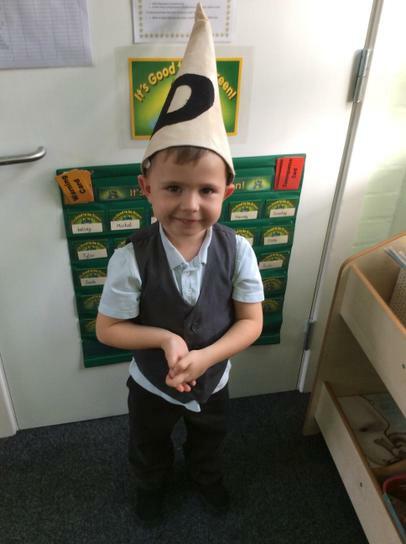 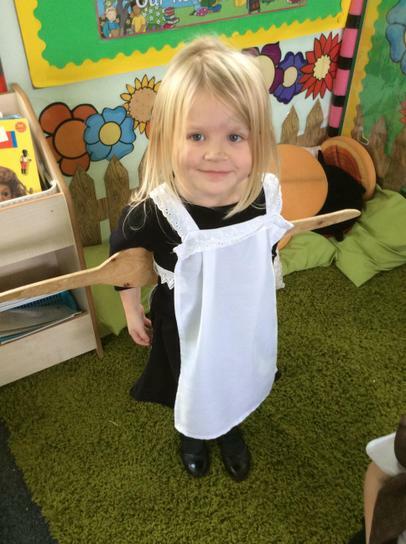 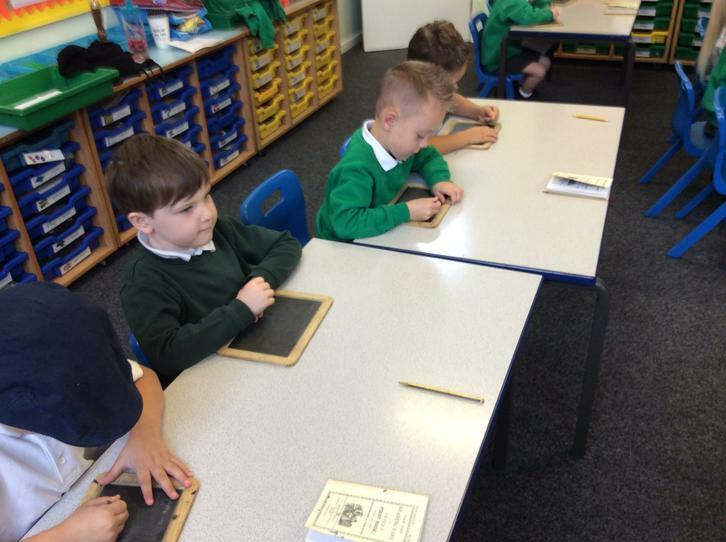 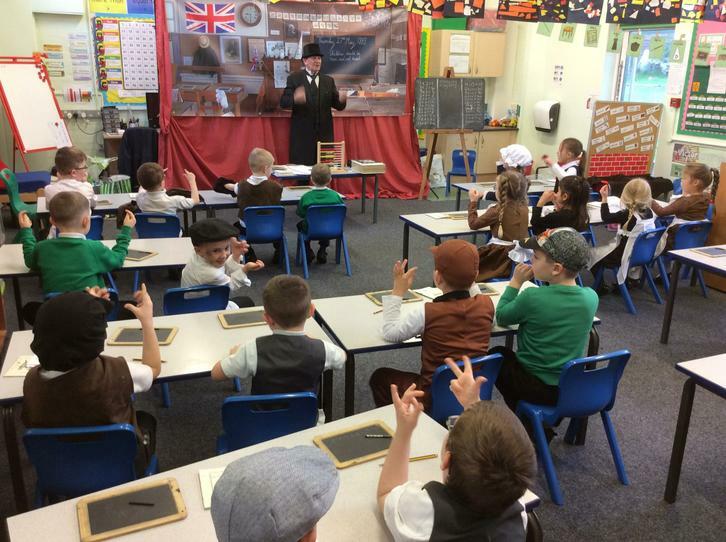 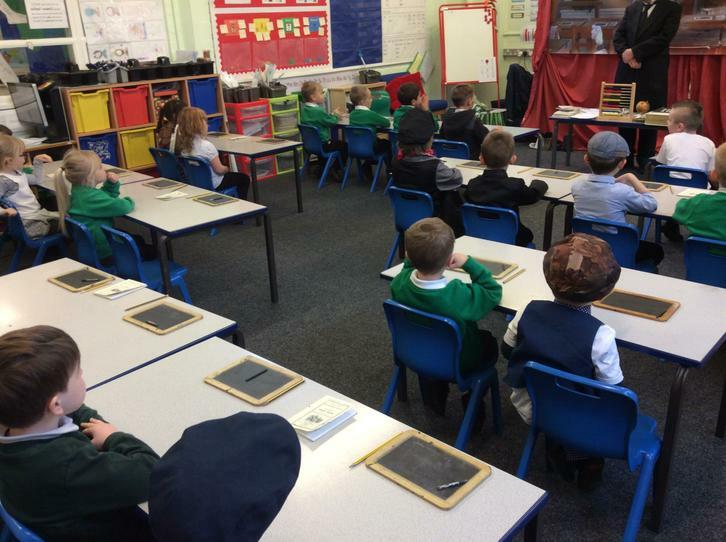 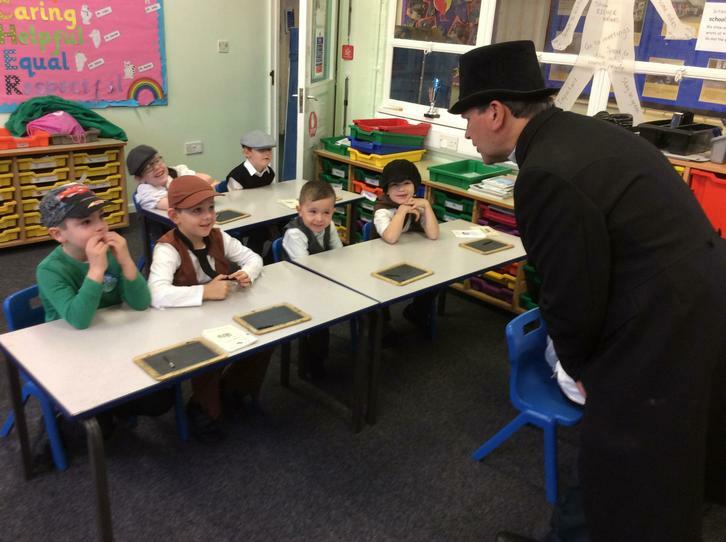 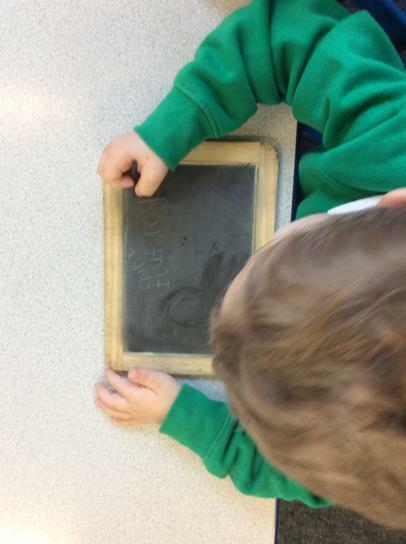 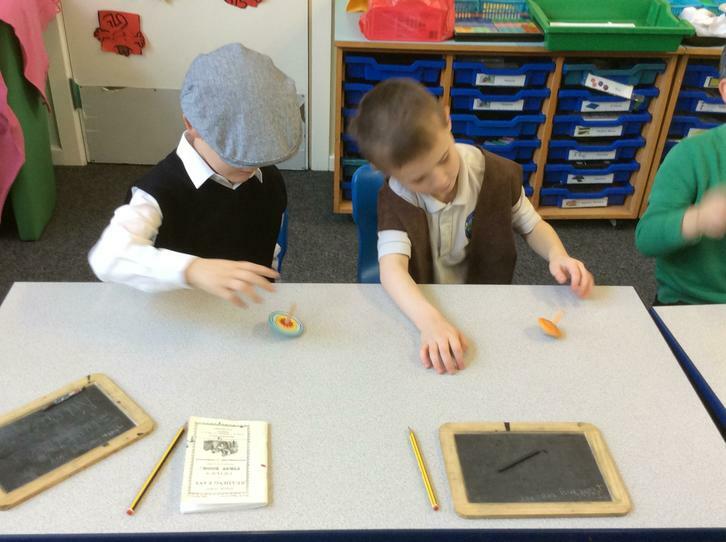 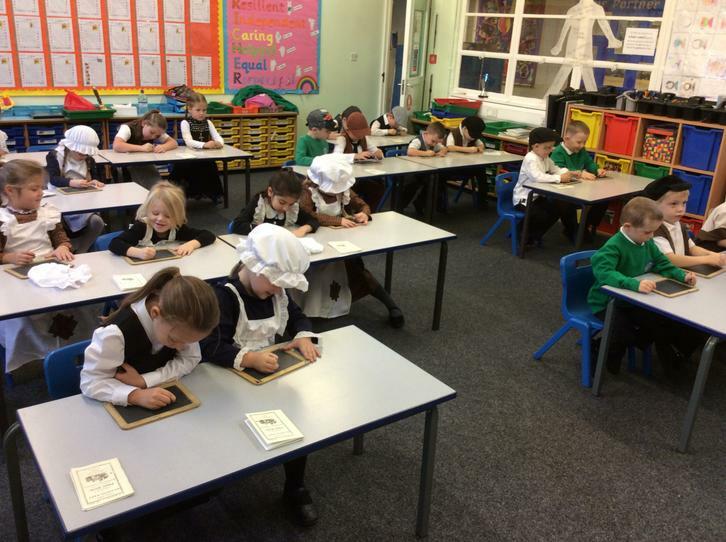 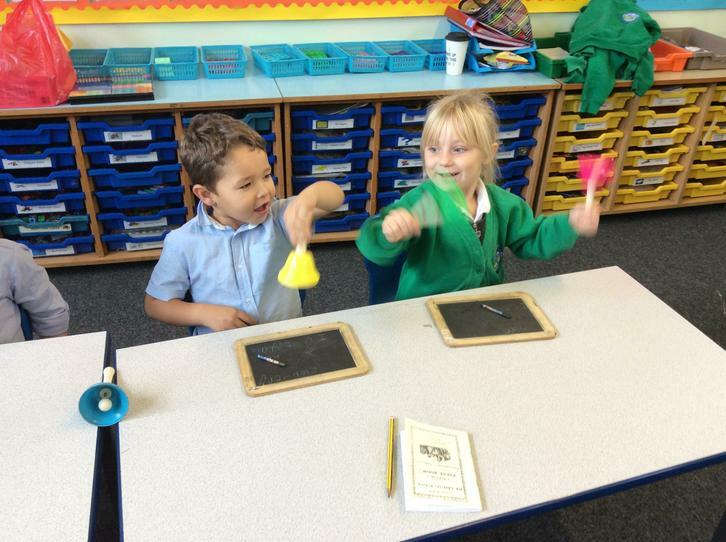 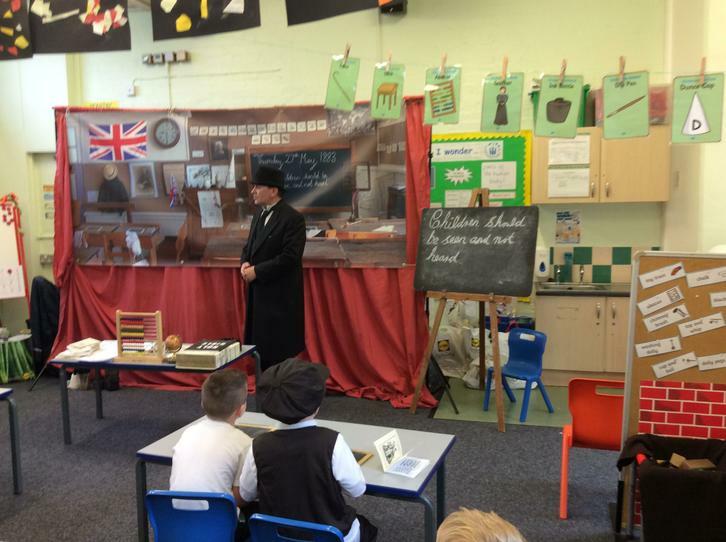 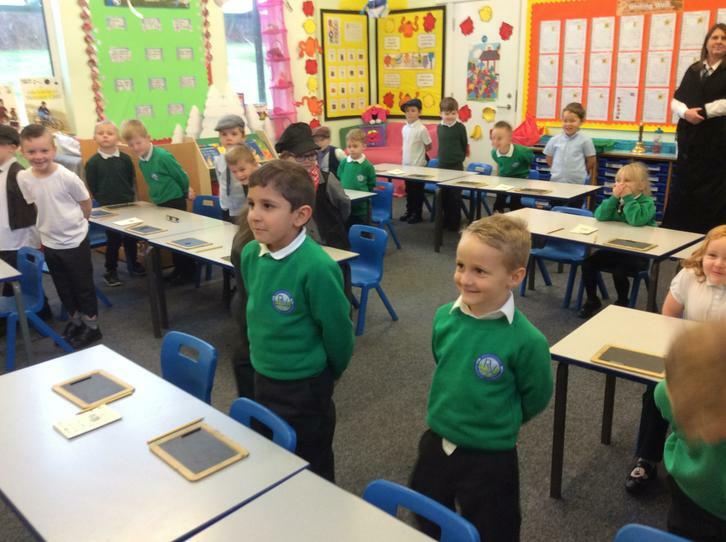 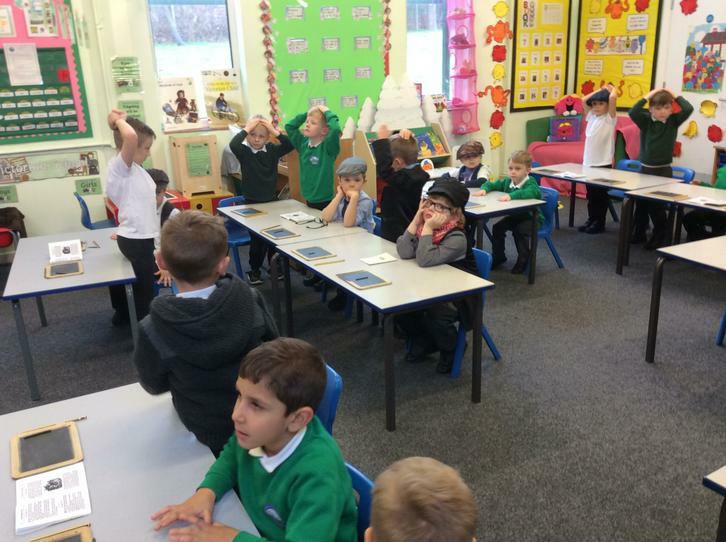 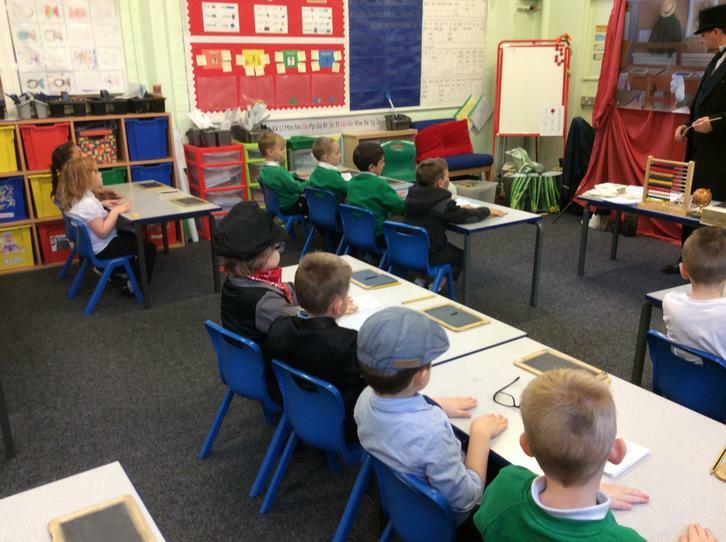 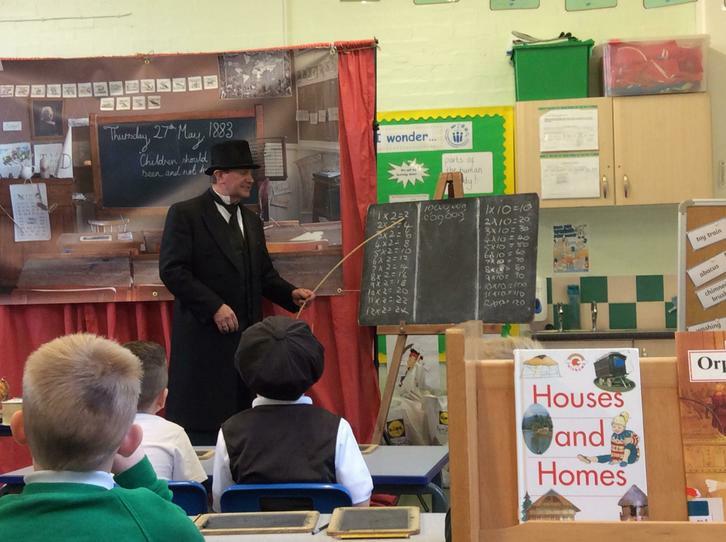 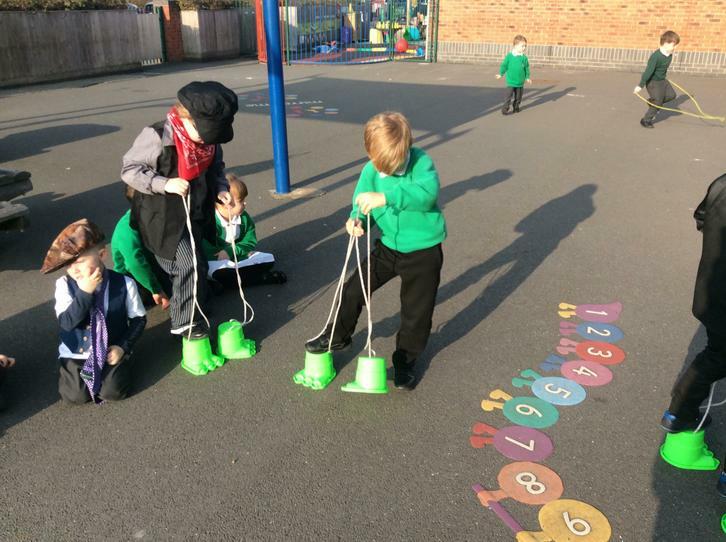 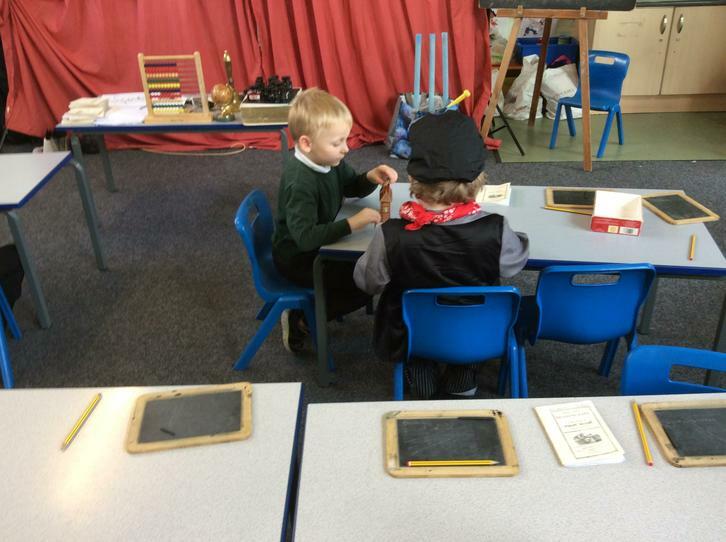 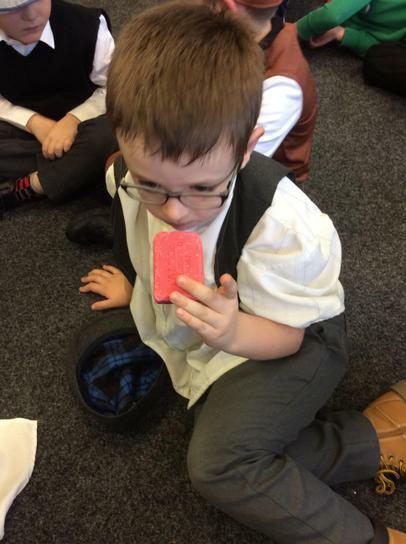 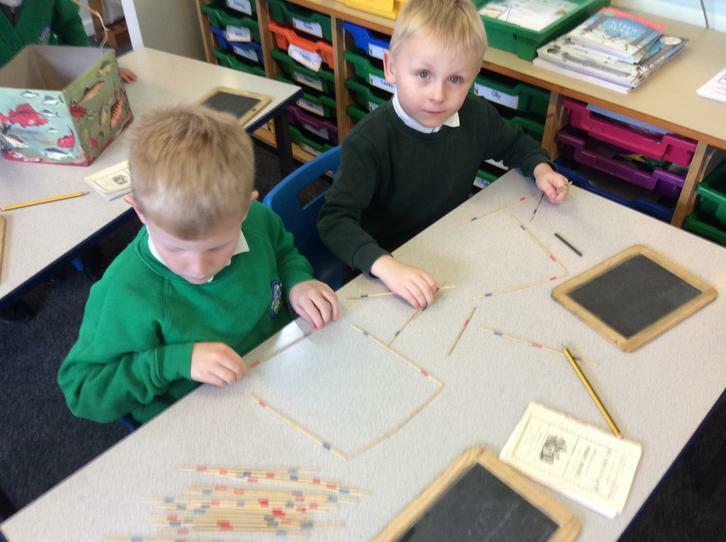 On Monday 5th November, to launch our topic for this half term, Year 1 and 2 had a Victorian Day! 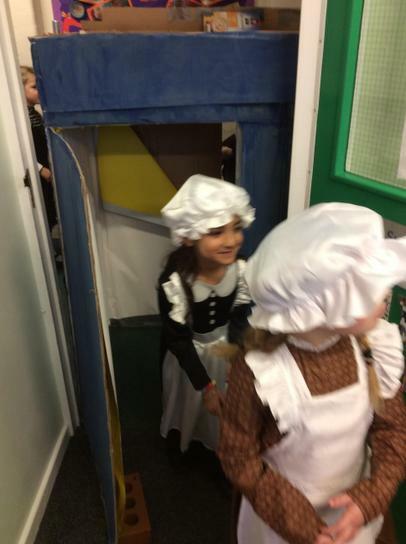 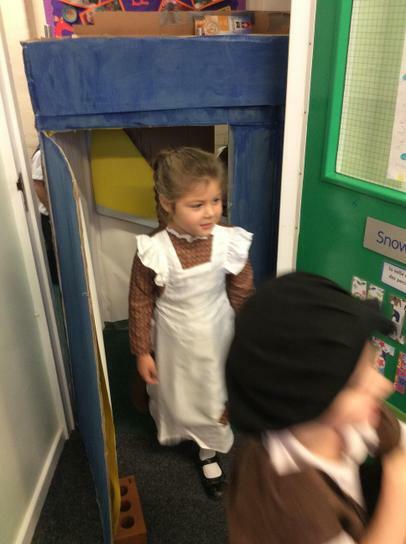 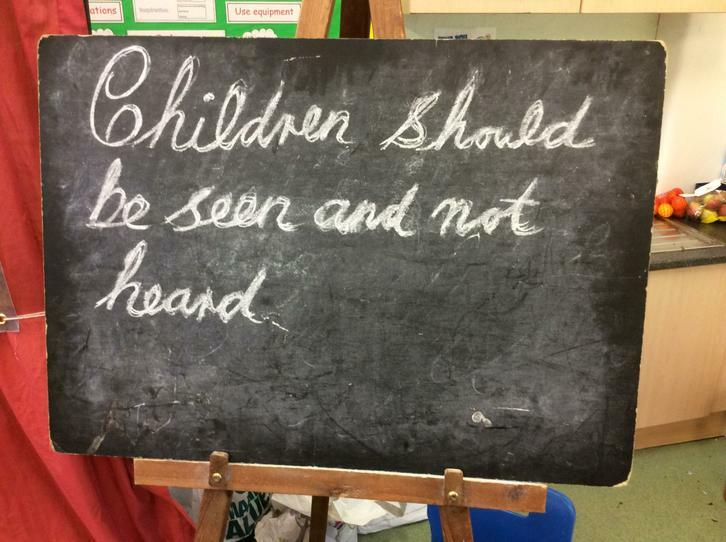 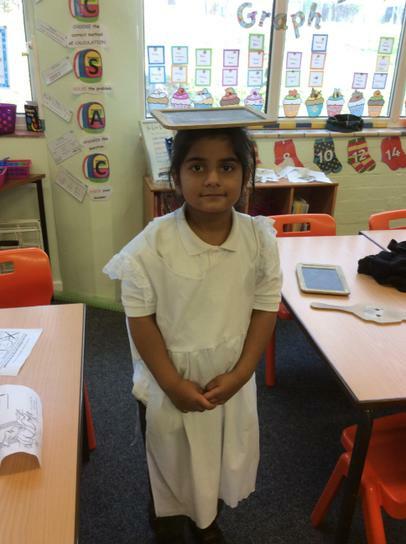 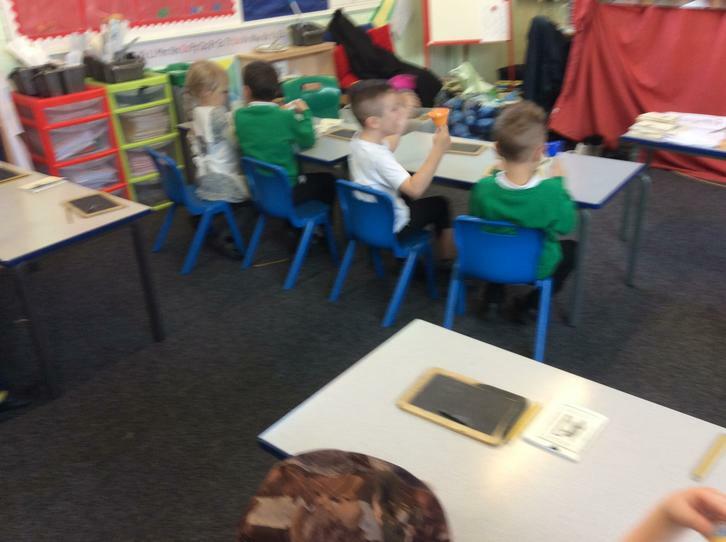 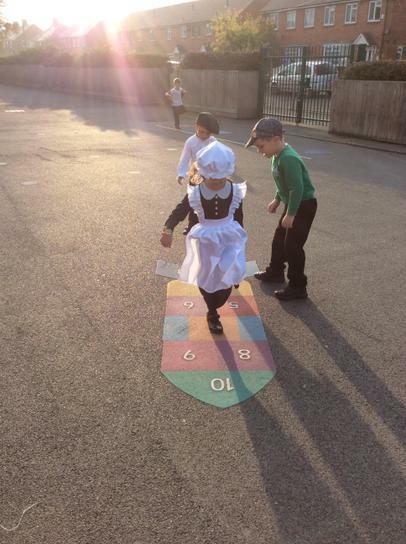 The children came to school dressed as Victorian children. 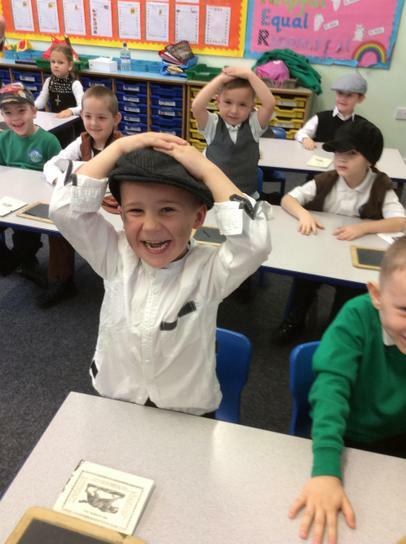 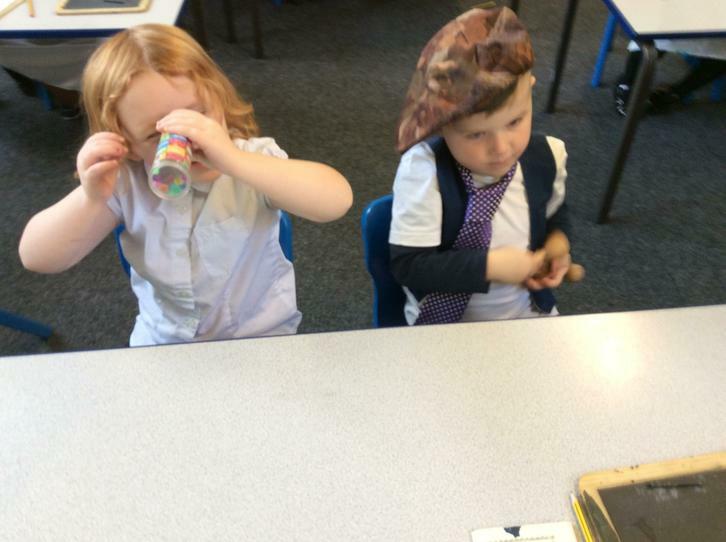 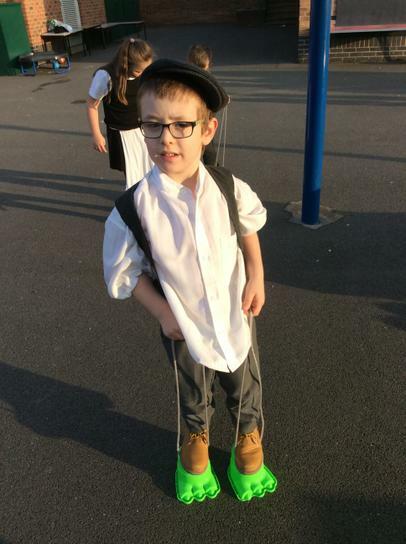 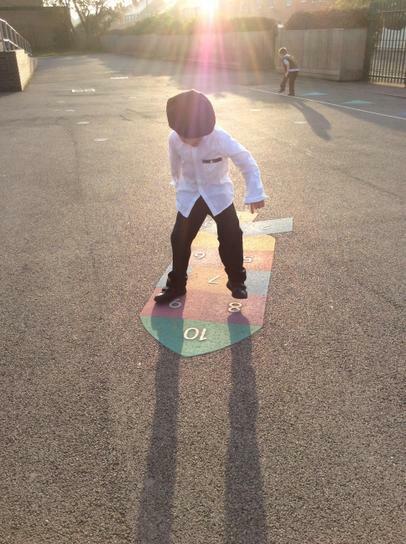 We loved the girls' dresses, pinafores and bonnets and the boys' waistcoats, flat caps and dirty faces! 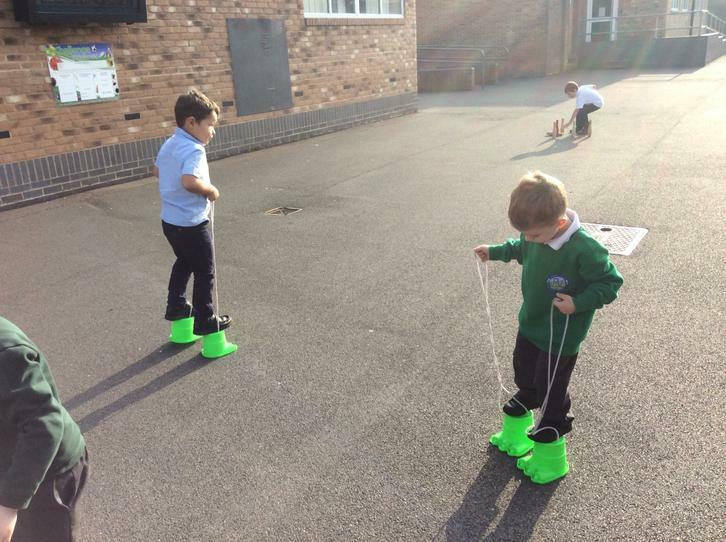 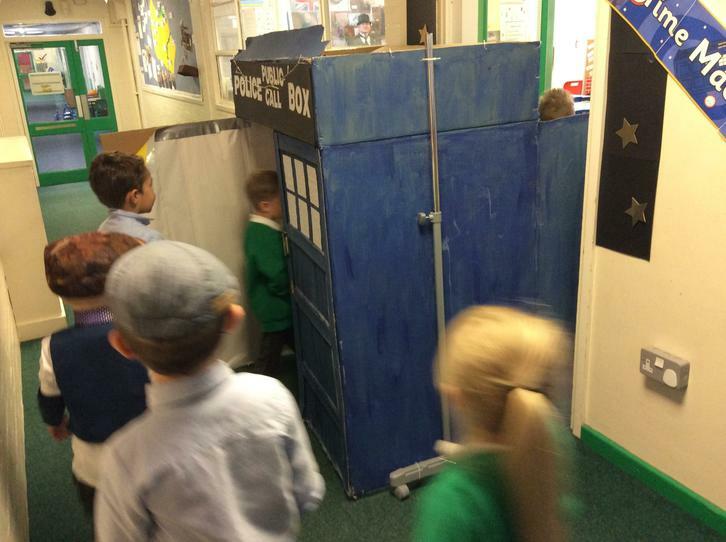 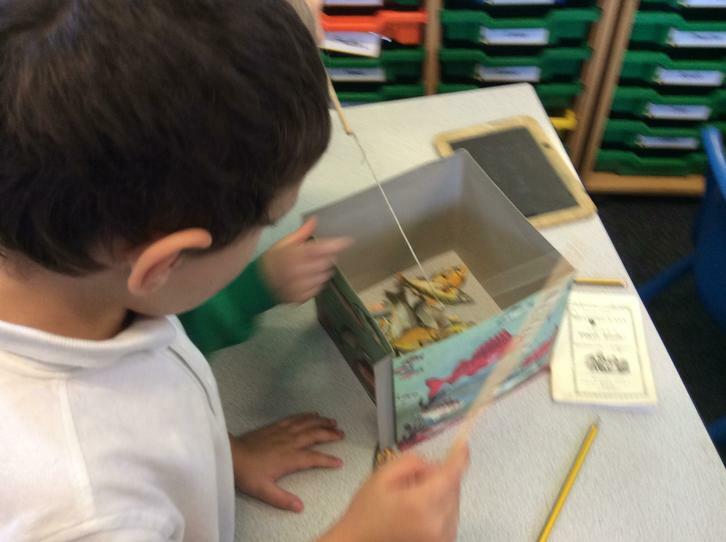 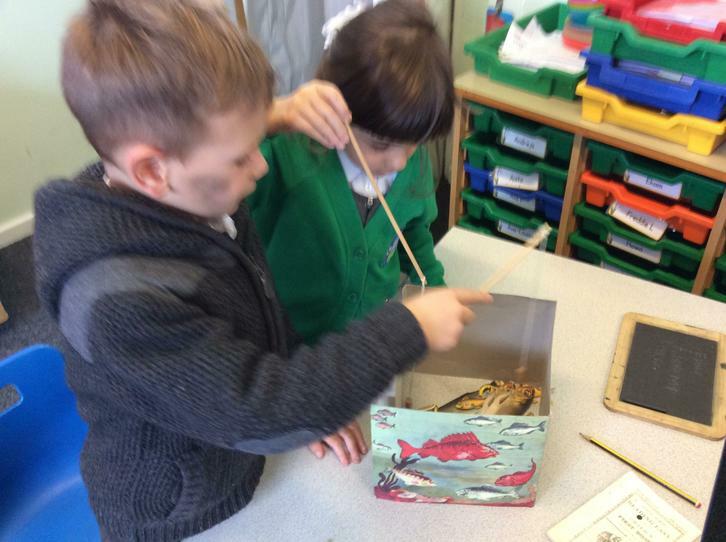 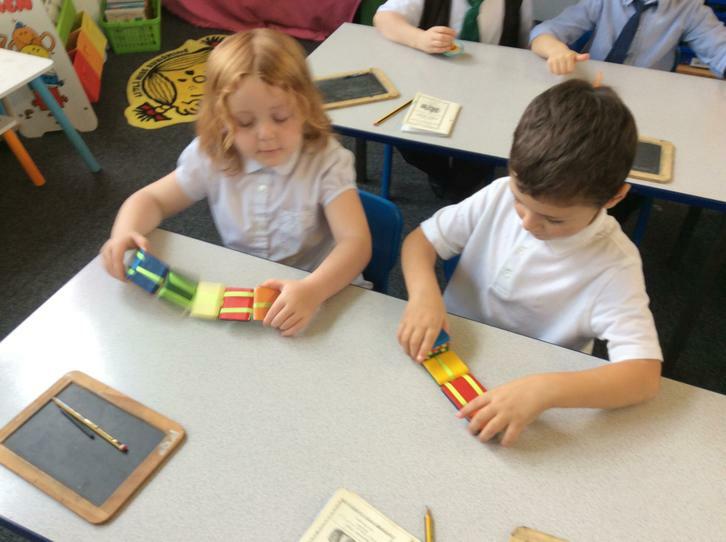 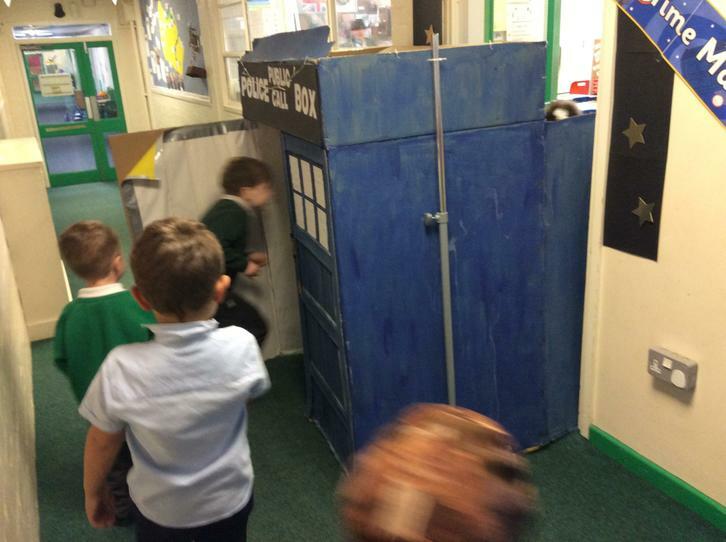 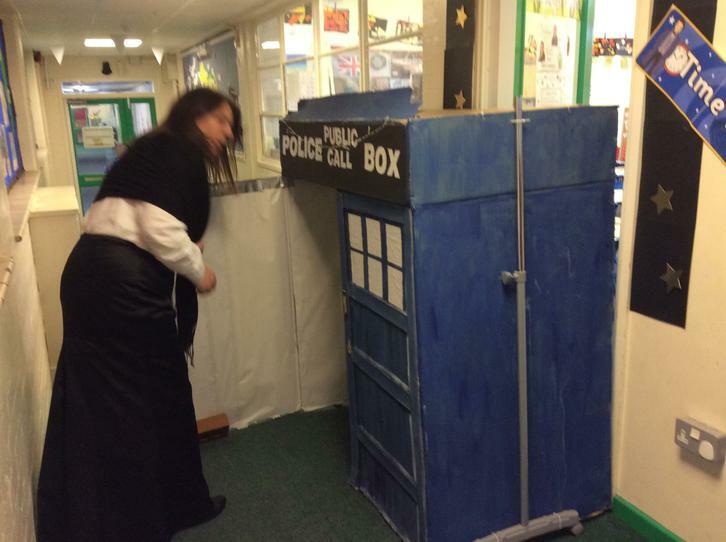 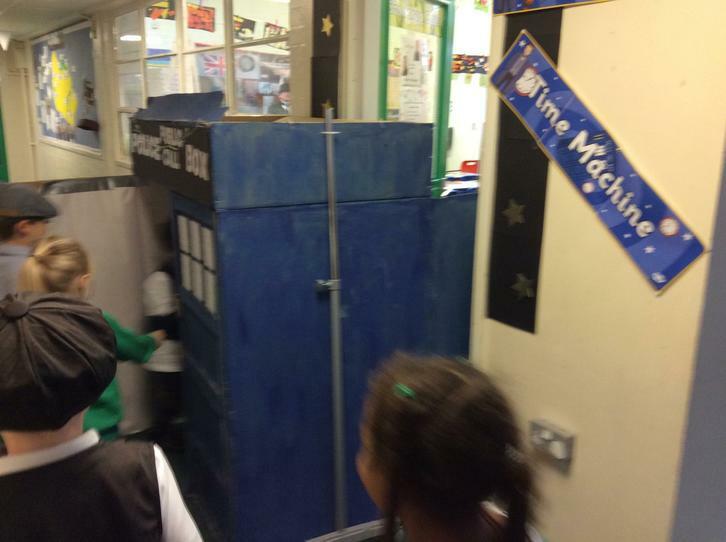 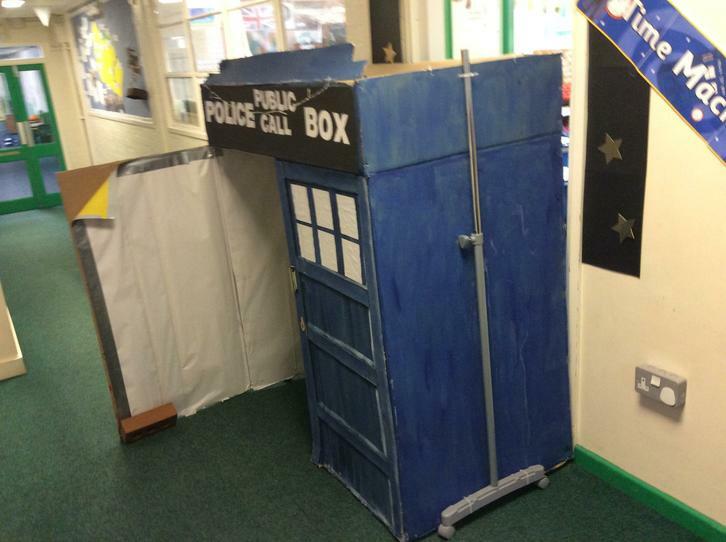 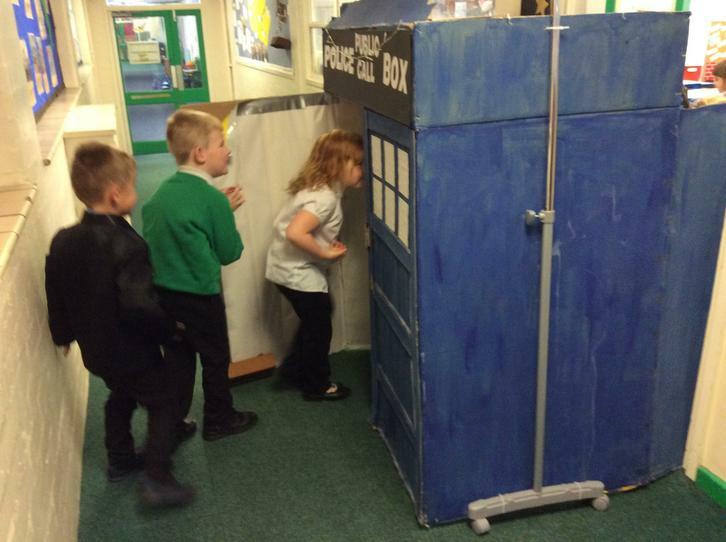 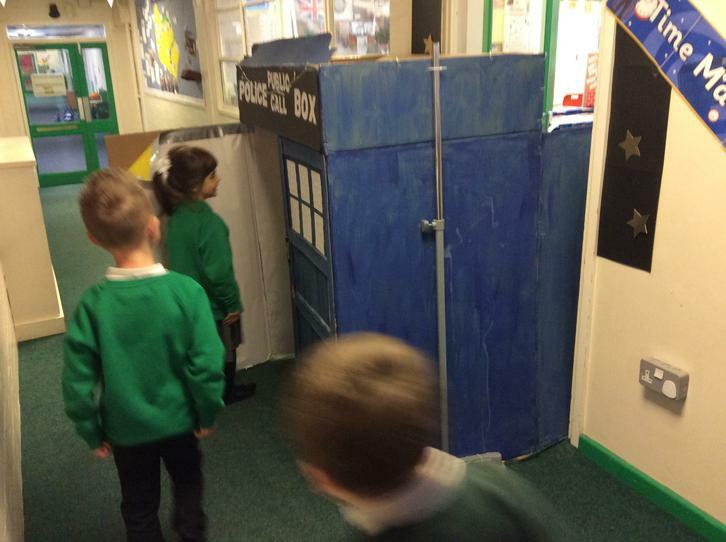 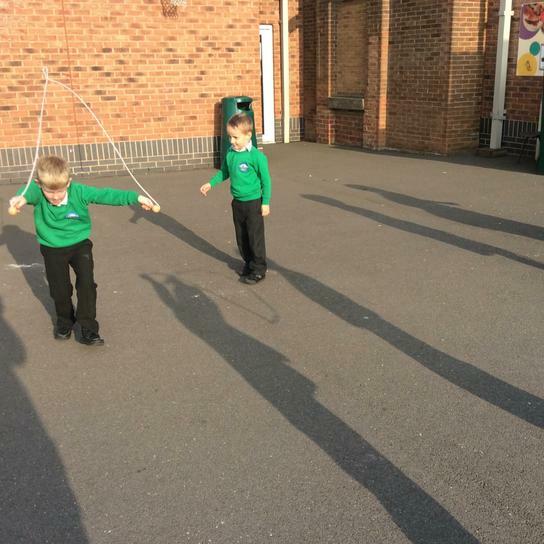 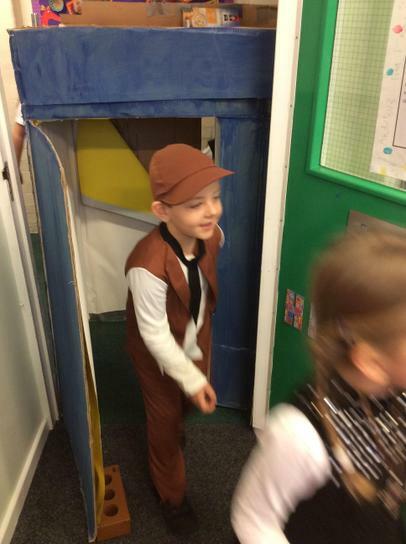 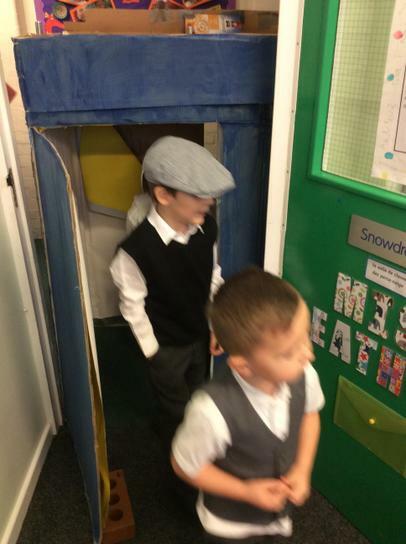 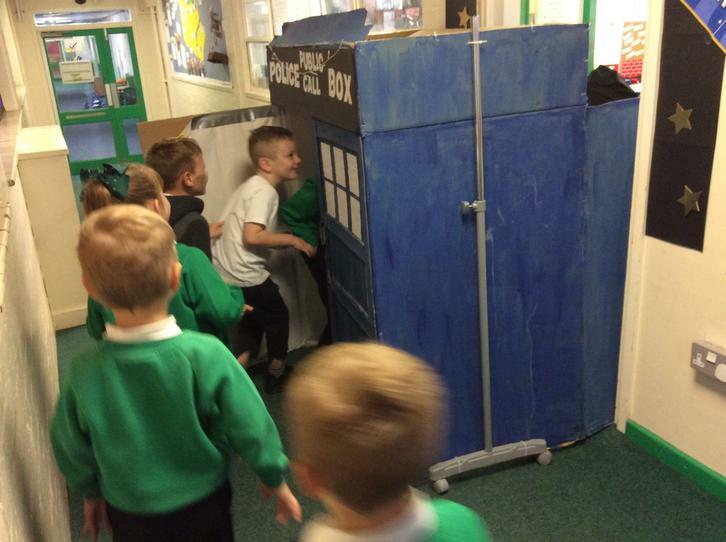 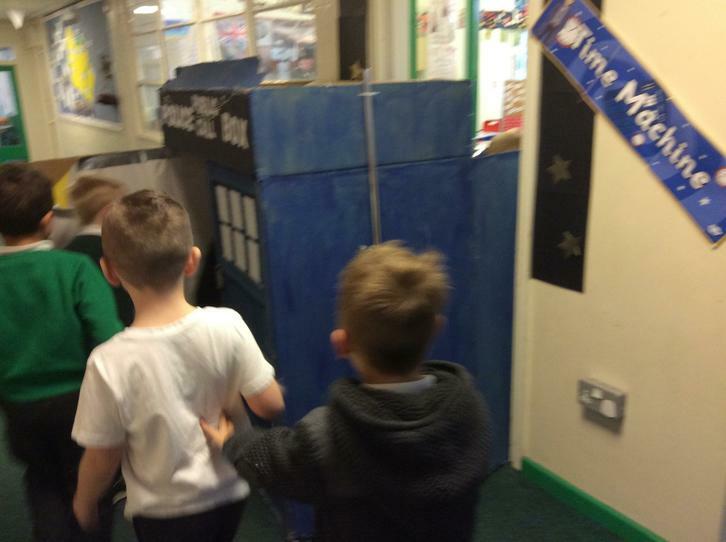 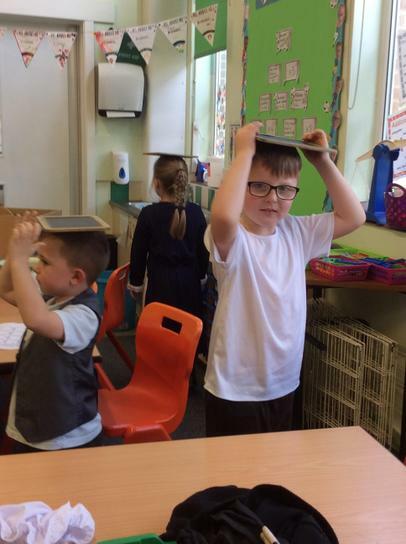 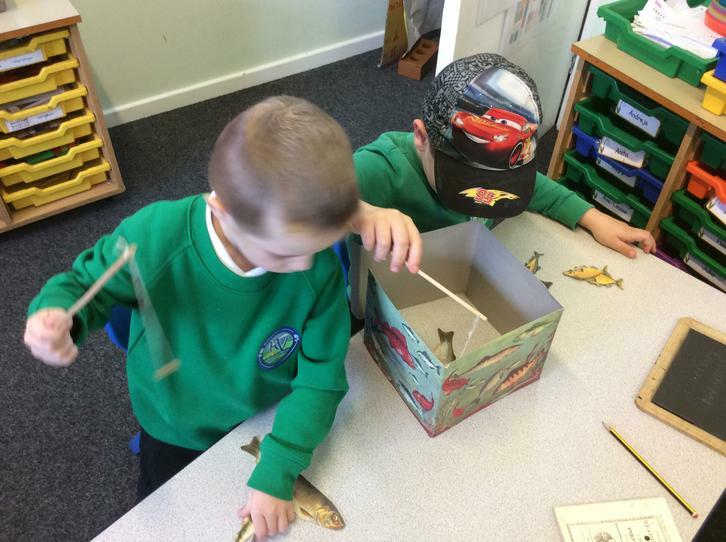 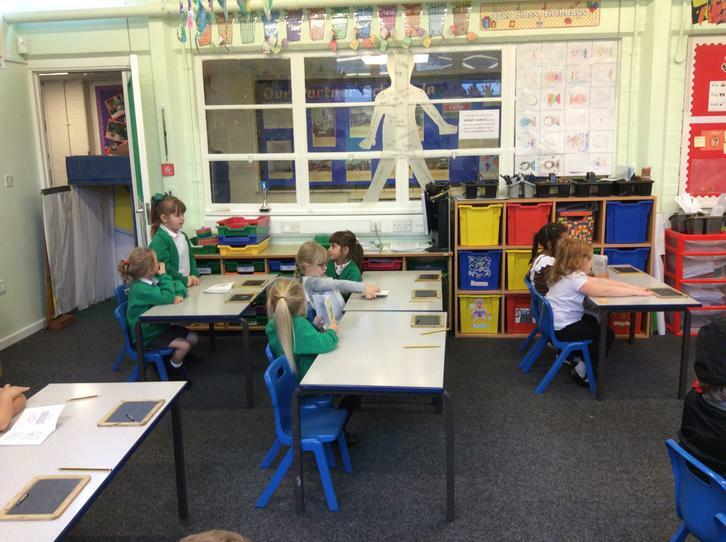 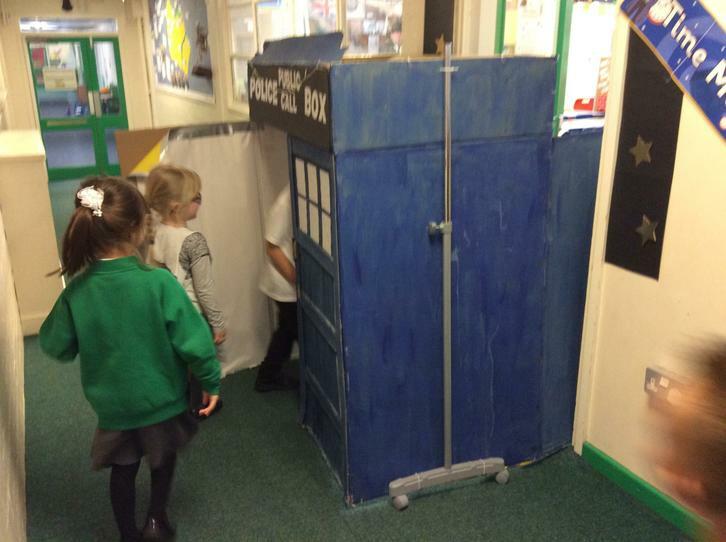 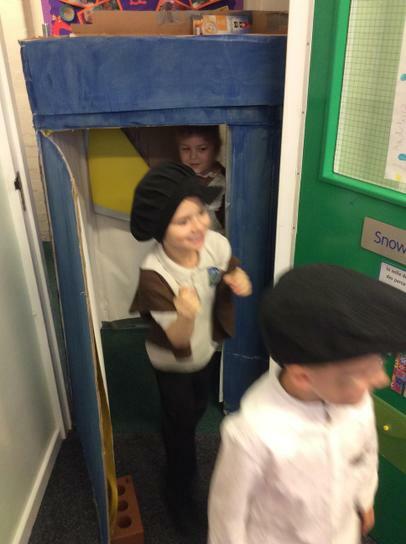 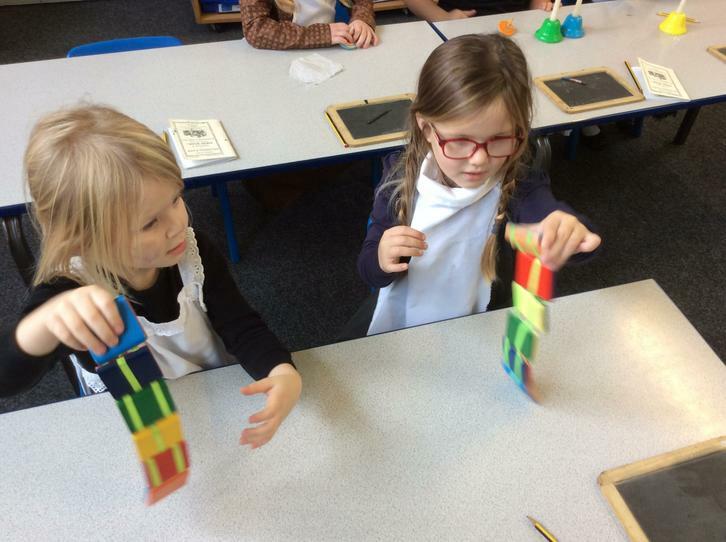 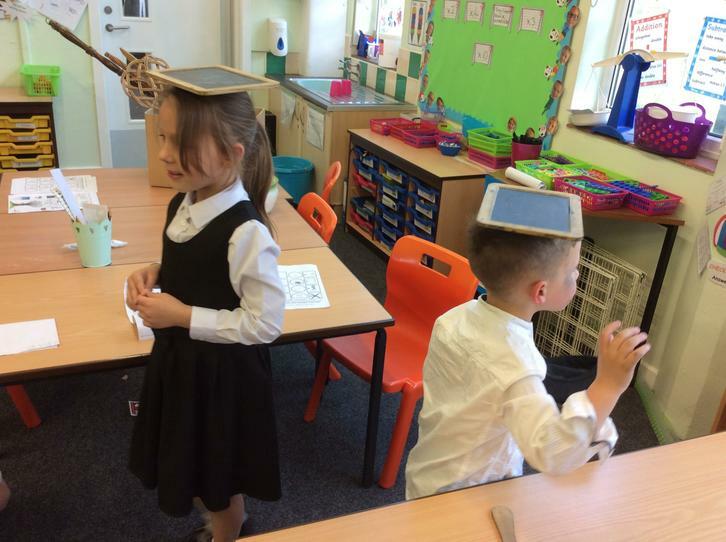 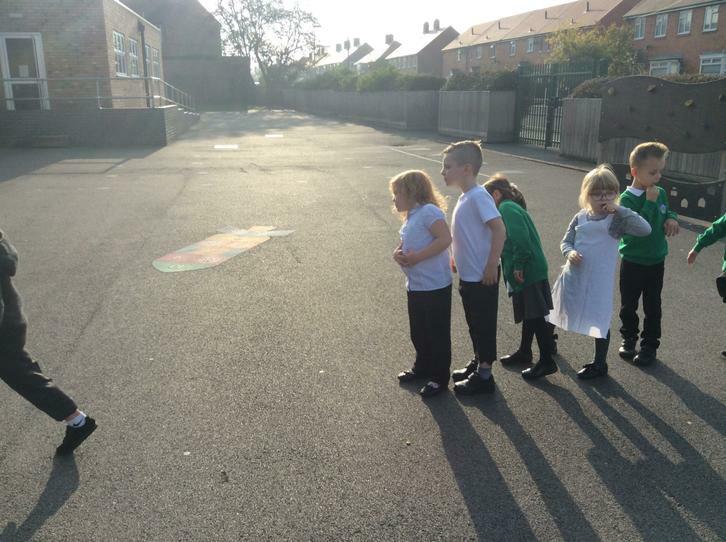 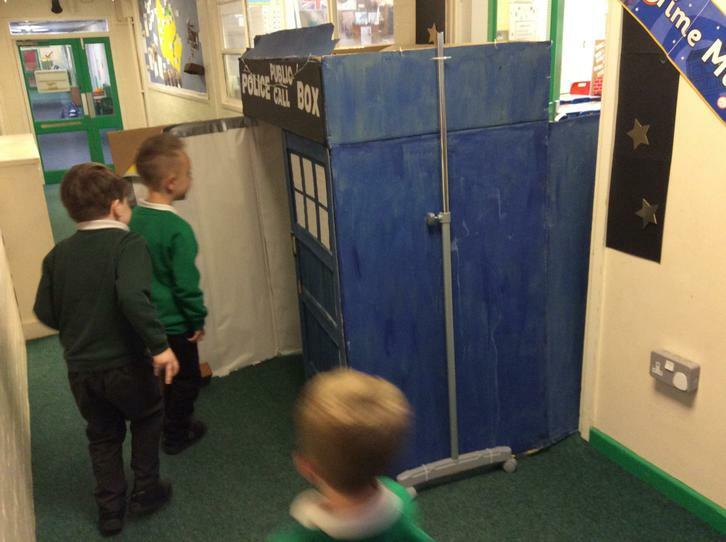 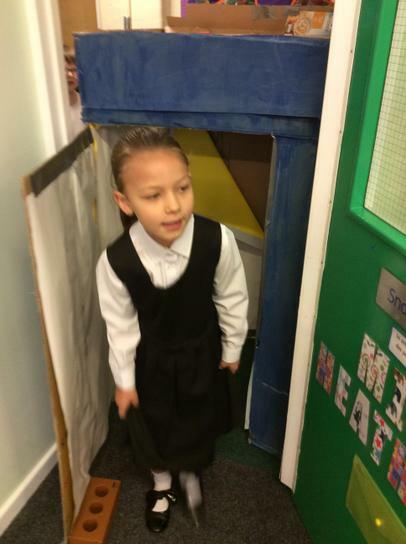 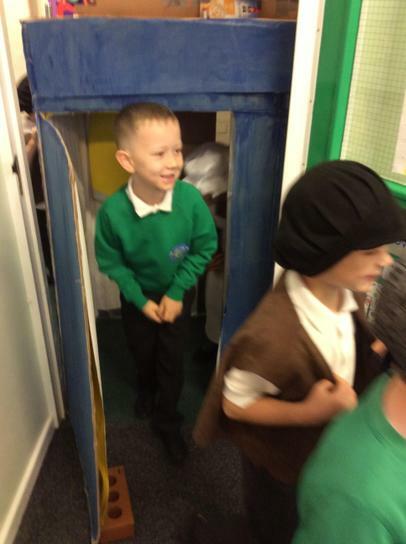 During the day, each class experienced travel back in time (using Dr Who's Tardis!) 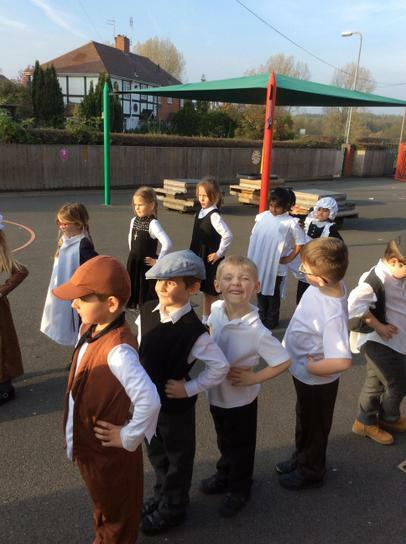 to the Victorian times. 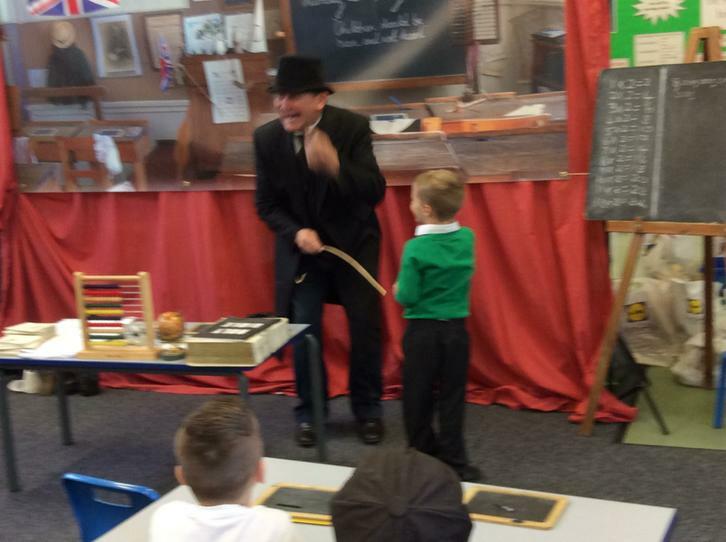 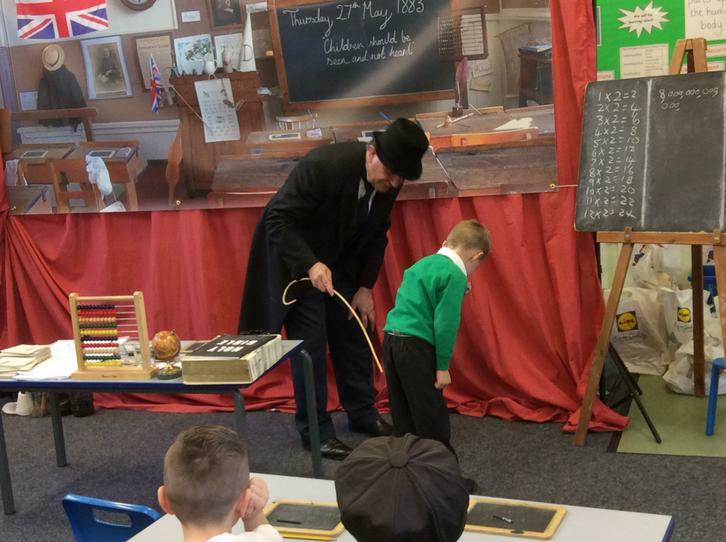 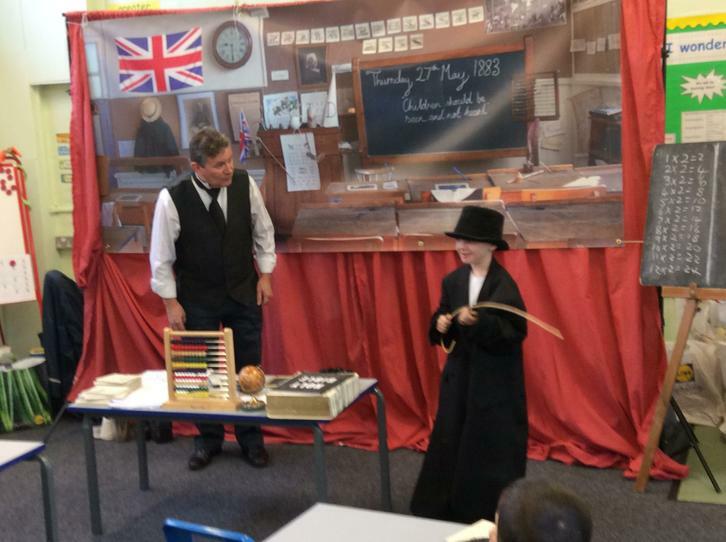 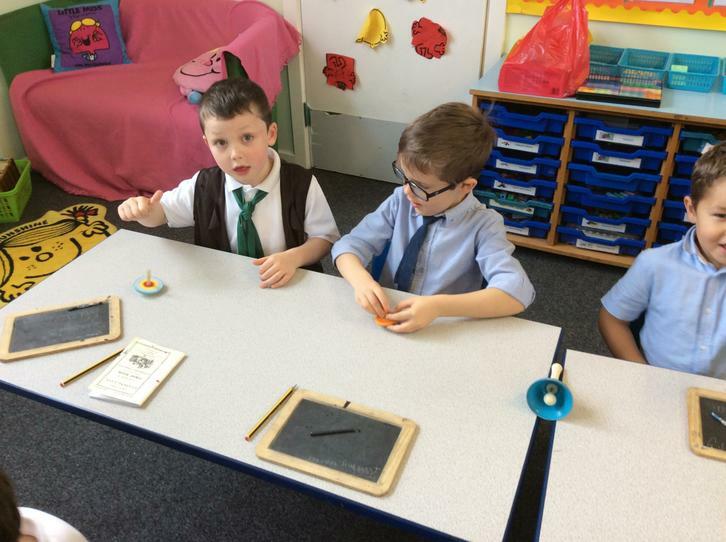 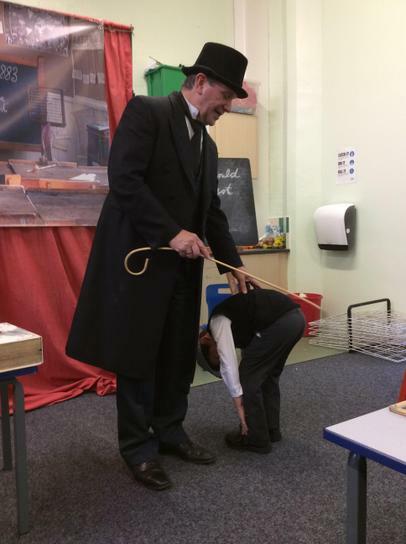 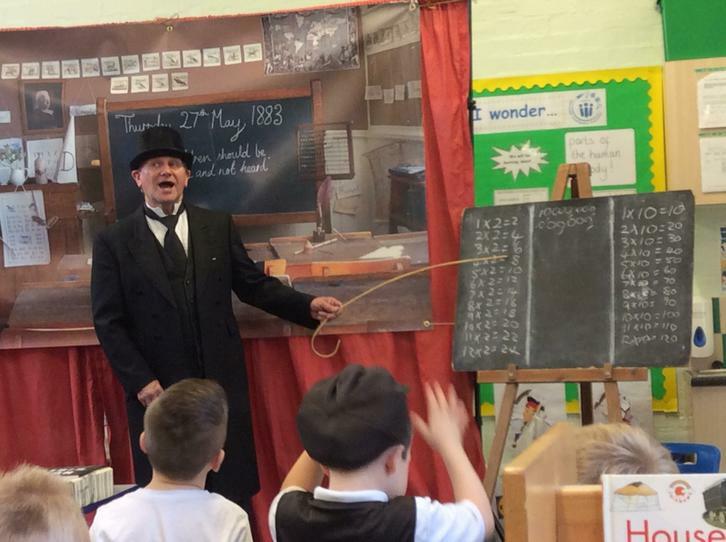 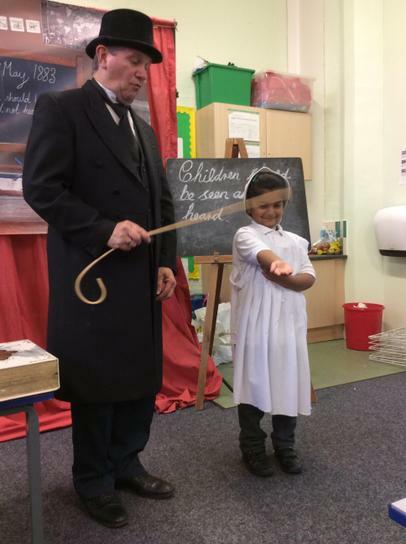 They entered a Victorian schoolroom and met the headmaster, Mr Murphy, who showed them what it was like to be in a Victorian school! 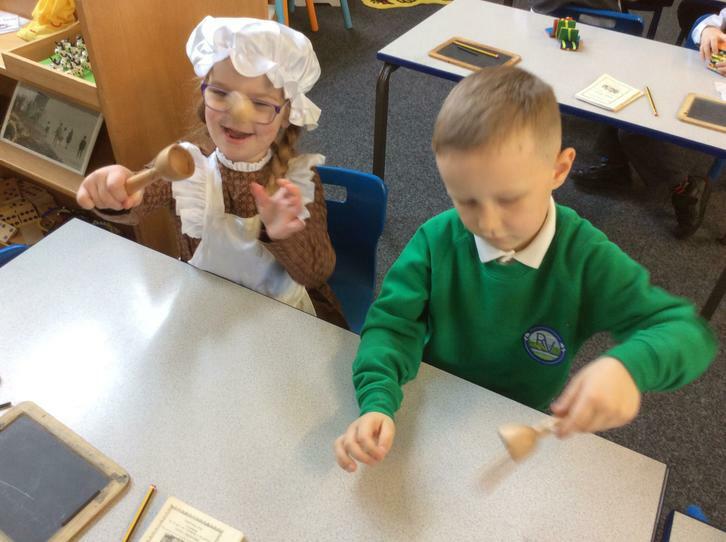 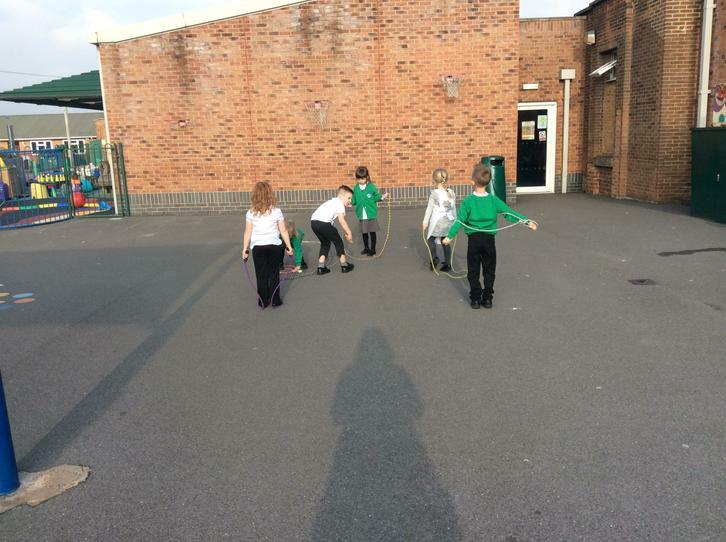 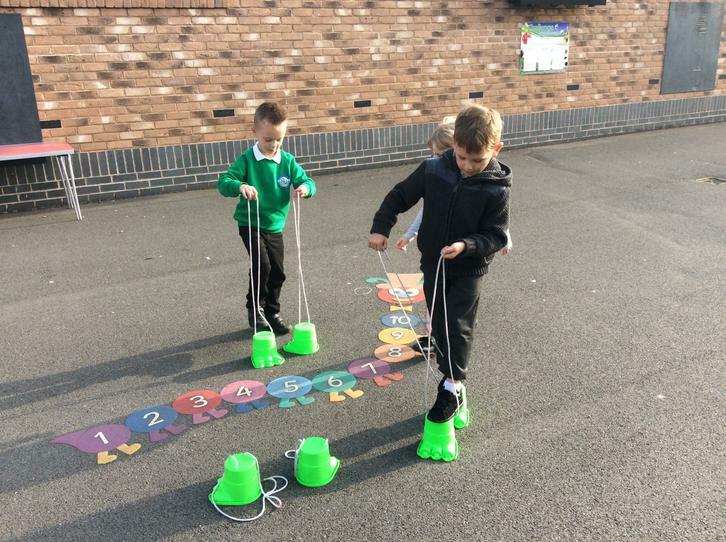 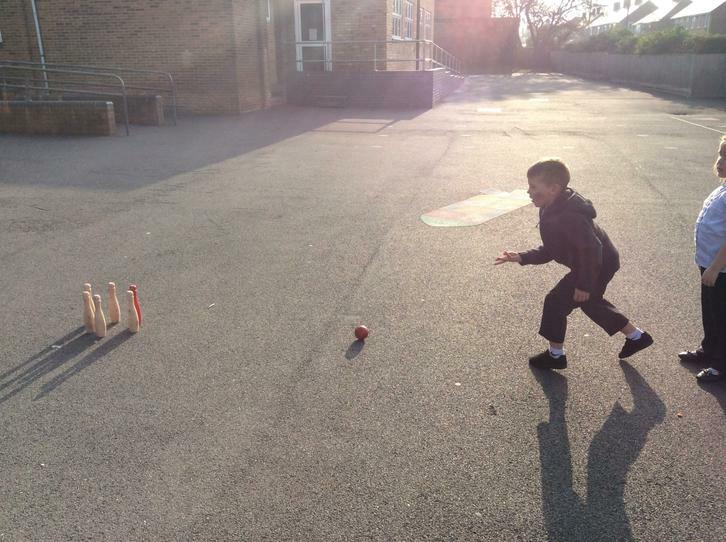 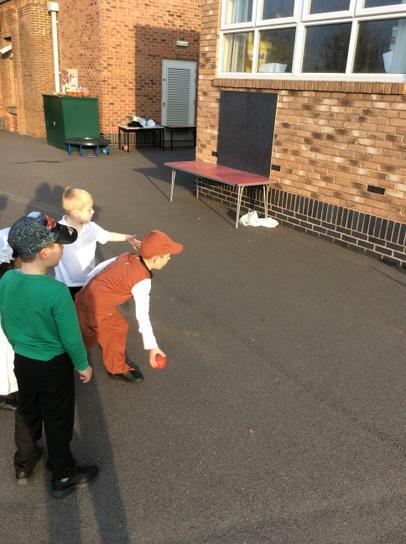 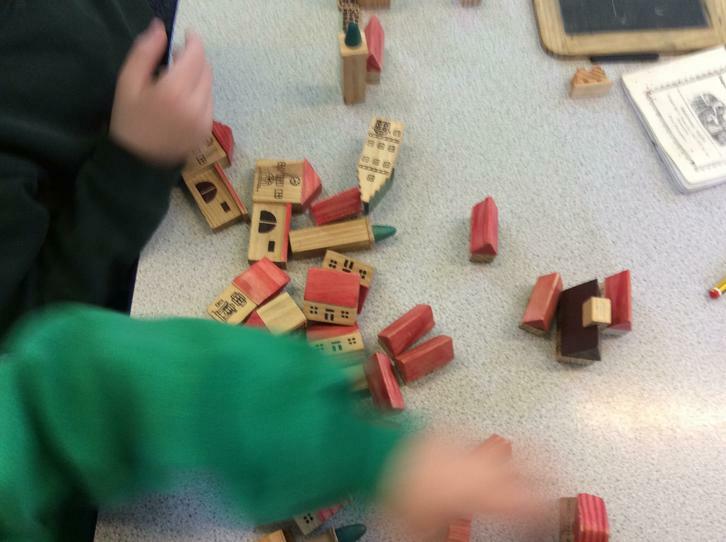 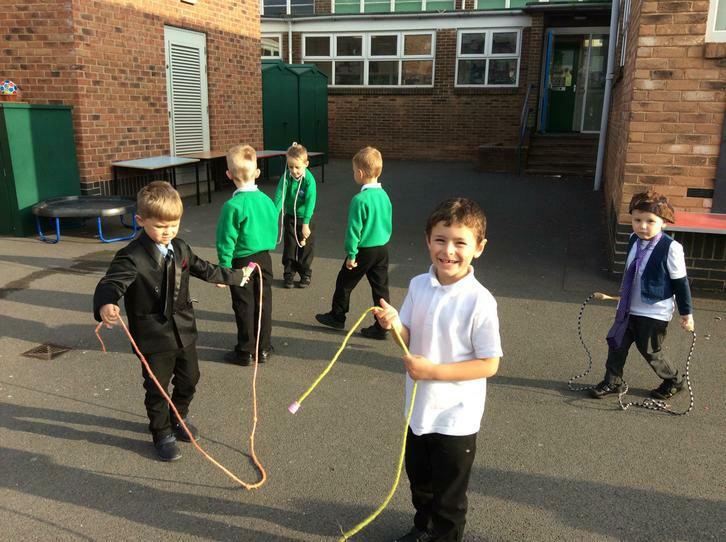 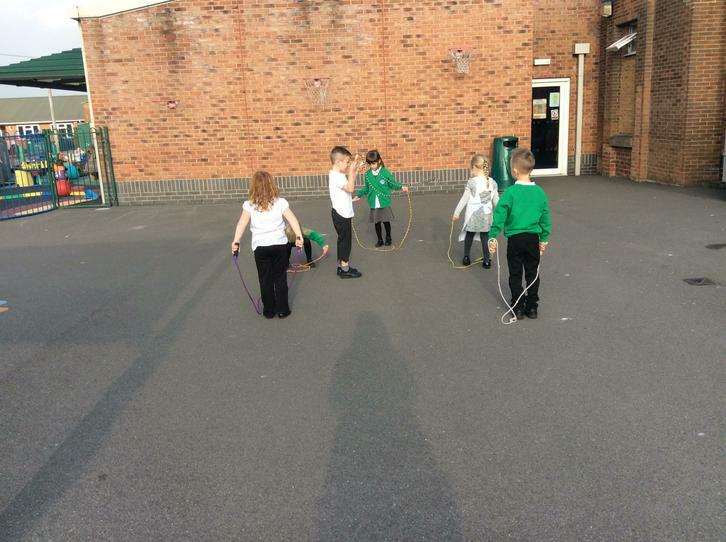 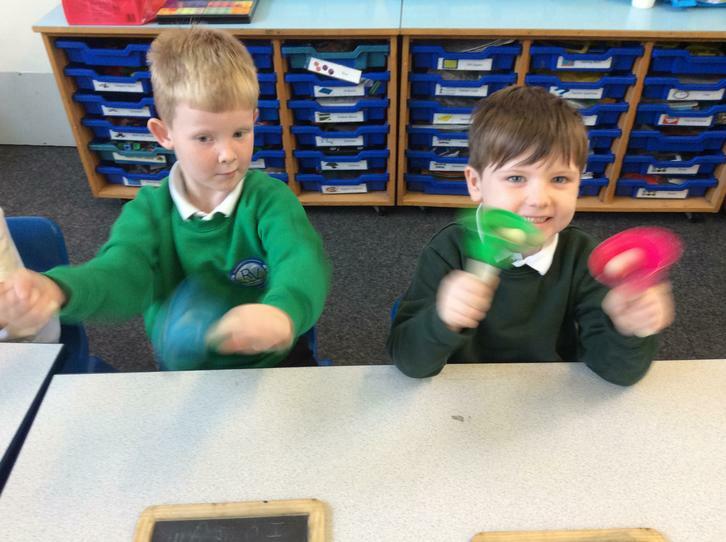 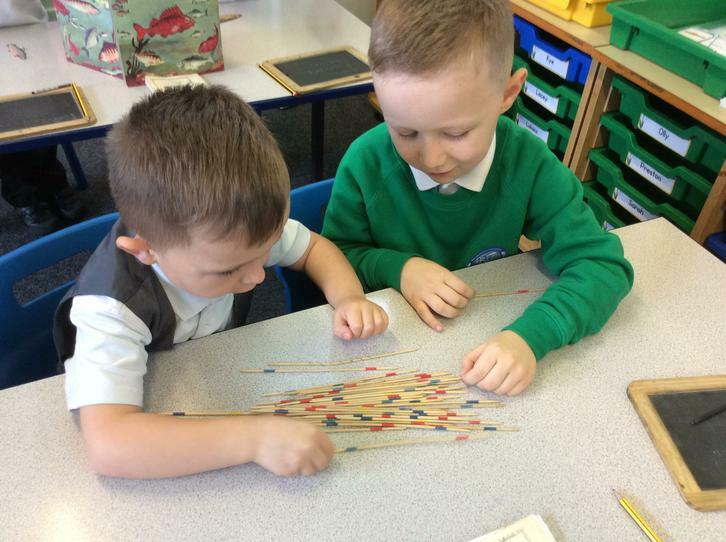 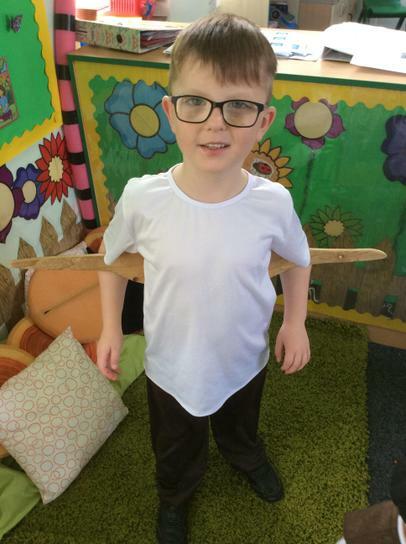 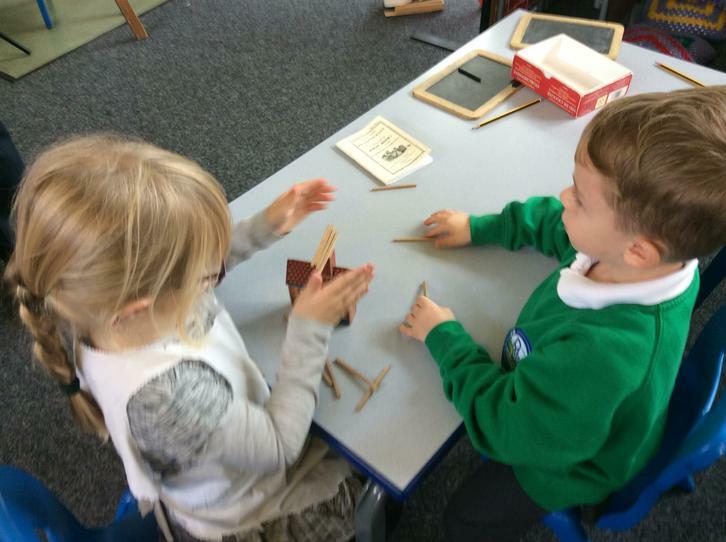 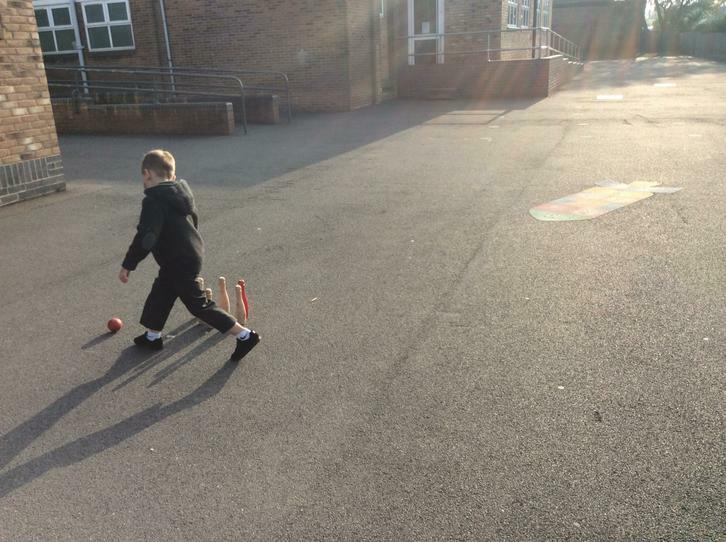 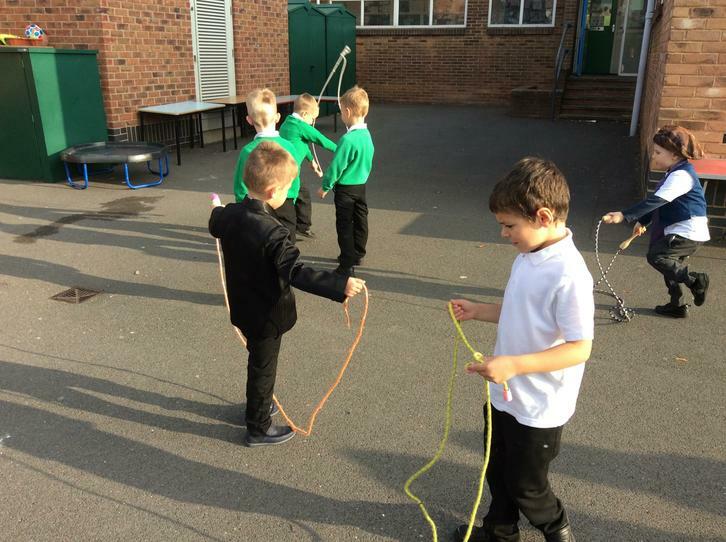 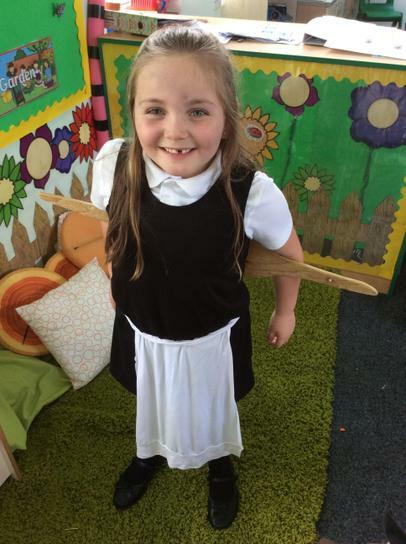 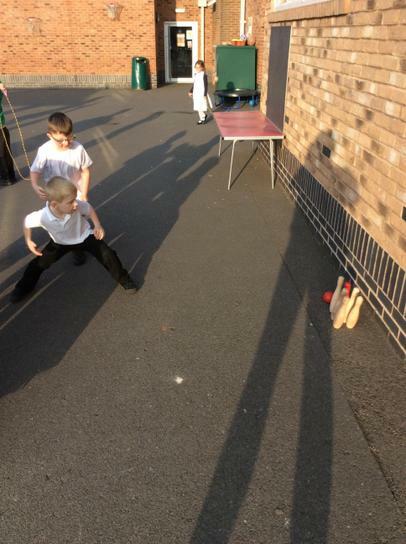 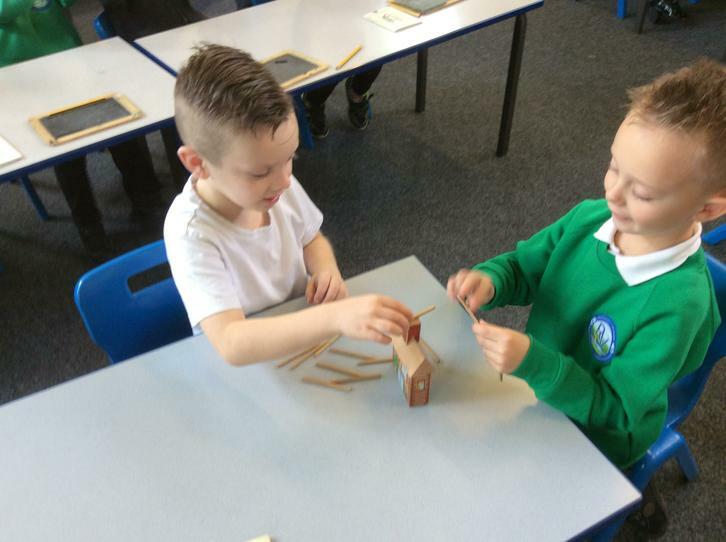 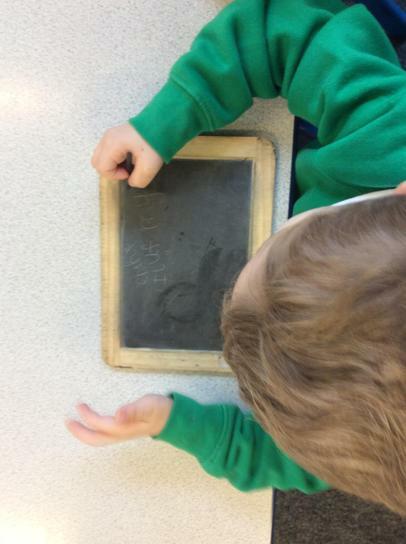 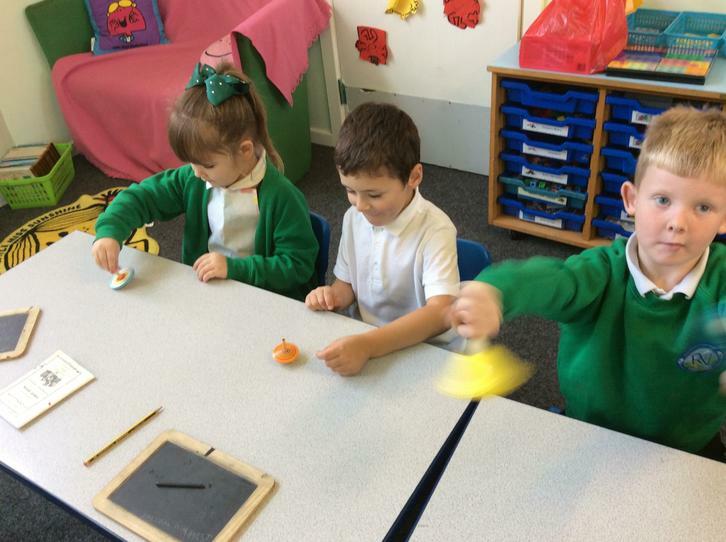 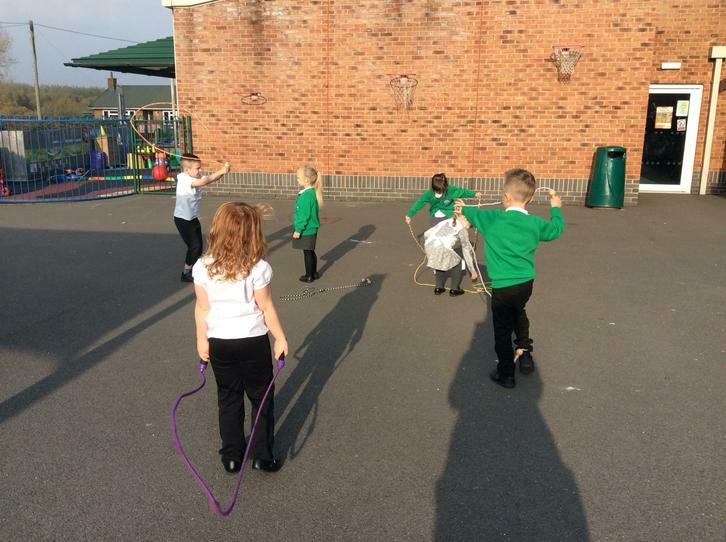 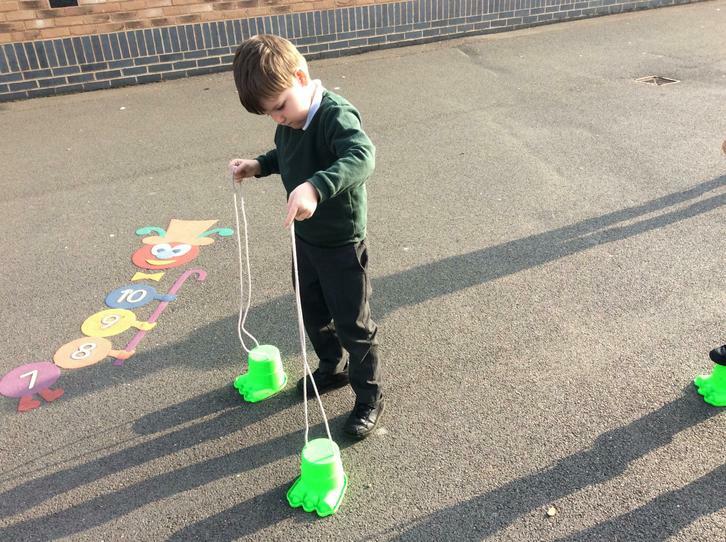 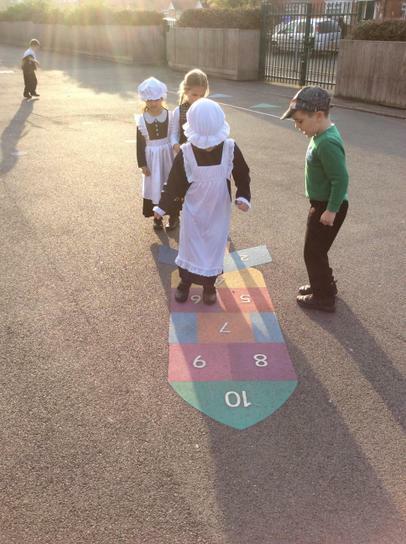 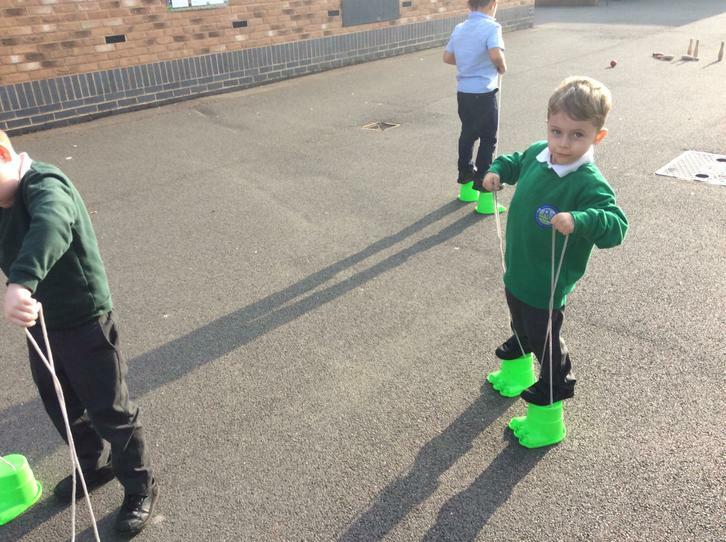 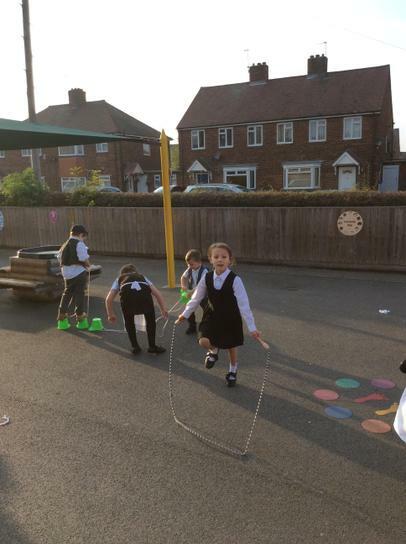 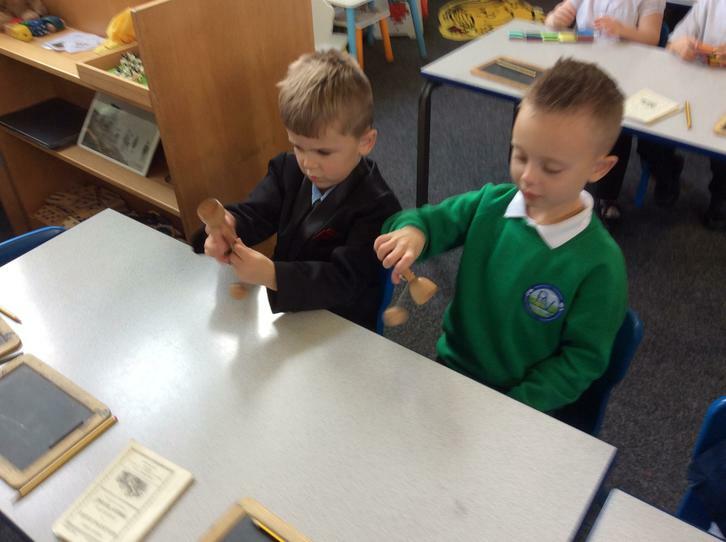 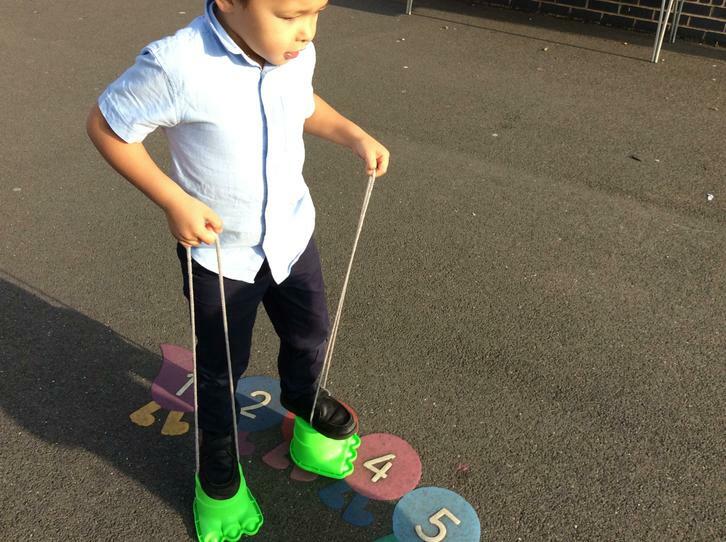 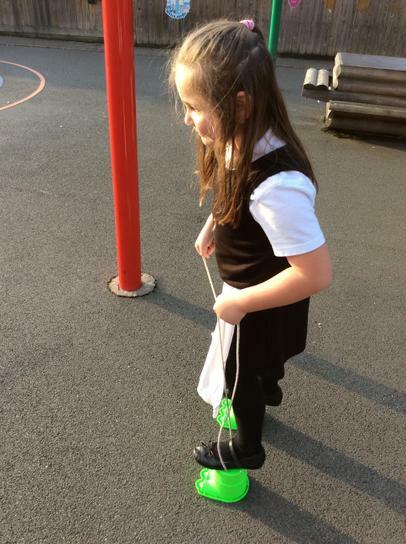 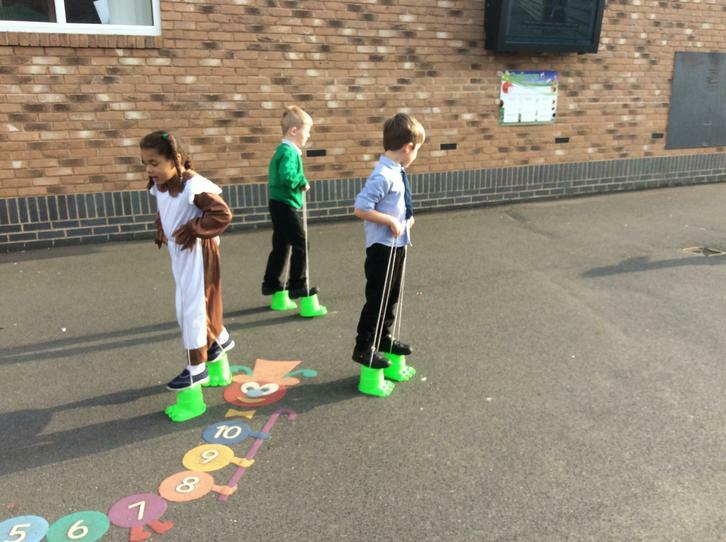 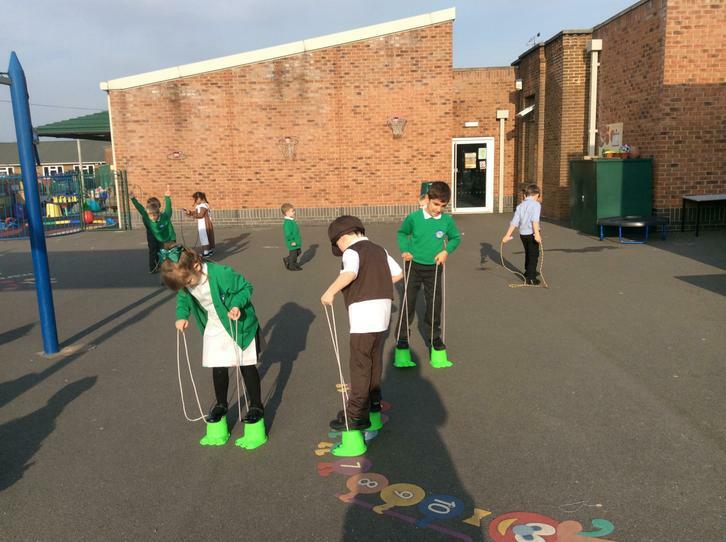 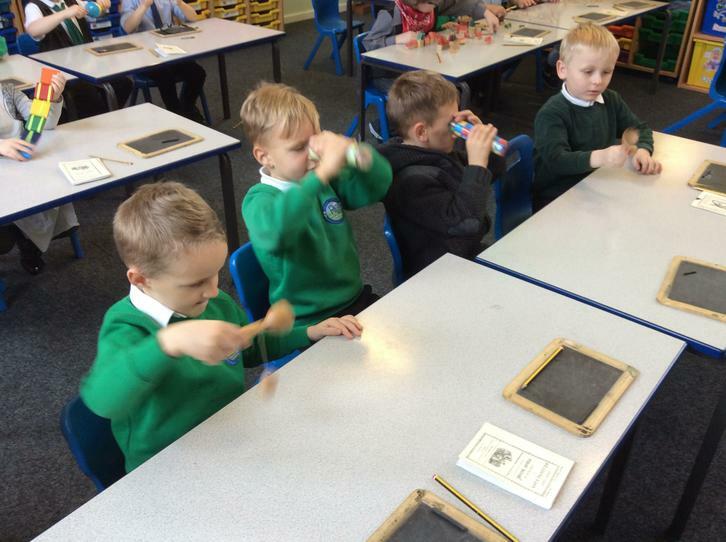 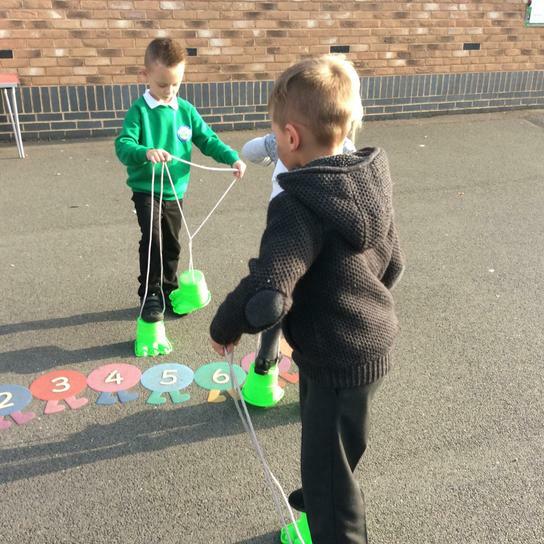 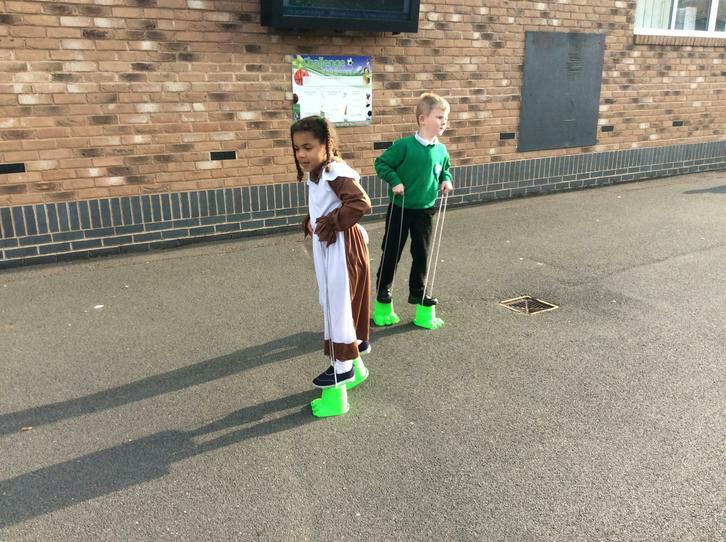 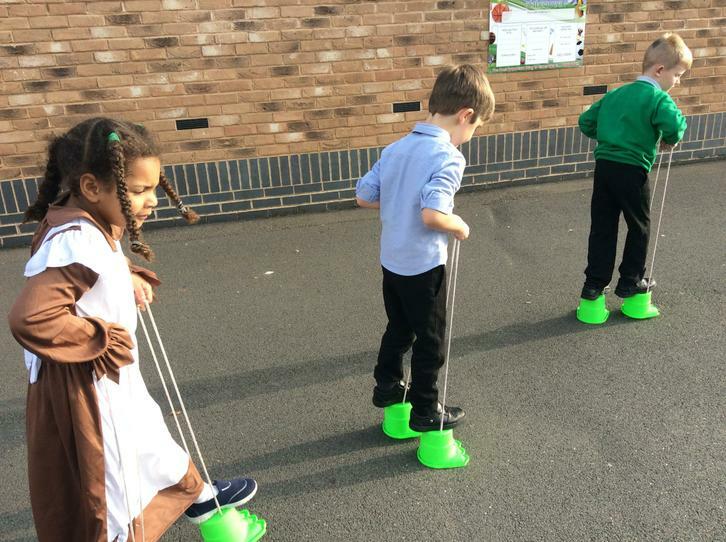 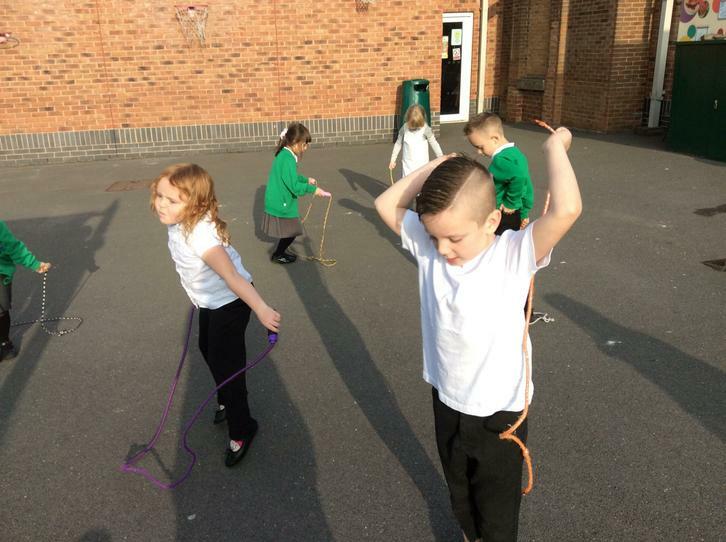 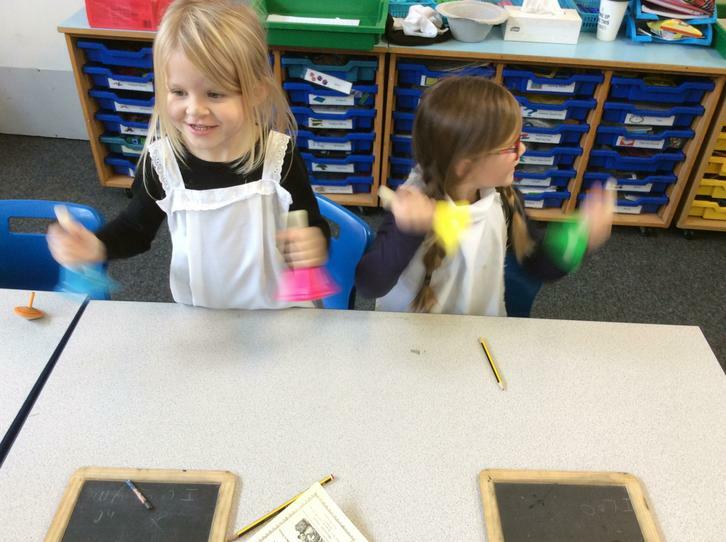 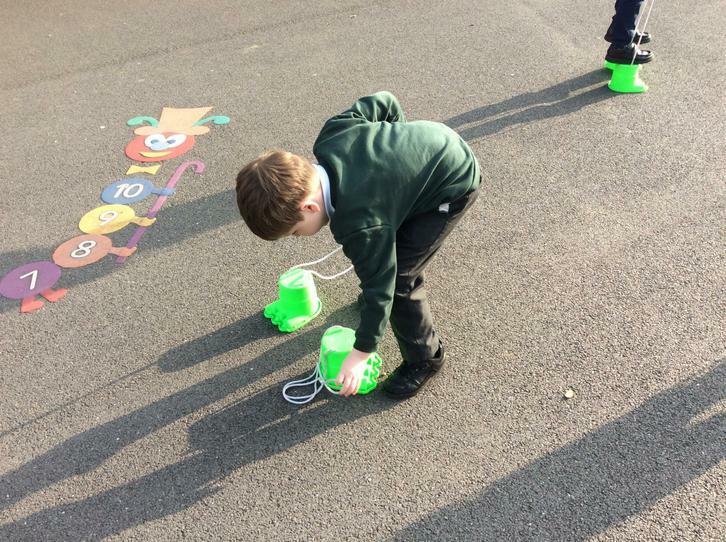 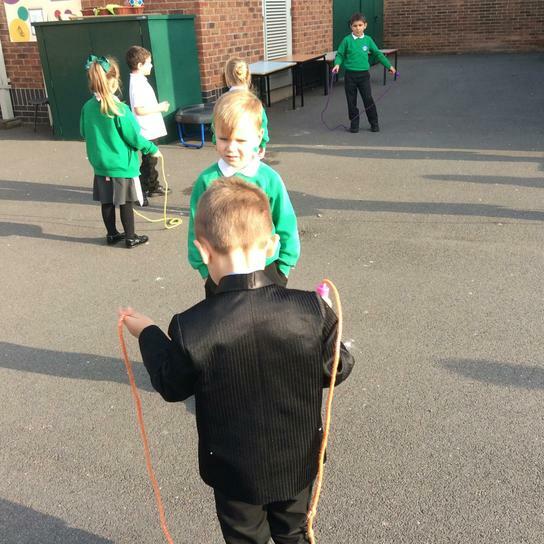 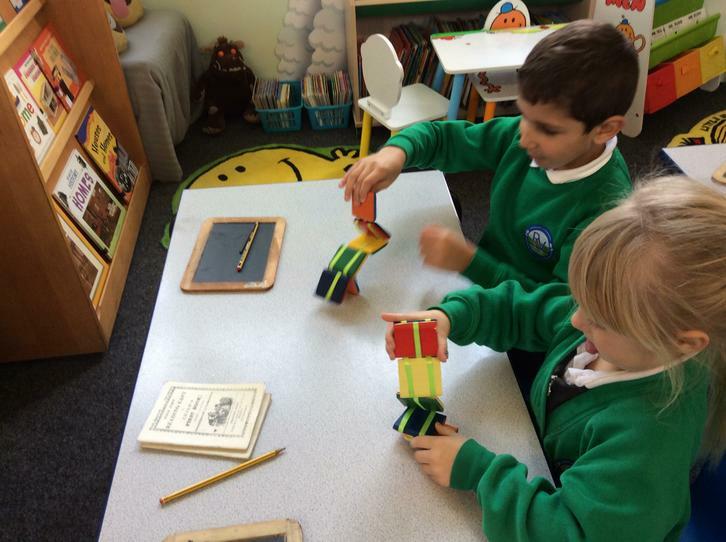 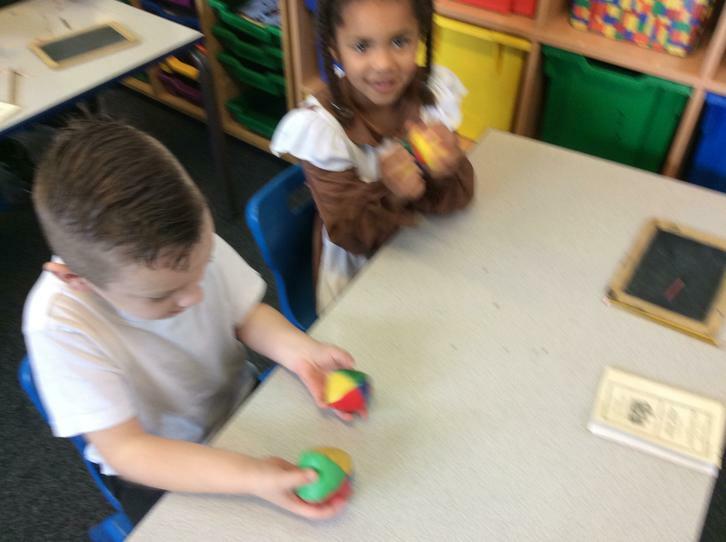 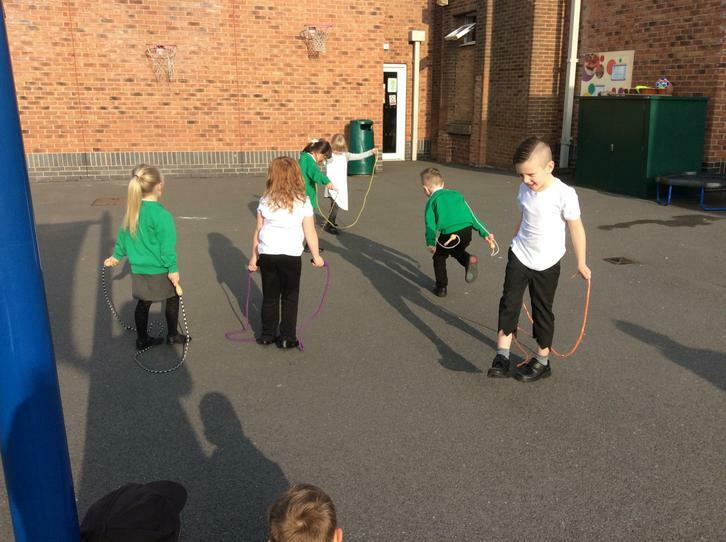 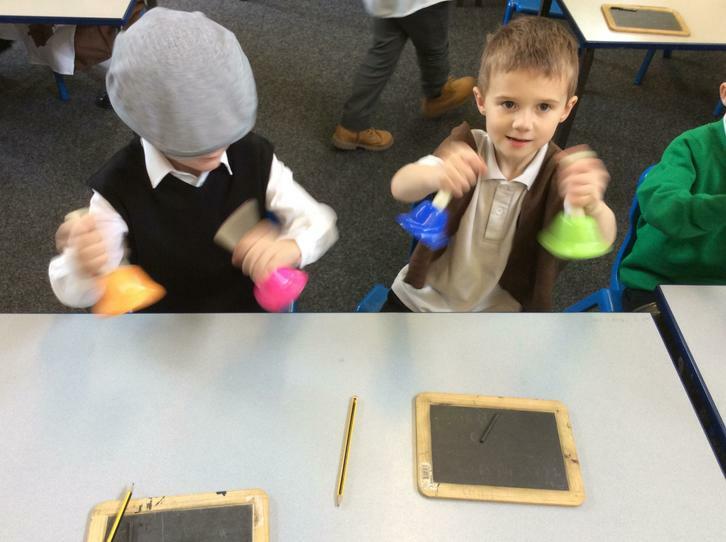 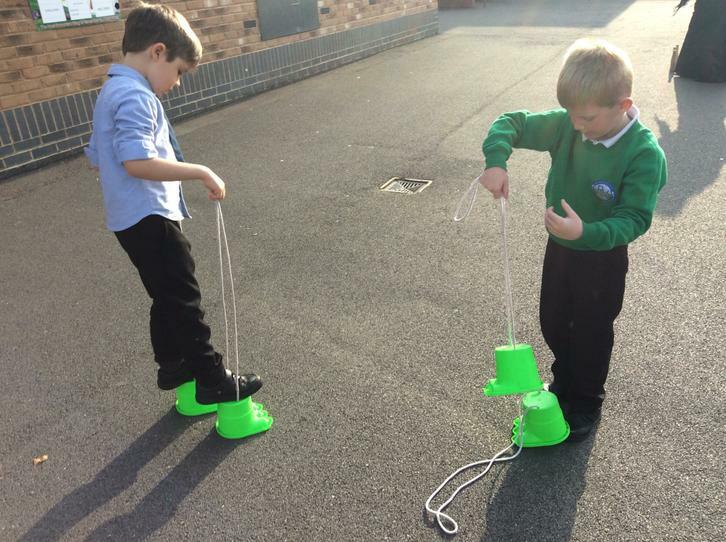 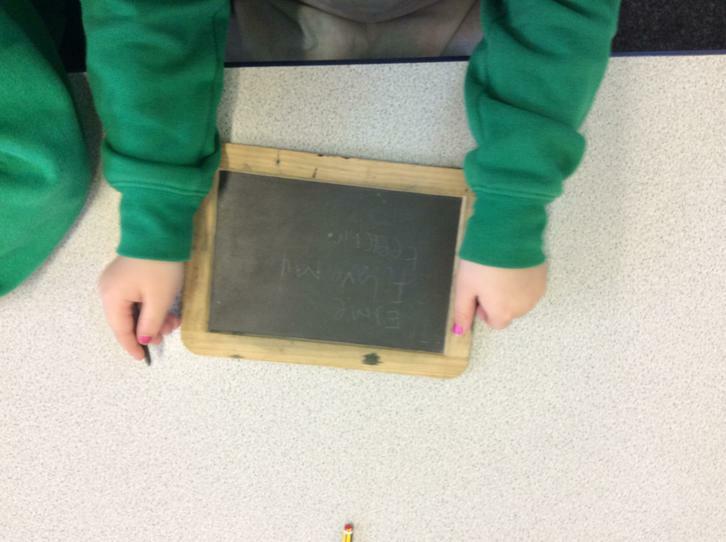 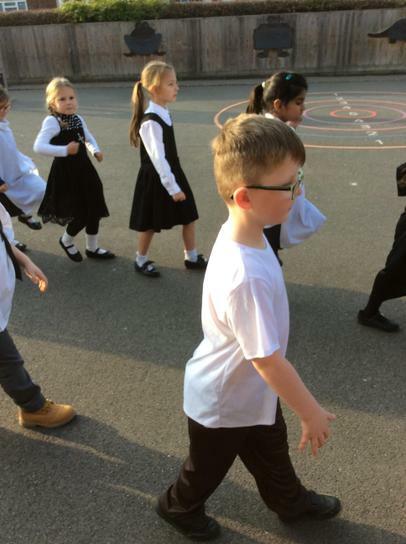 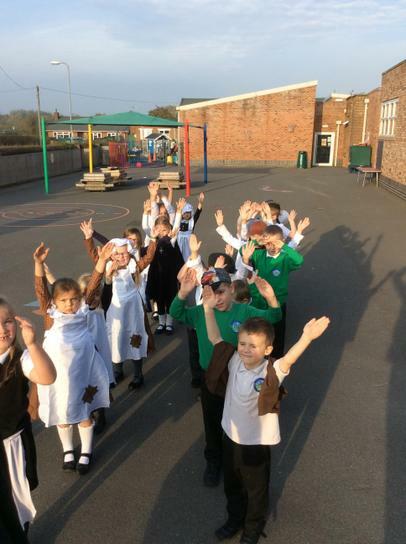 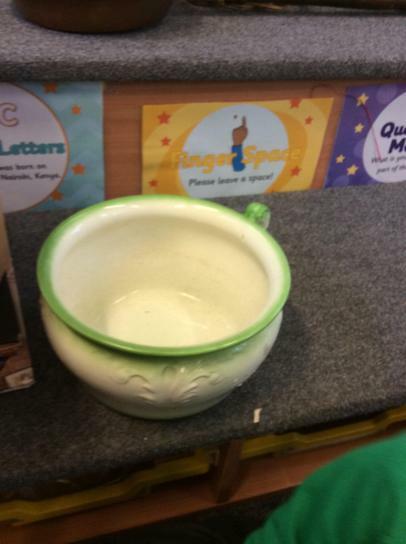 Throughout the day, the children also had the chance to play with Victorian toys, look at some interesting Victorian artefacts and also participate in 'drill' - the Victorian version of PE! 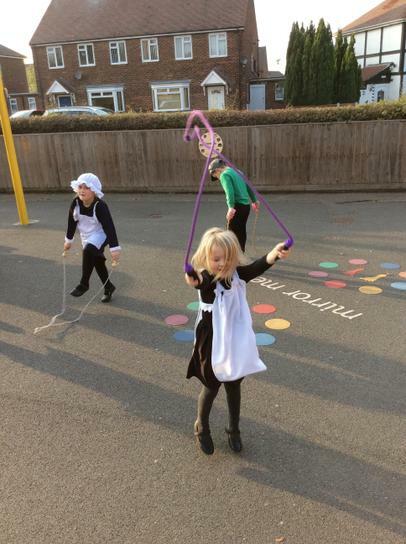 Take a look at all of the photos from the day. 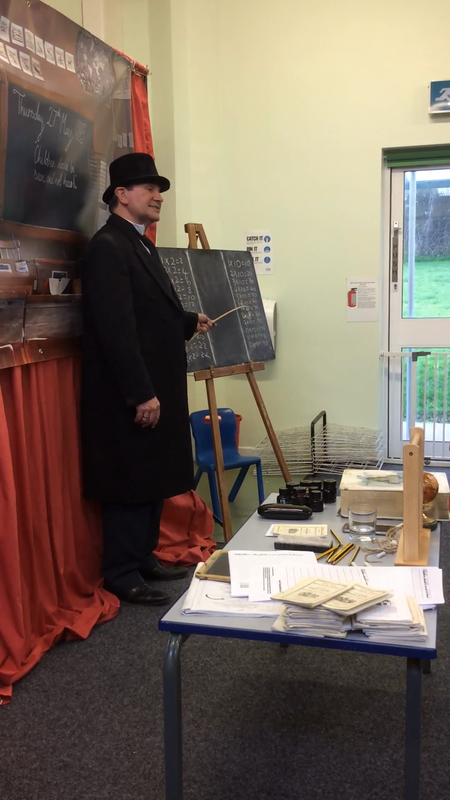 Scroll down to the bottom of the page to watch a few videos too! 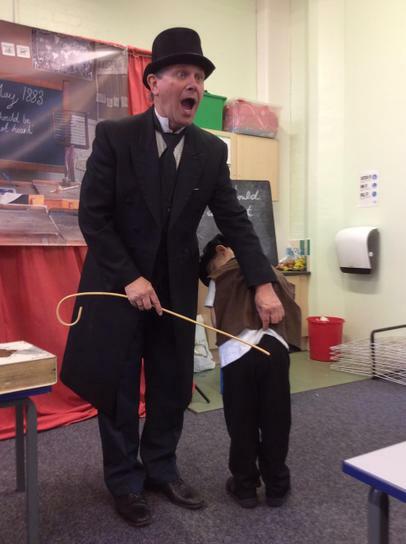 The Victorians didn't smile on photographs!